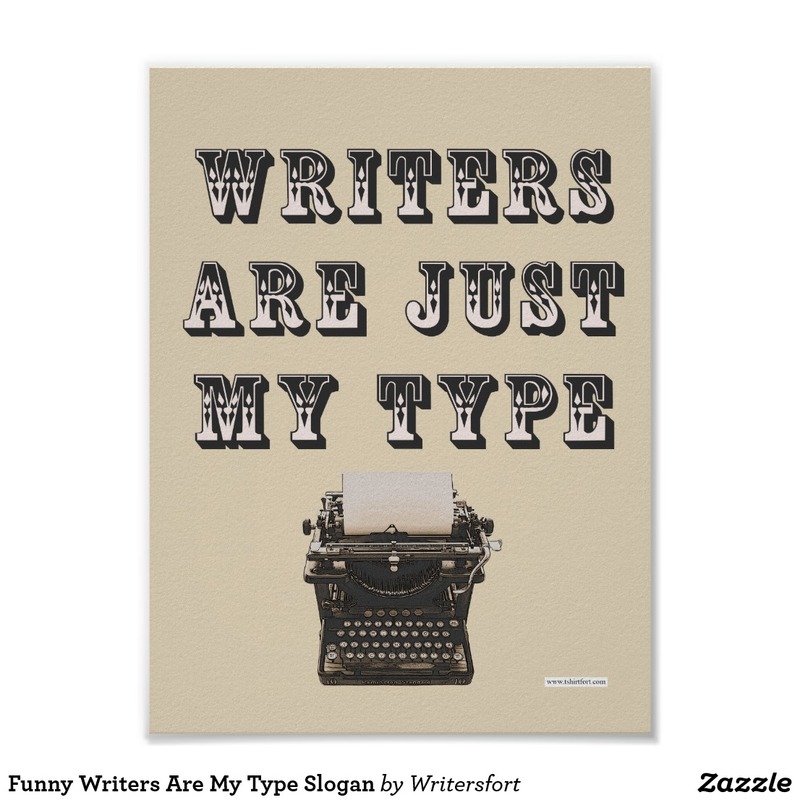 Writers are my type. This saying is perfect for anyone who has a way with words. 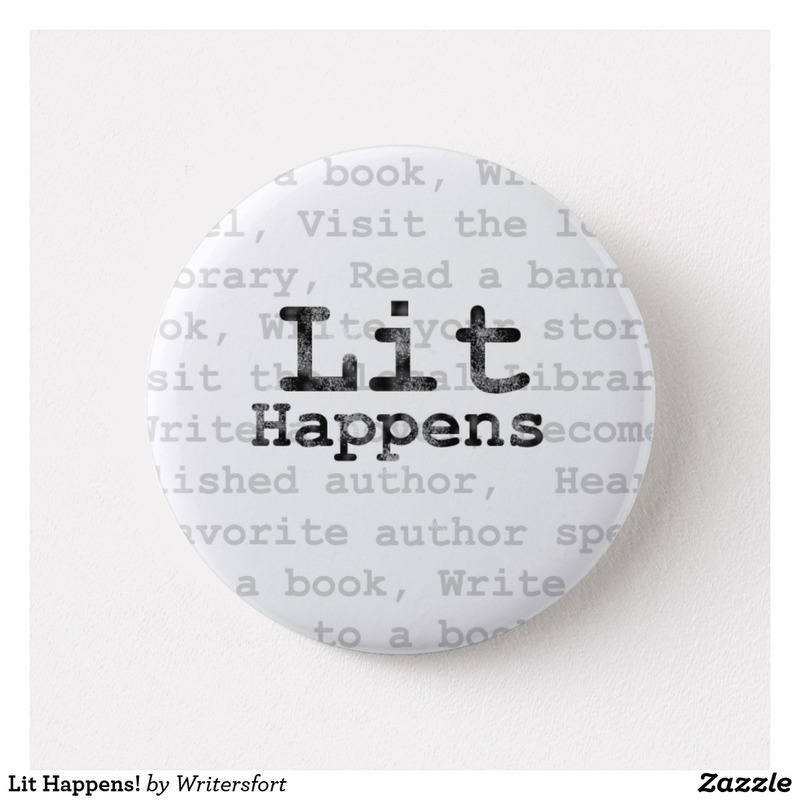 Lit Happens! 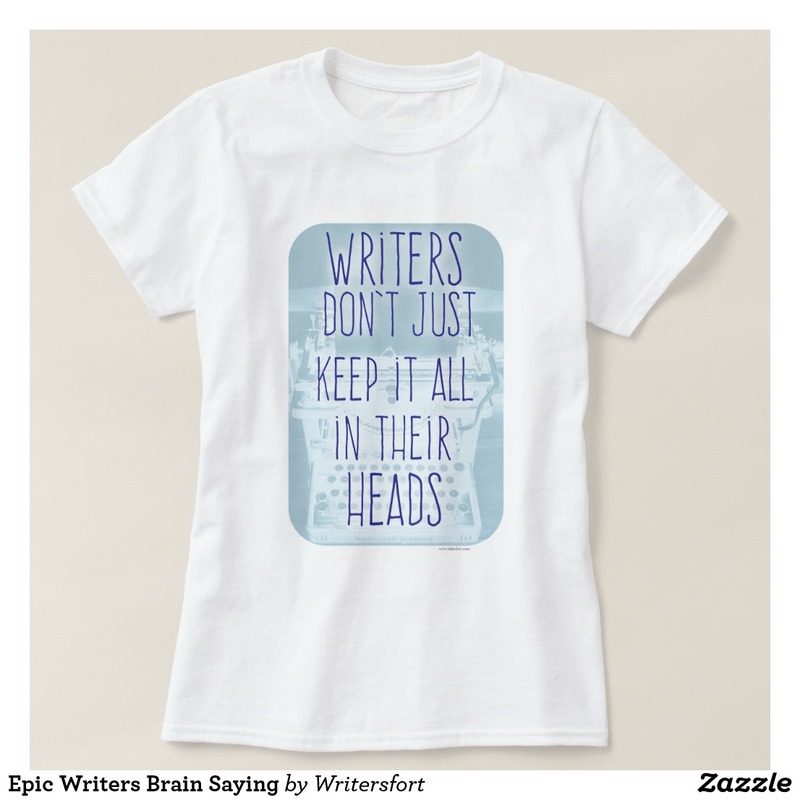 This slogan shirt is a great gift for fiction authors. 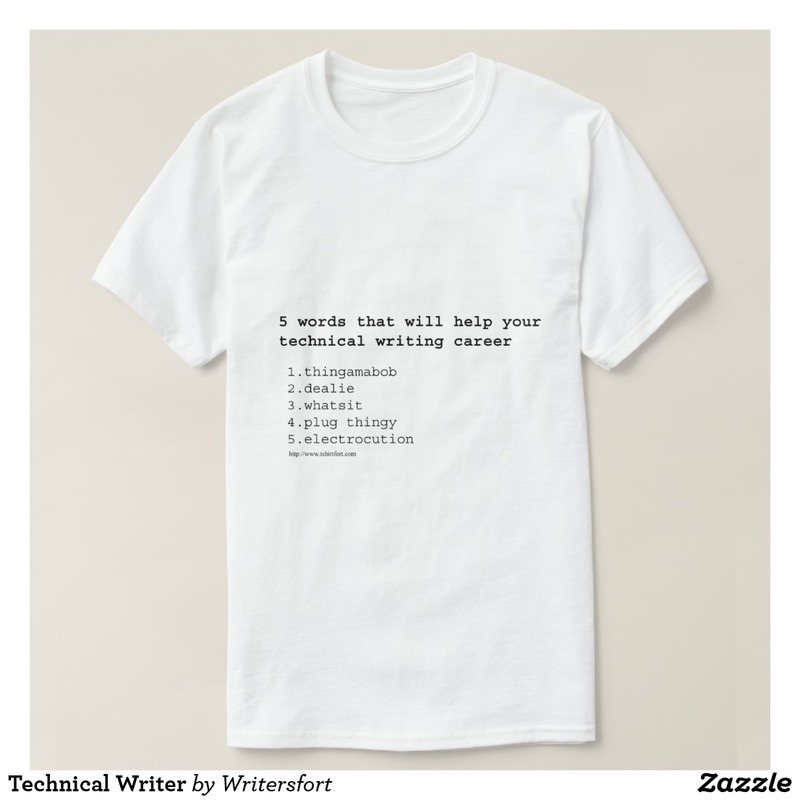 Get a writing slogan shirt today. 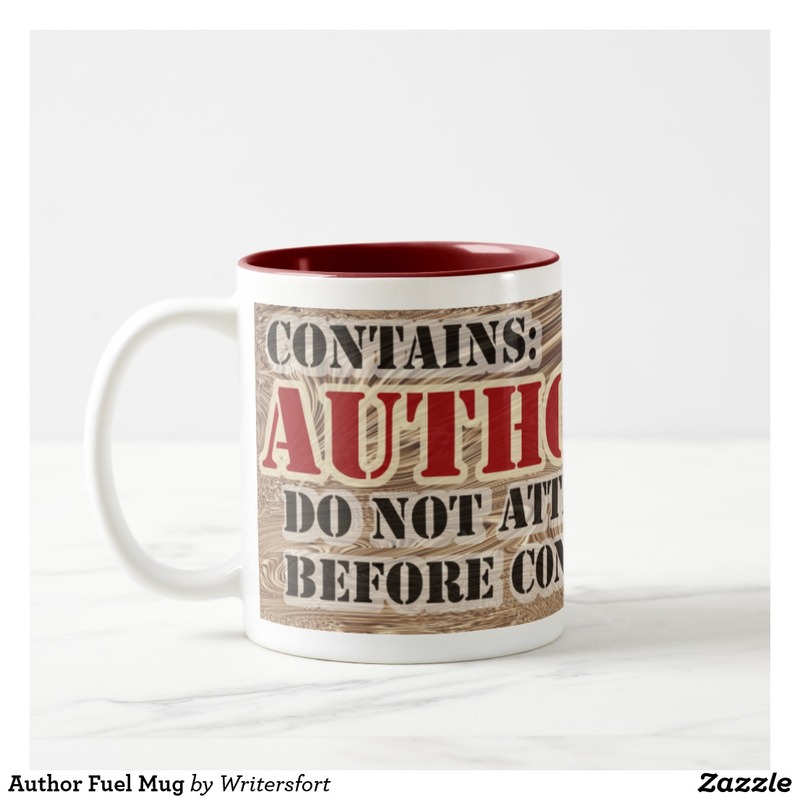 The perfect mug for authors who love coffee. 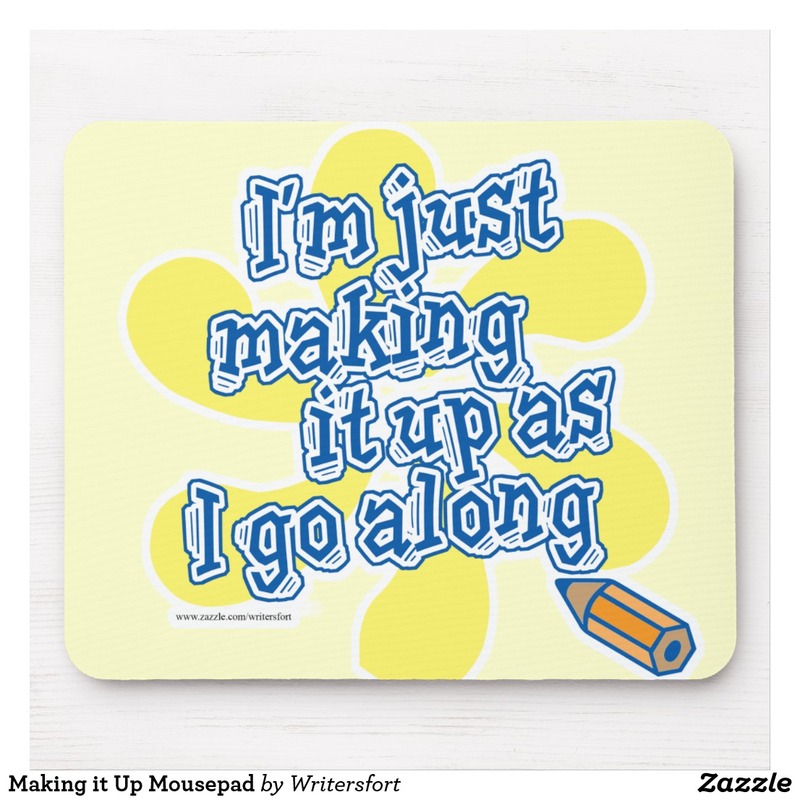 This fun and funny motivational writing process motto design is a perfect gift for any author. 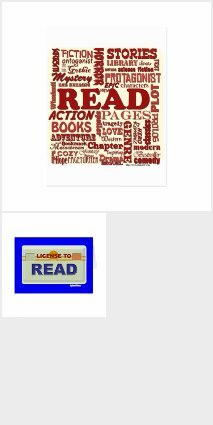 Sell more books with these customizable book stickers. 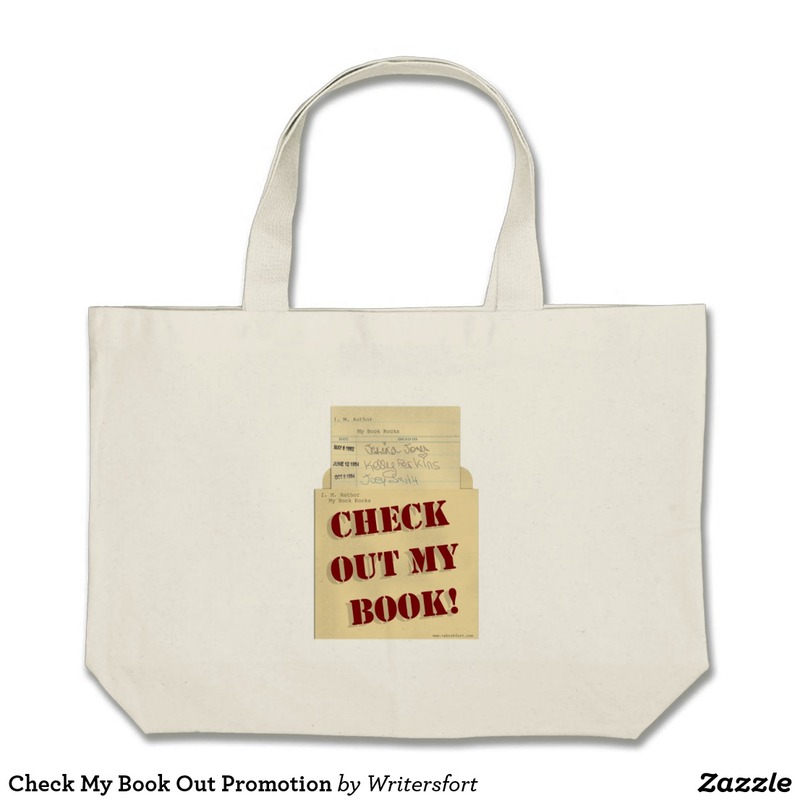 They are great for promotions and sales. 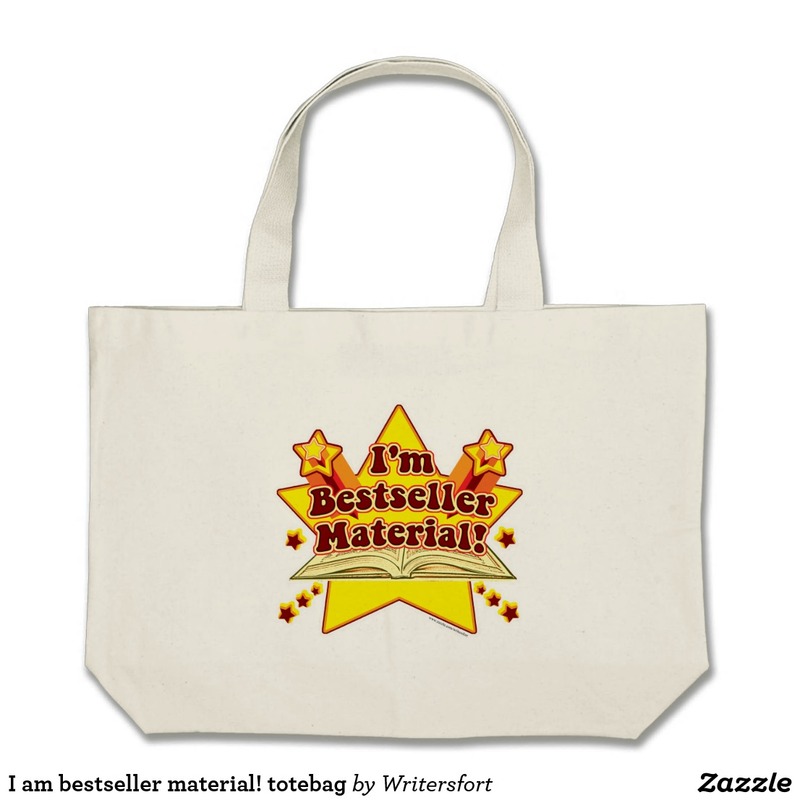 This is a great gift for fiction and non-fiction authors. 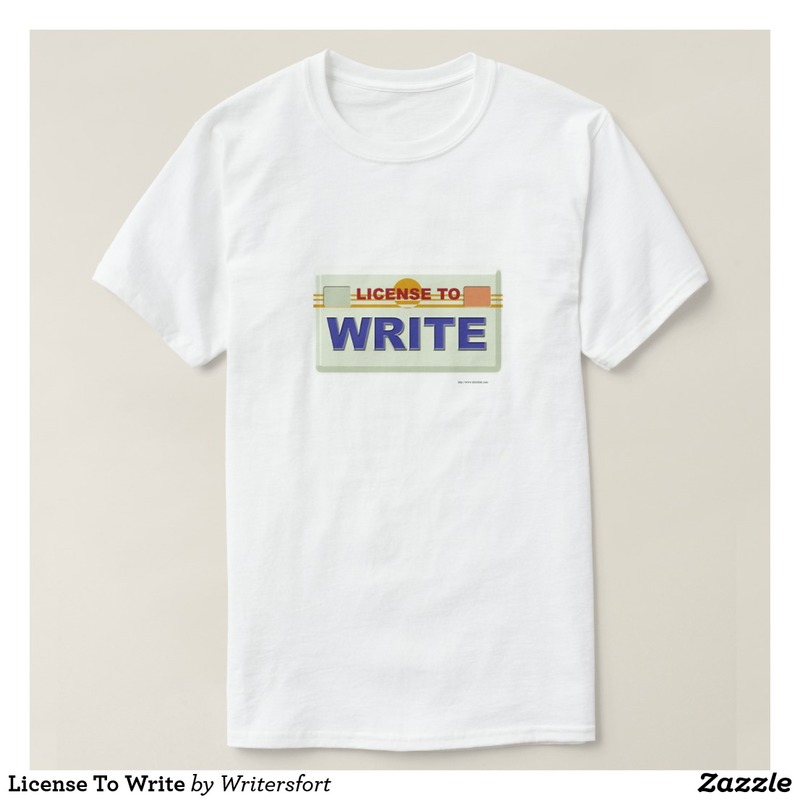 Get a writing slogan shirt today. 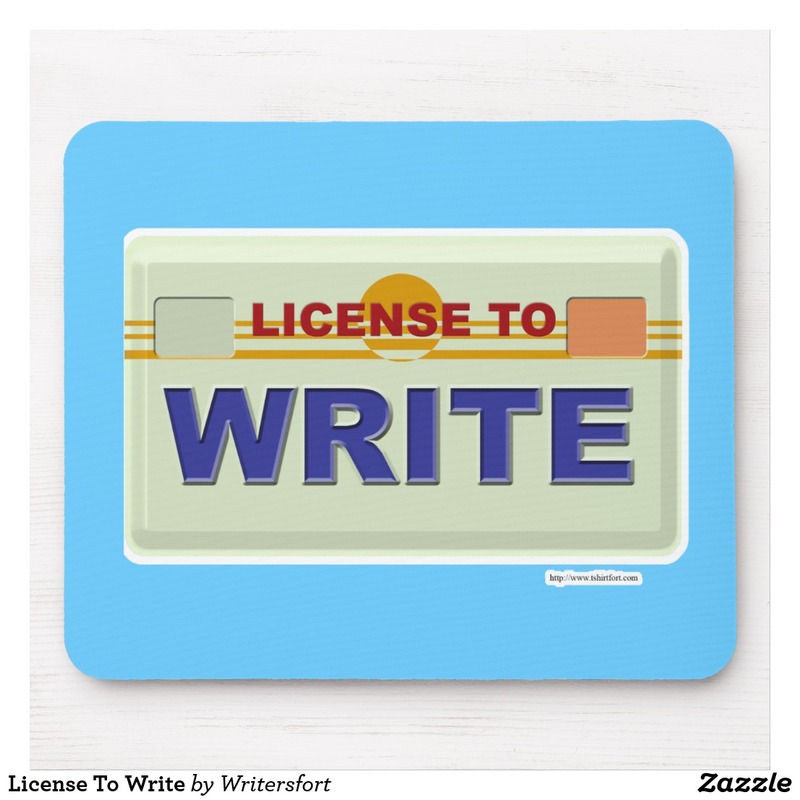 A fun neon sign design that celebrates writing. 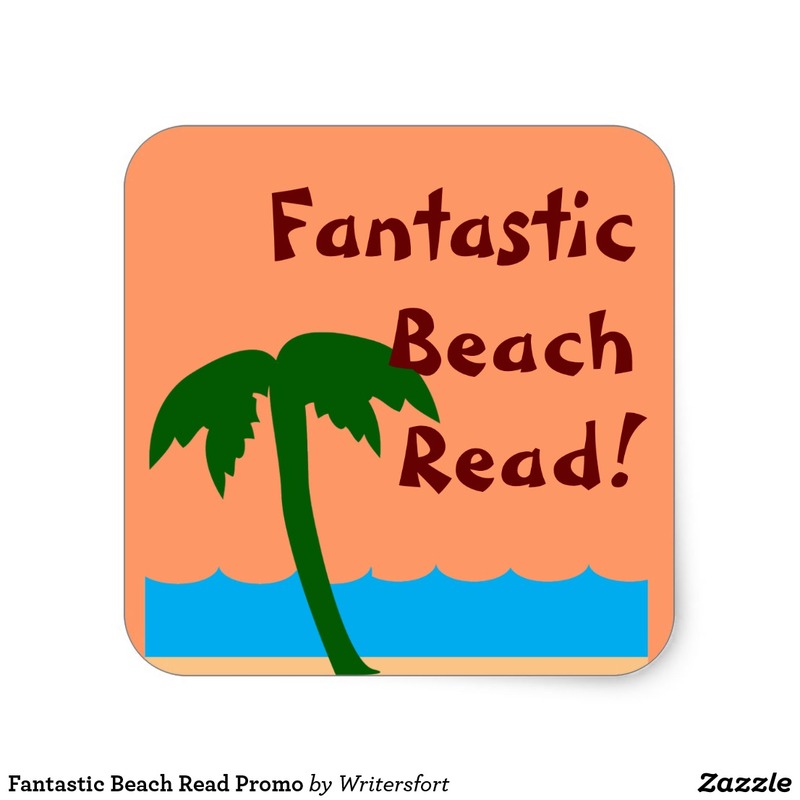 Sell more books with these customizable beach read book stickers. They are great for promotions and sales. 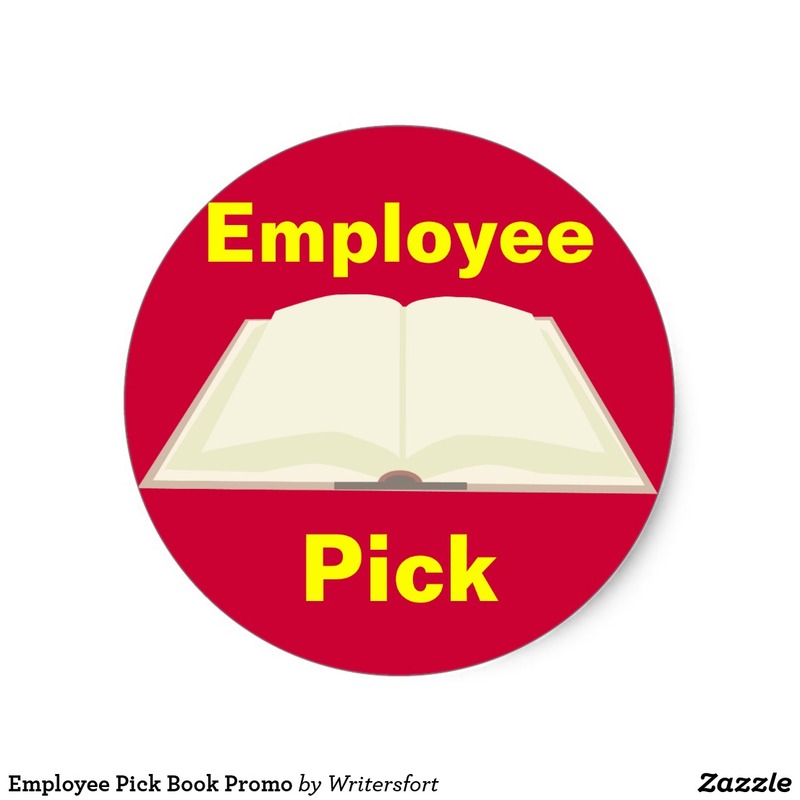 Sell more books with these customizable employee pick book stickers. 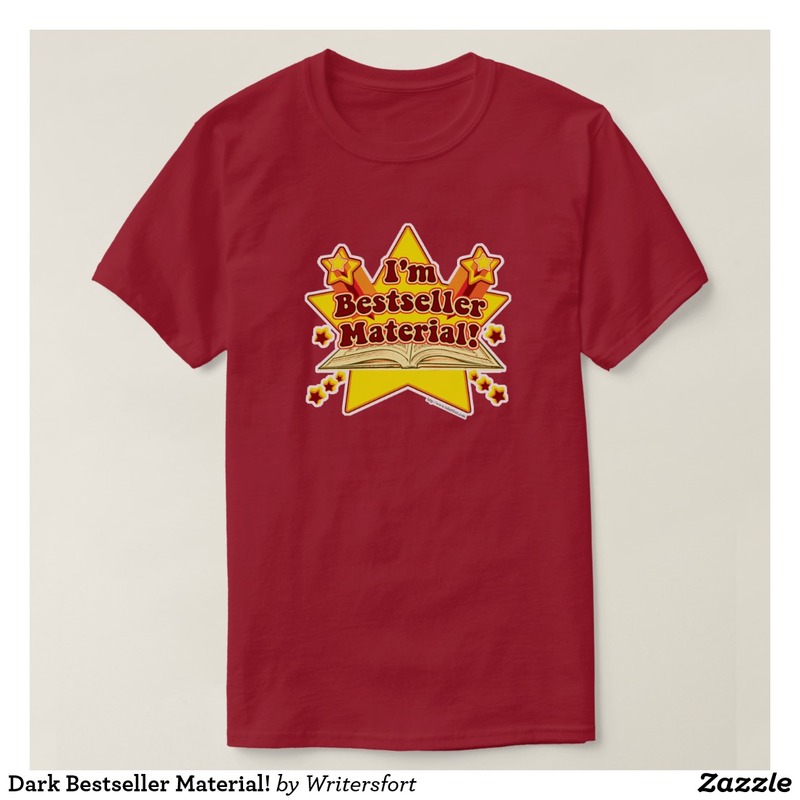 They are great for promotions and sales. It's a Doormat! 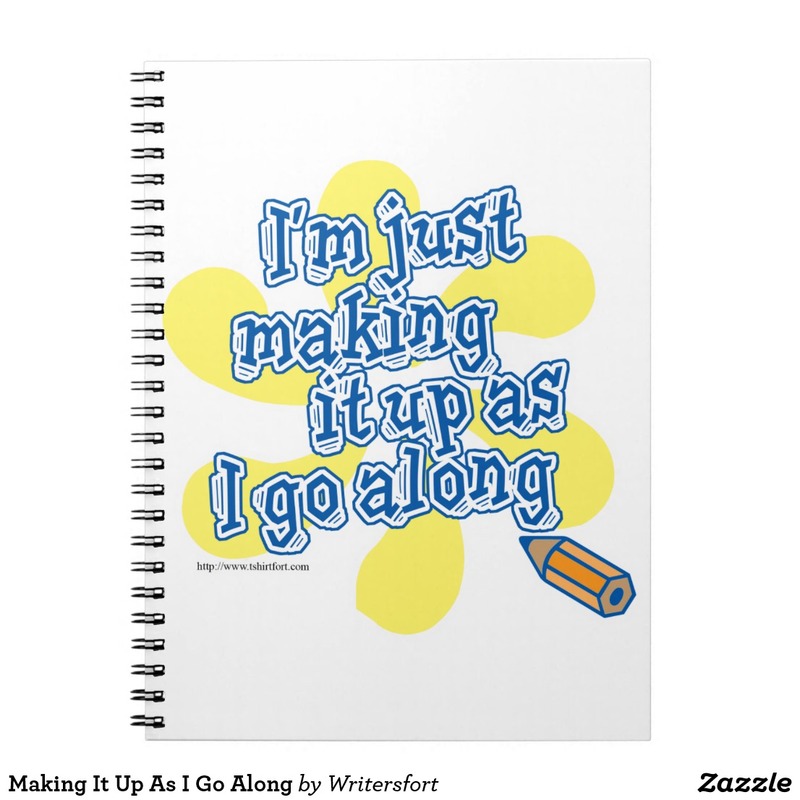 This fun and funny motivational writing process motto design is a perfect gift for any author. 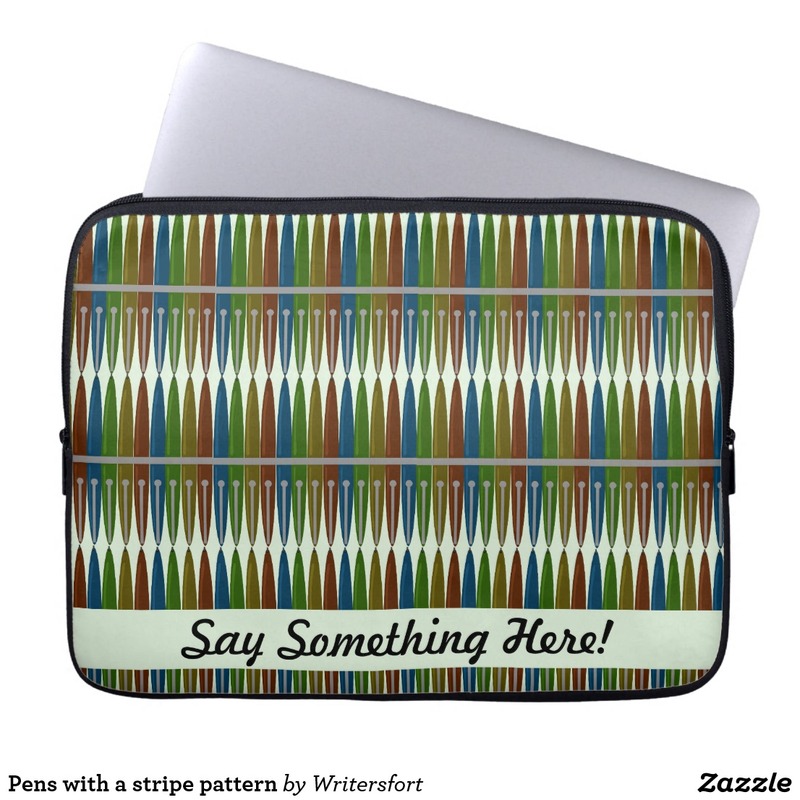 Promote with a Rubber Stamp! 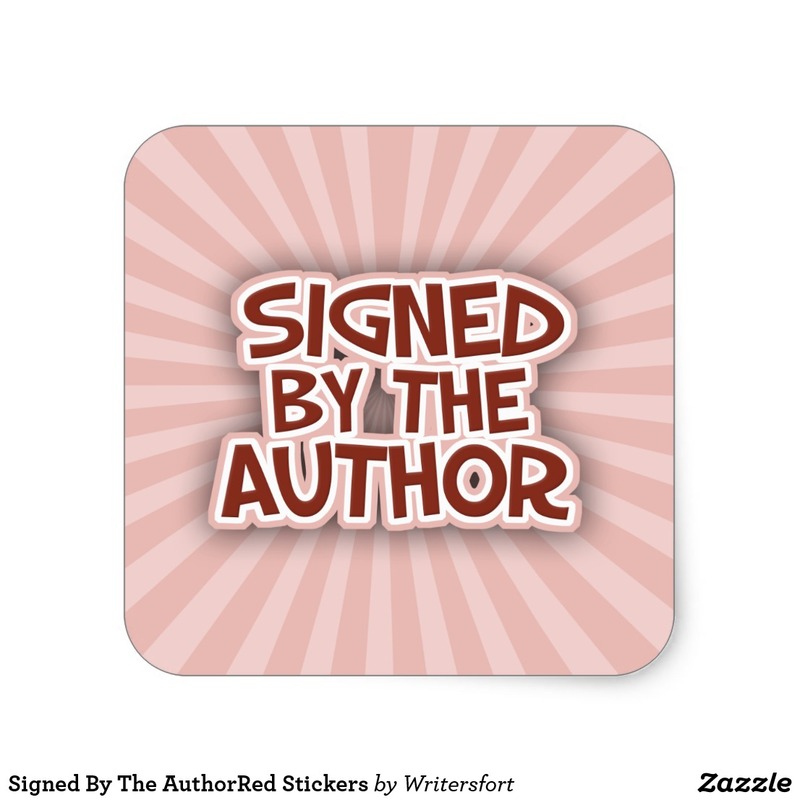 Get attention for your book with this cool author stamp. 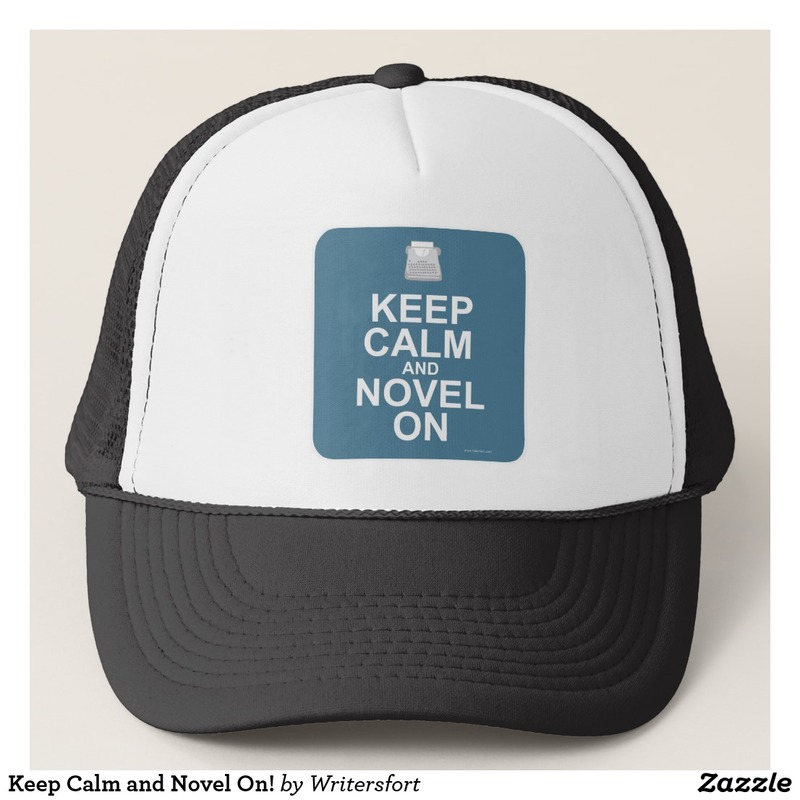 This cheeky mystery genre writing motto design is a perfect gift for any author. 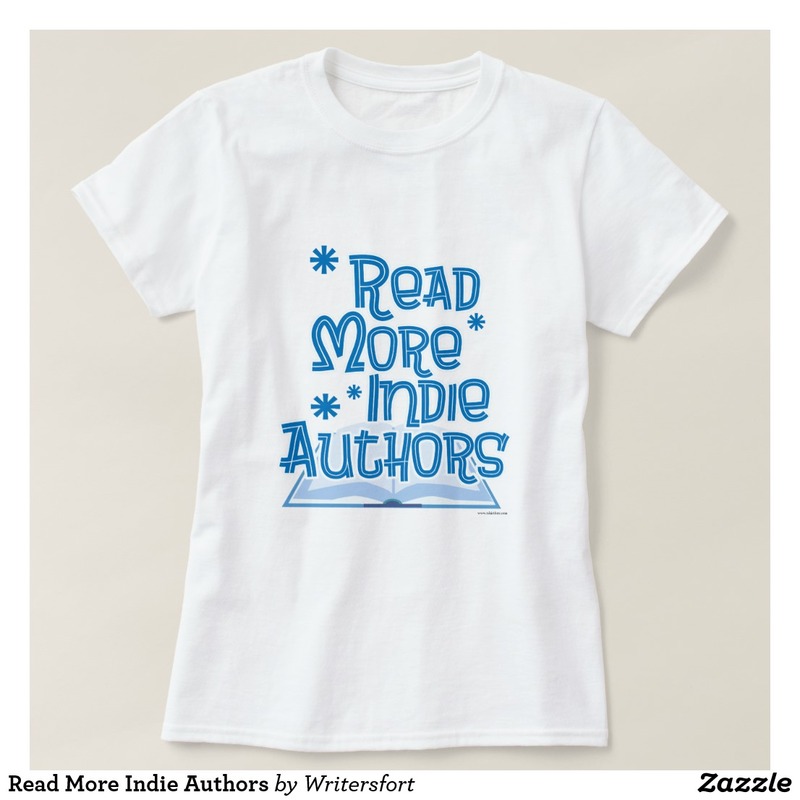 This design is for lovers of indie books. 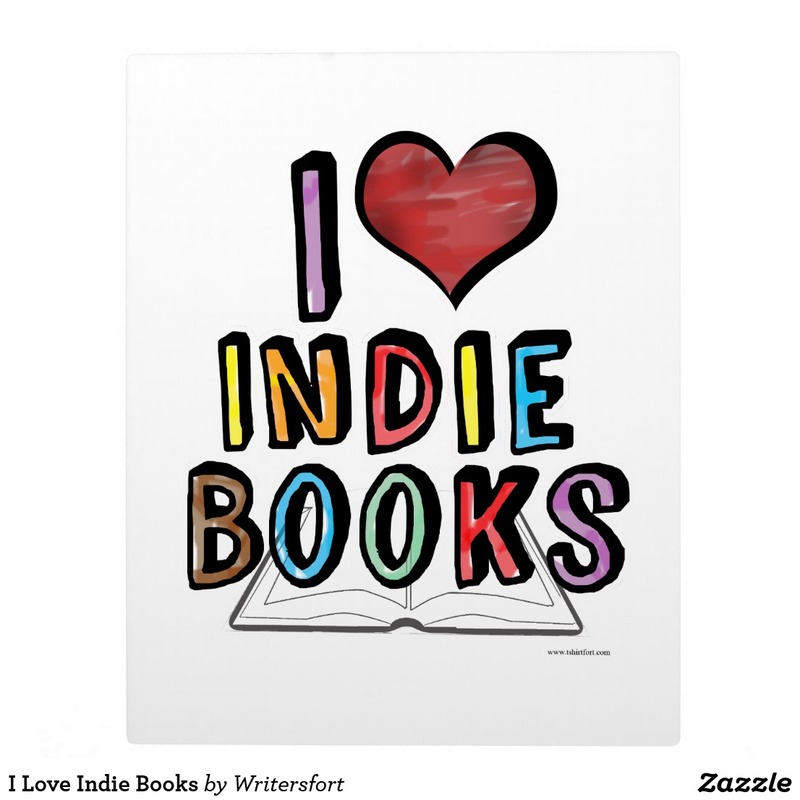 Support independent authors with this writing slogan. 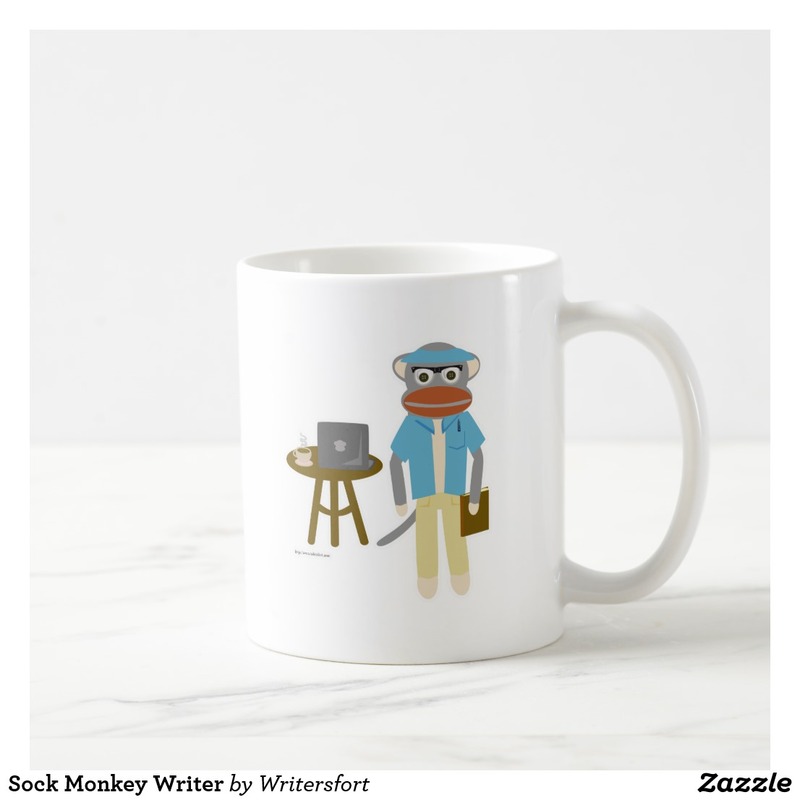 A cute sock monkey coffee mug for writers. 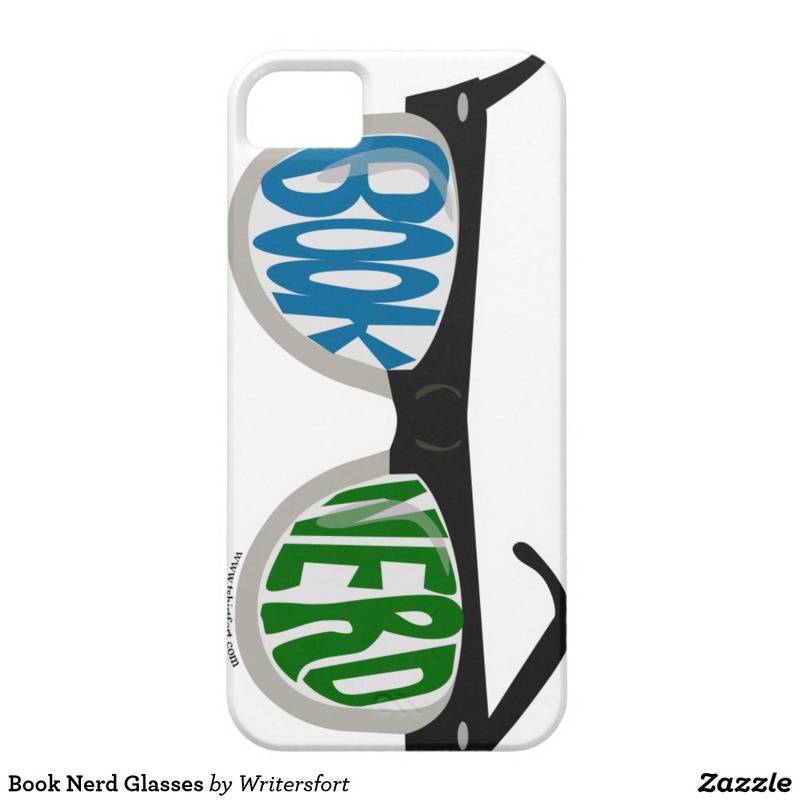 Book Nerd cell phone case. 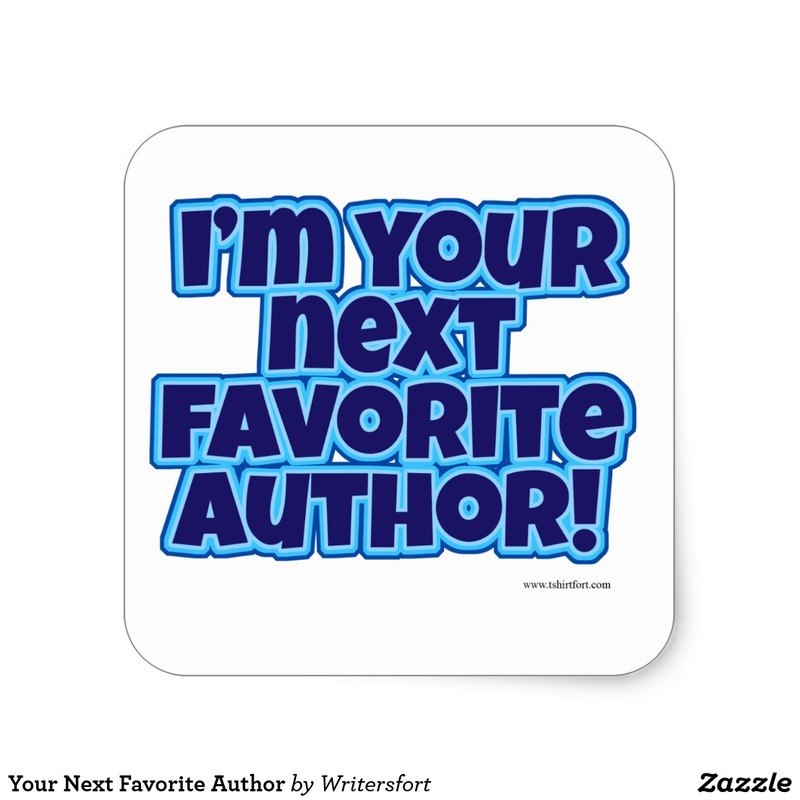 This funny author slogan item is a totally unique gift for any author. 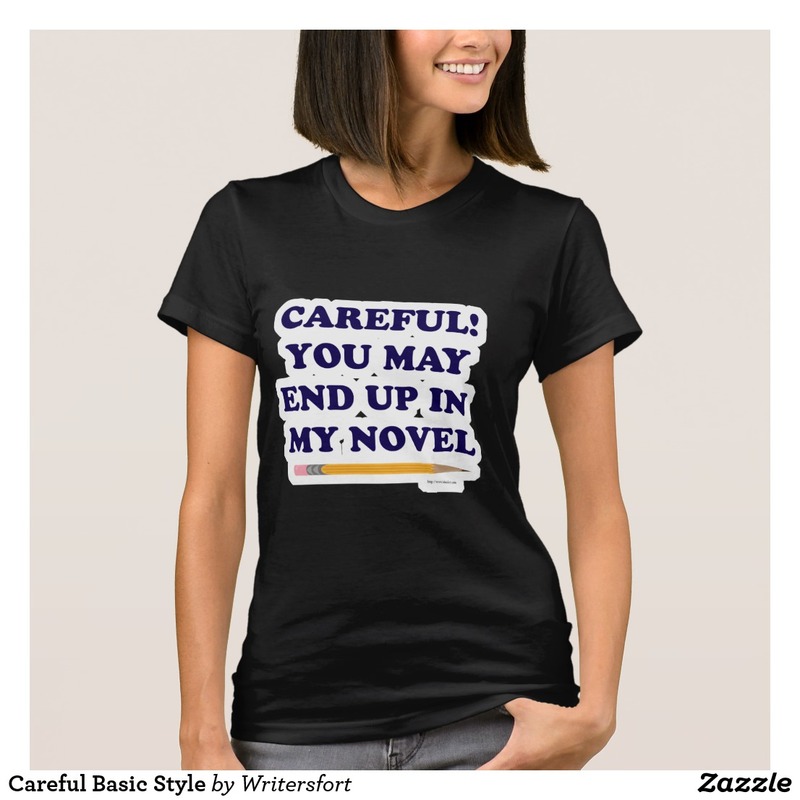 Get a careful writer slogan gift today. 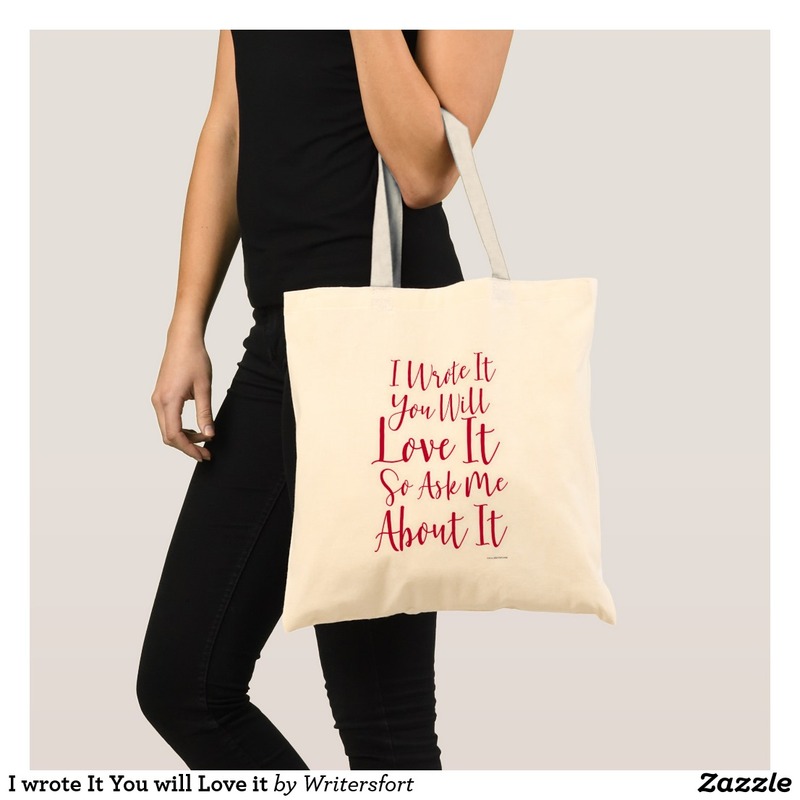 This cool and inspiring motivational writing process slogan design is a perfect gift for any author. 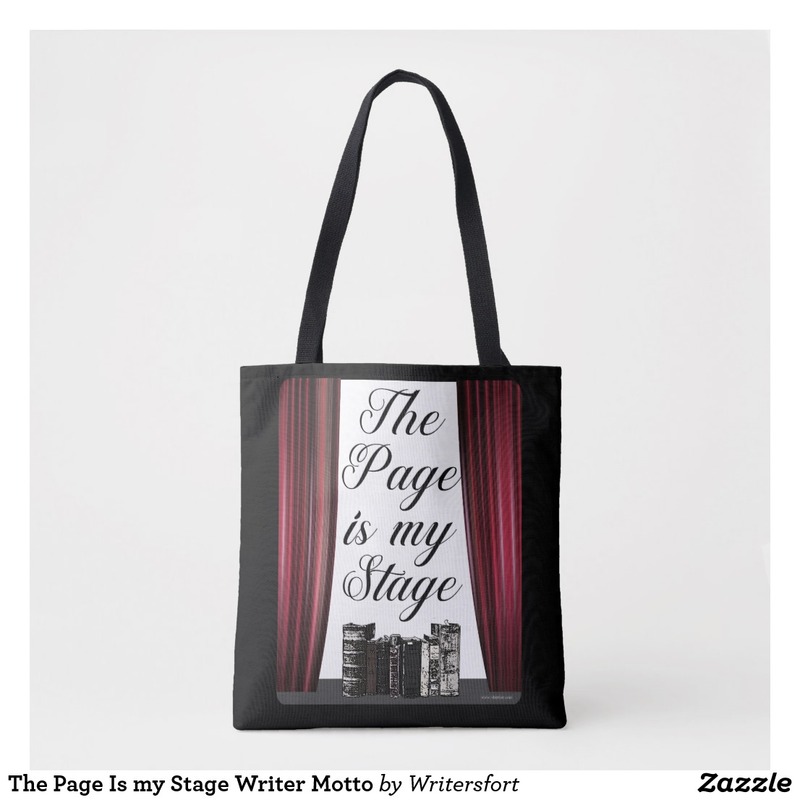 This cool the page is my stage writing design is a perfect gift for any author. 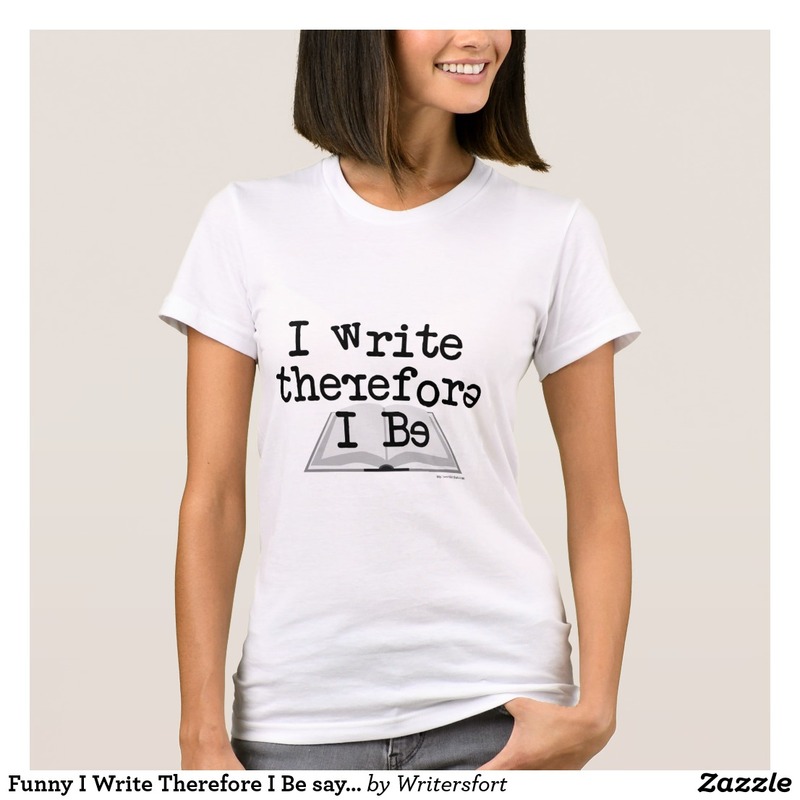 Get some fans with a cheeky writer’s promotional slogan. Your book deserves the attention. 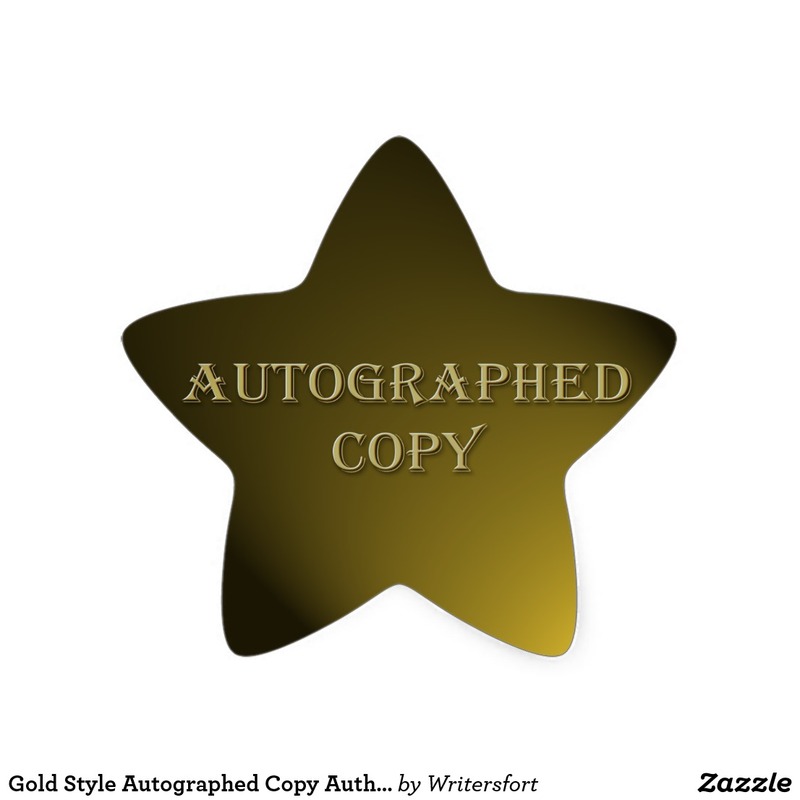 Become a bestselling author. 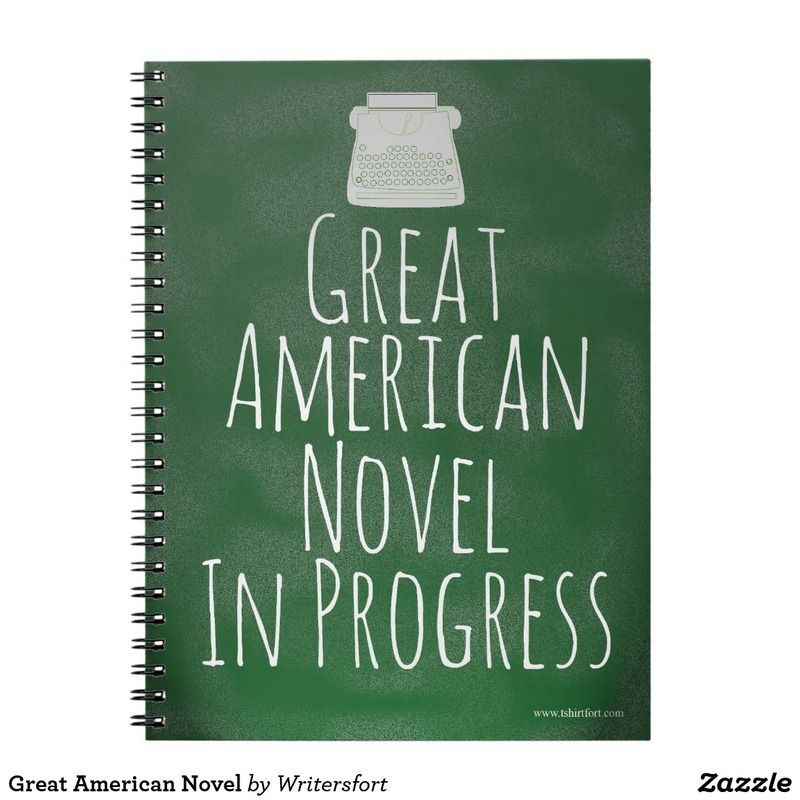 This funny motivational writing process slogan notebook design is a perfect gift for any author. Get some fans with a cheeky writer’s promotional slogan. Your book deserves the attention. 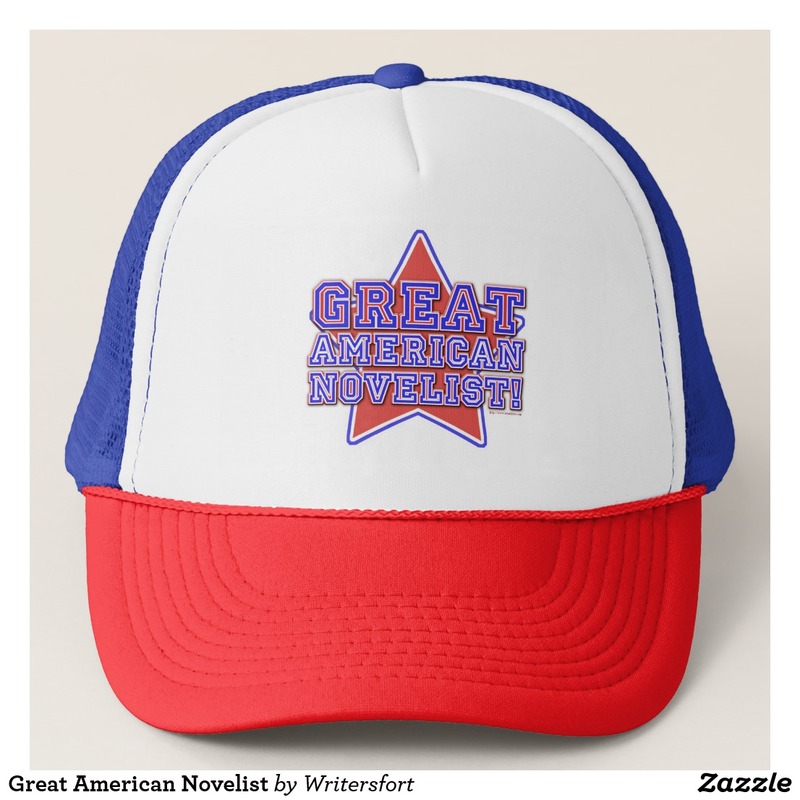 Be a Great American Novelist. 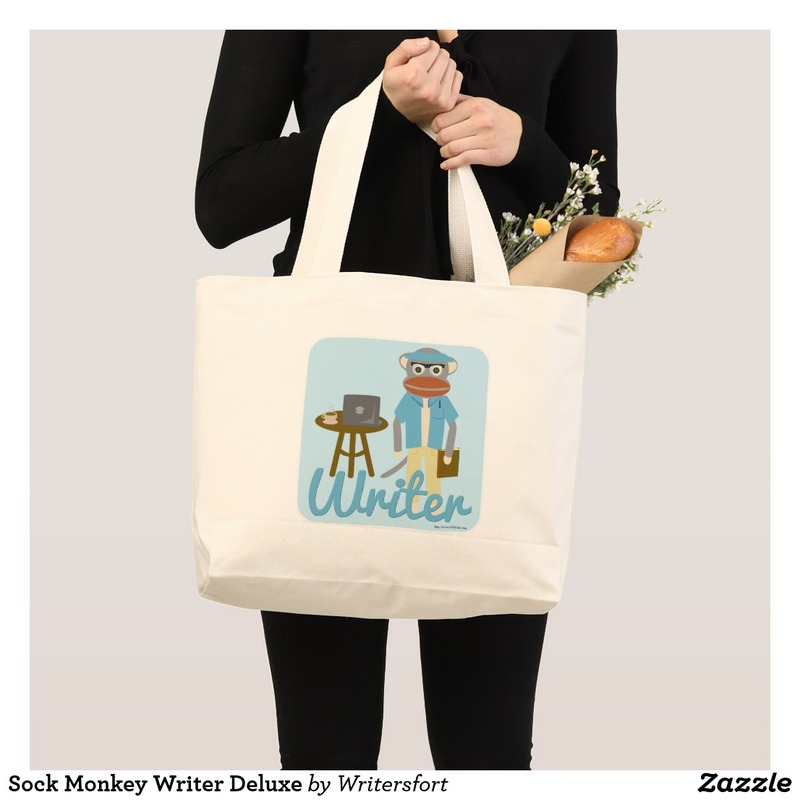 This funny motivational writing process slogan totebag design is a perfect gift for any author. 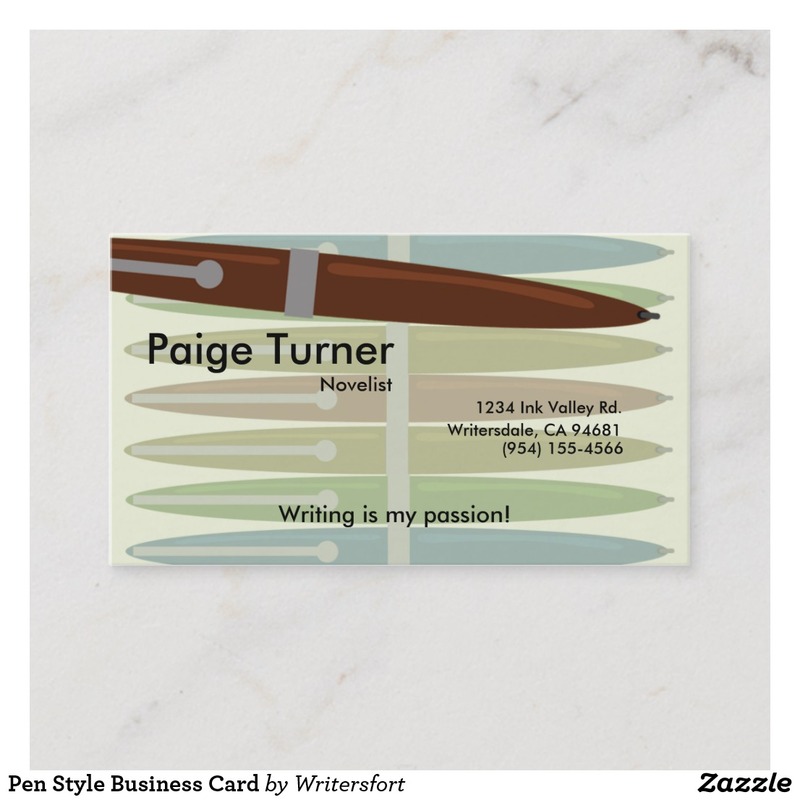 Get the word out about your book with this eye-catching customizable writers business card. 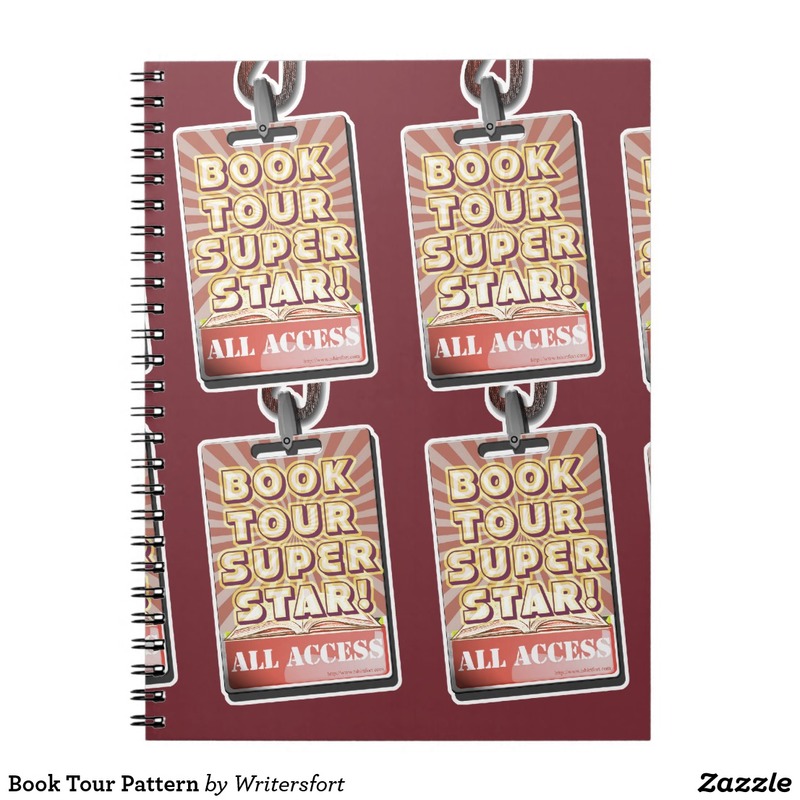 Let this funny design be your all access pass to the exiting world of book tours. 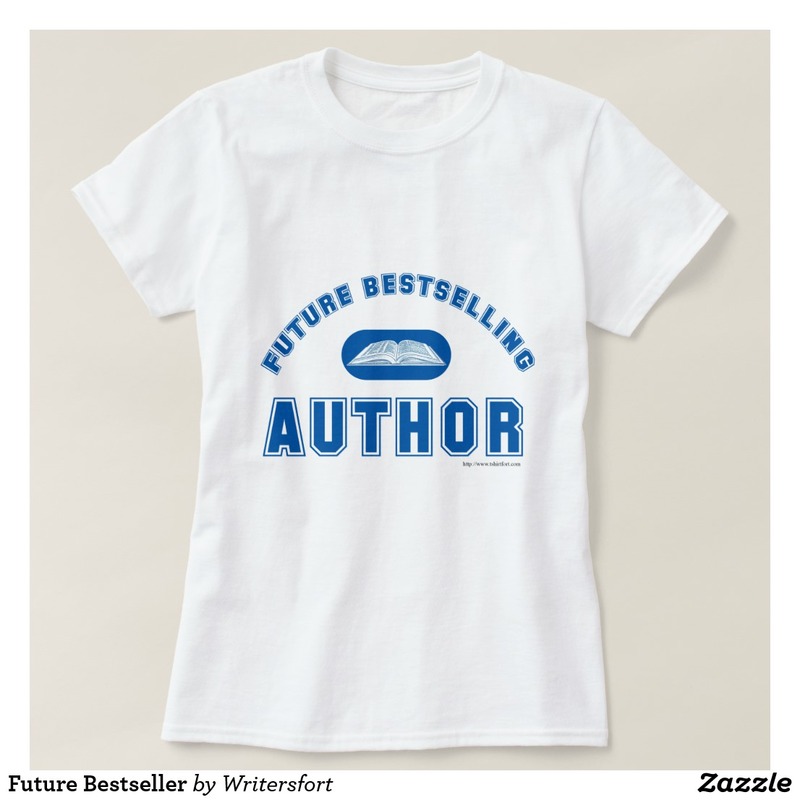 Want to be a bestselling author? 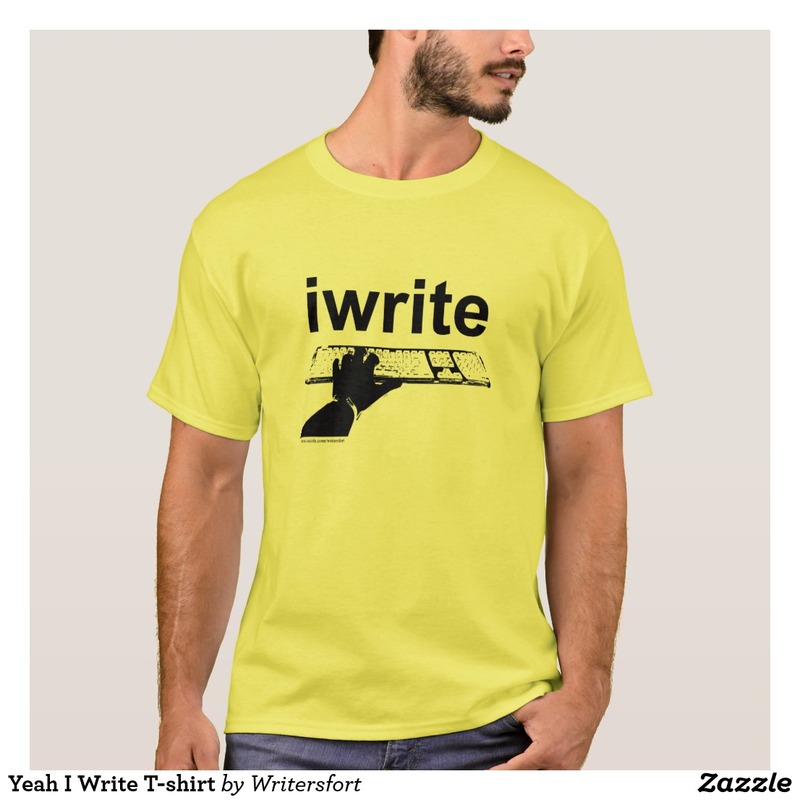 Don’t be afraid to express yourself and get a writing poster, shirt or gift today. 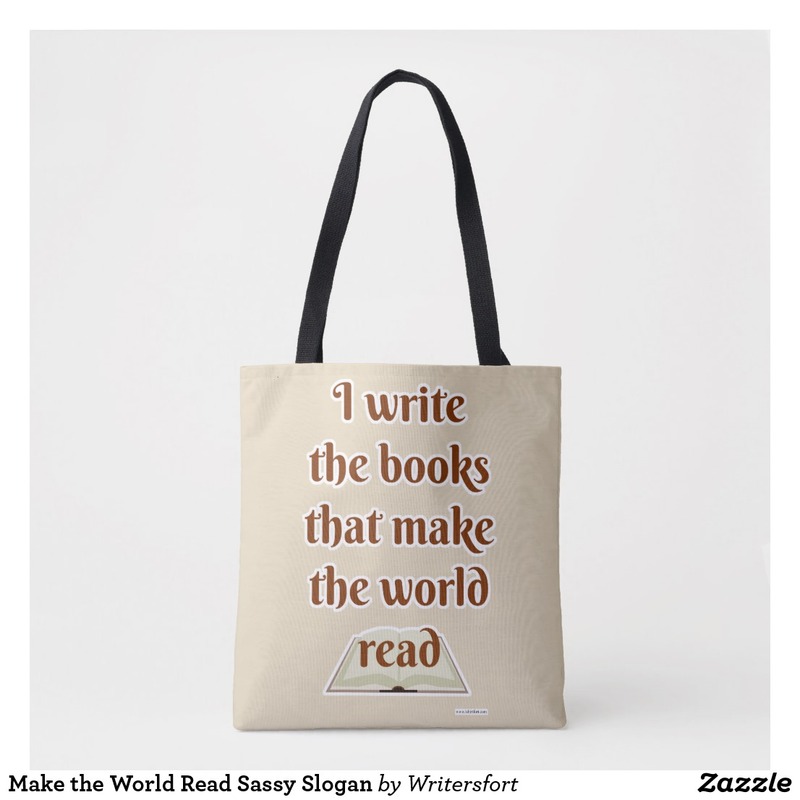 This funny author slogan item is a totally unique gift for any author. 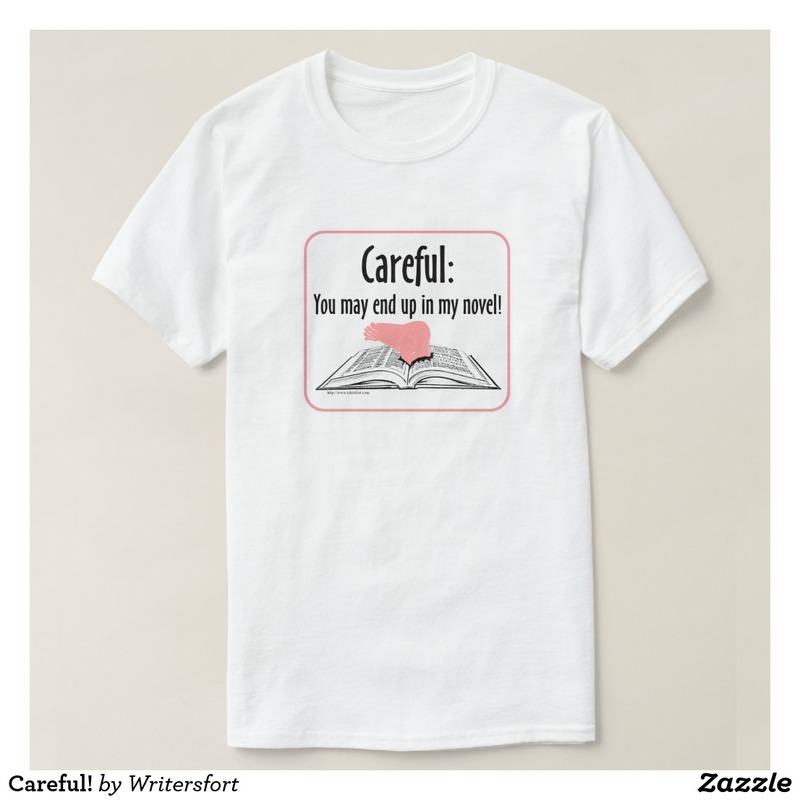 Get a funny careful writer motto gift today. 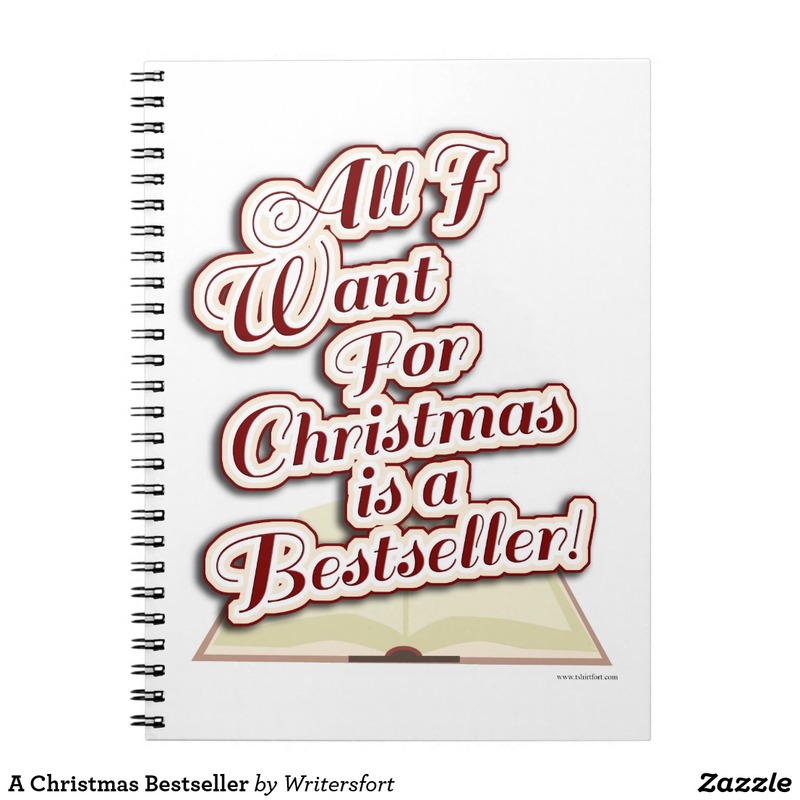 This funny author slogan item is a totally unique gift for any author. 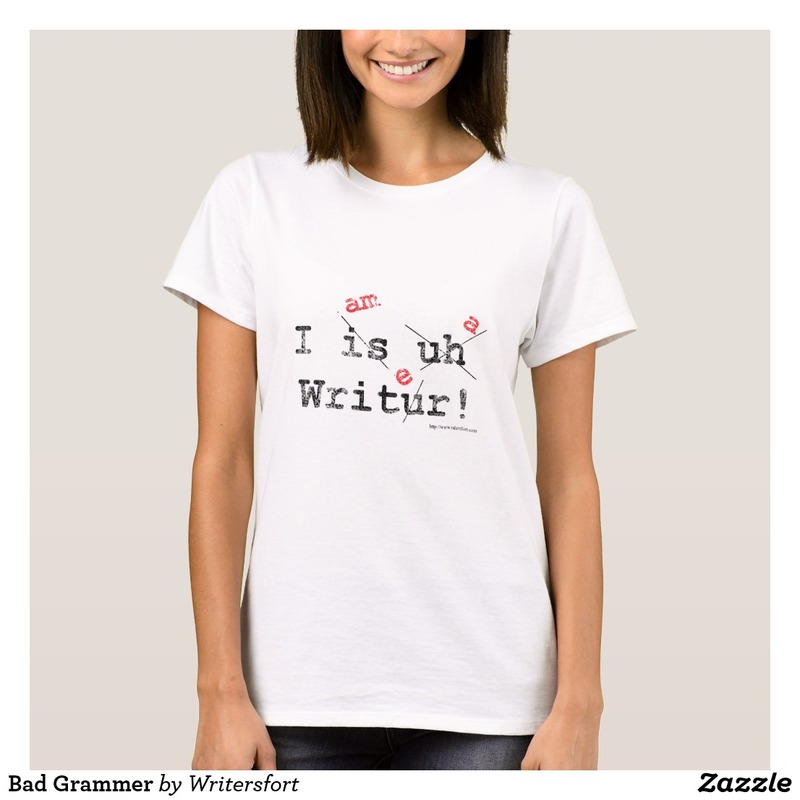 Get a comic bad grammar writer motto gift today. 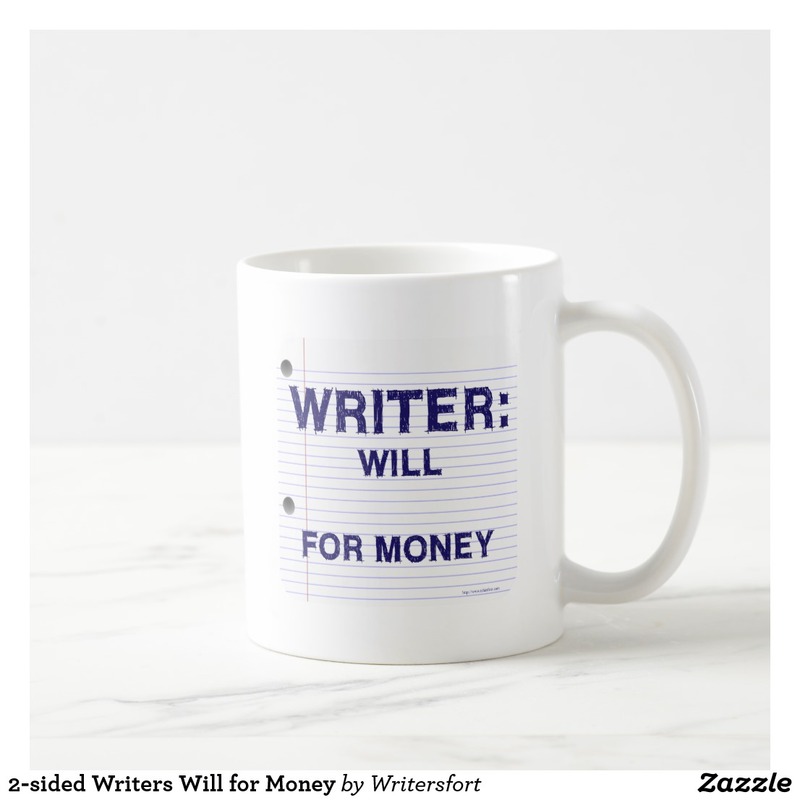 Get some fans with a cheeky writer’s promotional slogan mug. Your book deserves the attention. This funny author slogan item is a totally unique gift for any author. 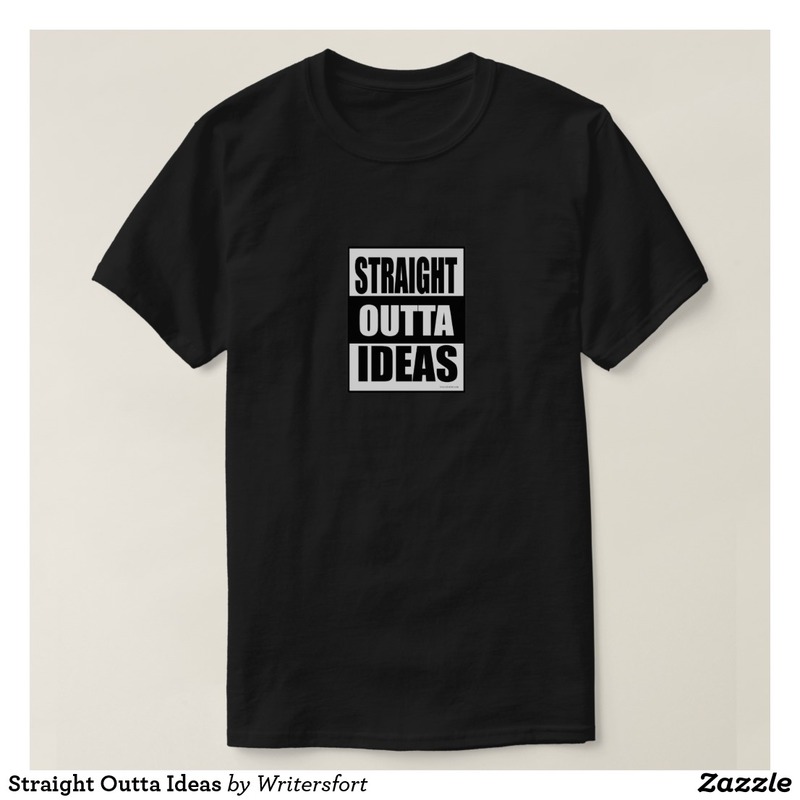 Get a comic writer draft motto gift today. 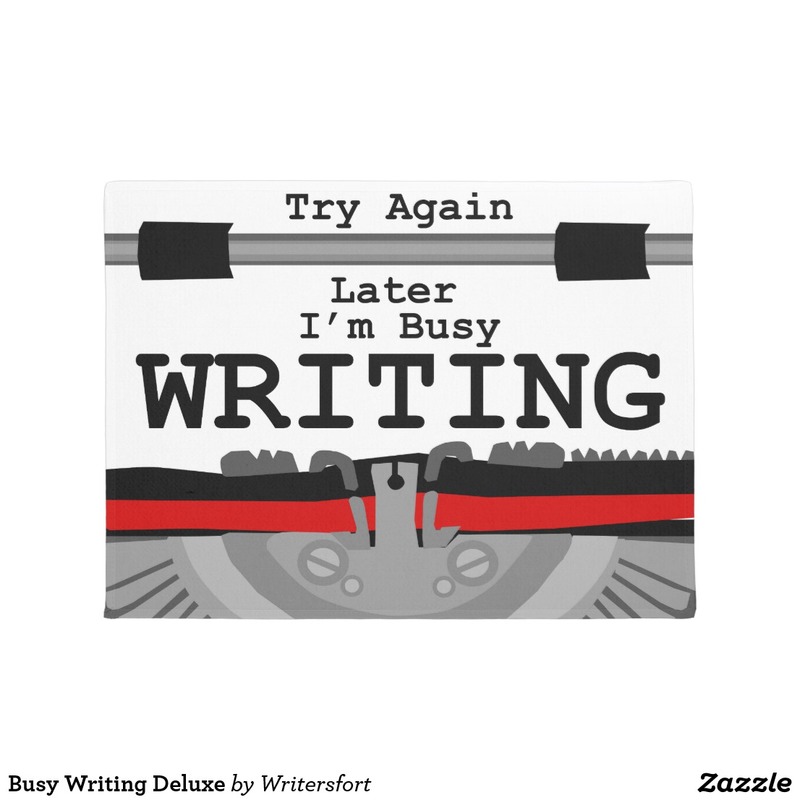 Keeping busy with your writing? 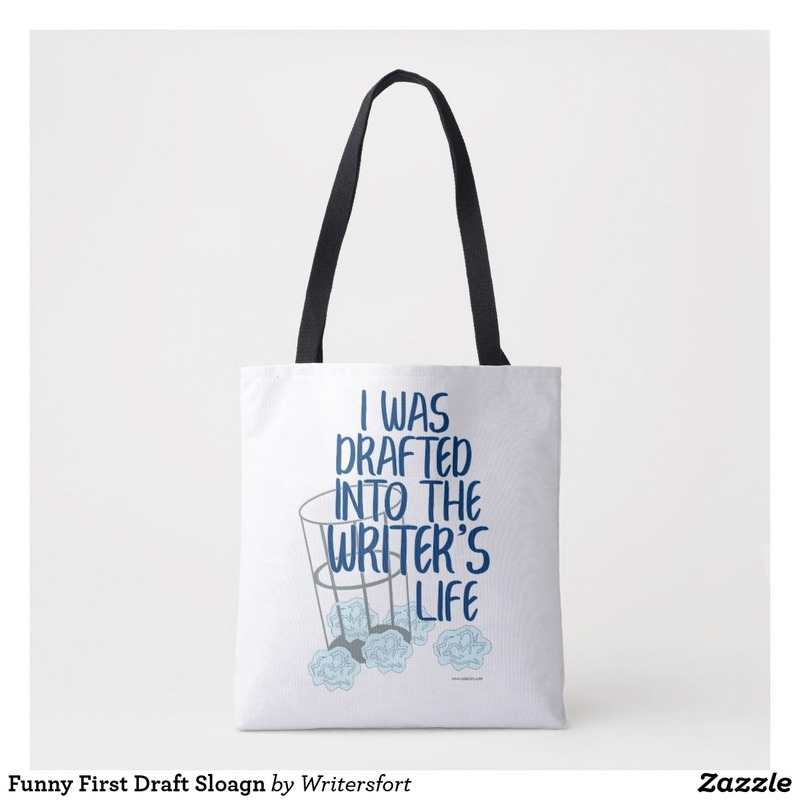 This funny motivational writing process slogan design is a perfect gift for any author. 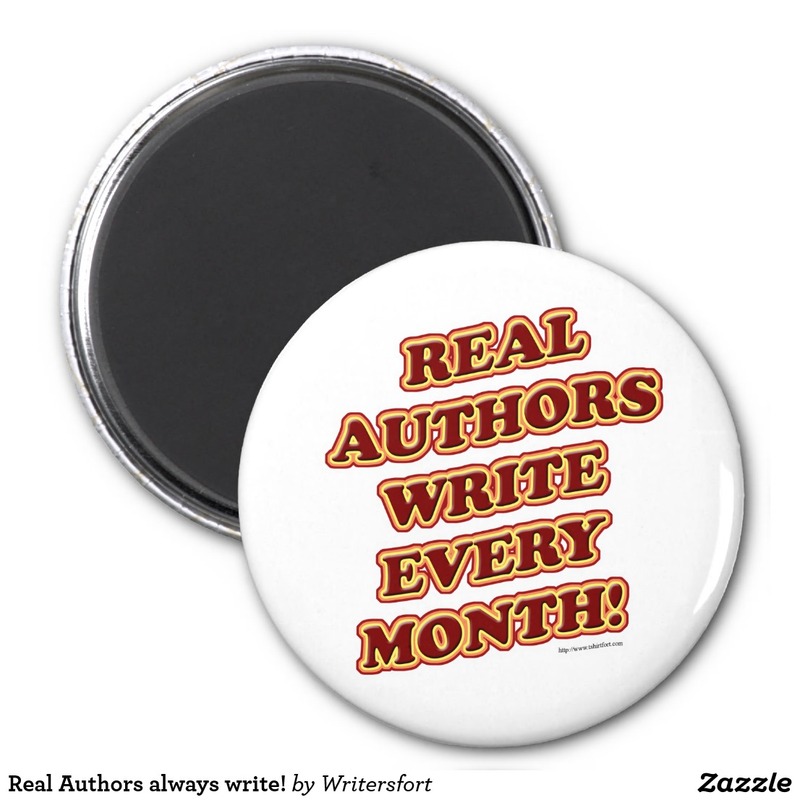 Fun attention grabbing slogan for authors. A funny slogan for bloggers, influencers and social media stars. 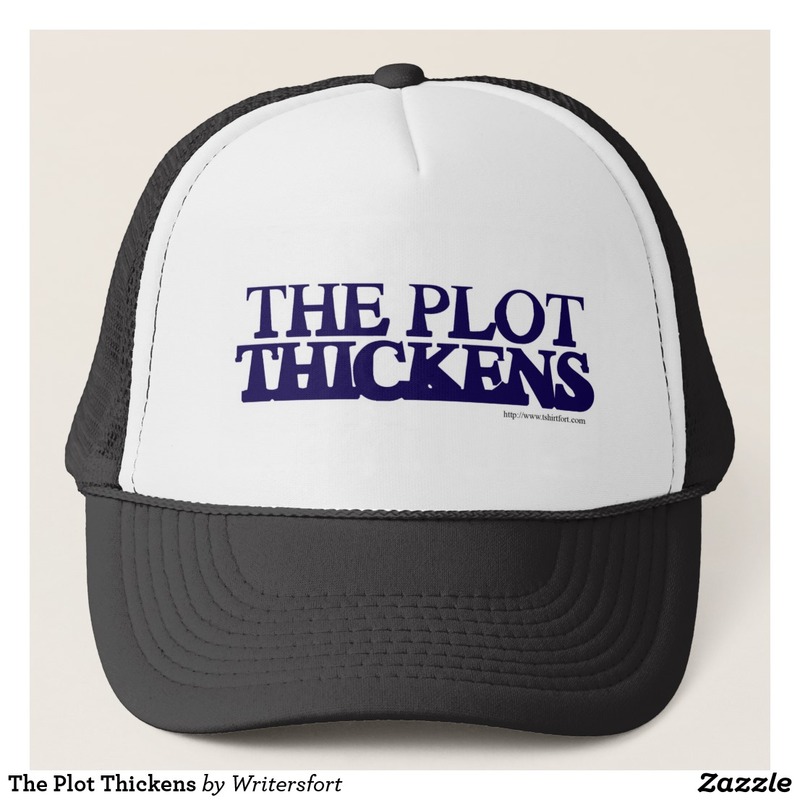 This plot slogan hat is perfect for bookworms, word nerds, authors, librarians, editors, avid readers, lovers of literature, and more. 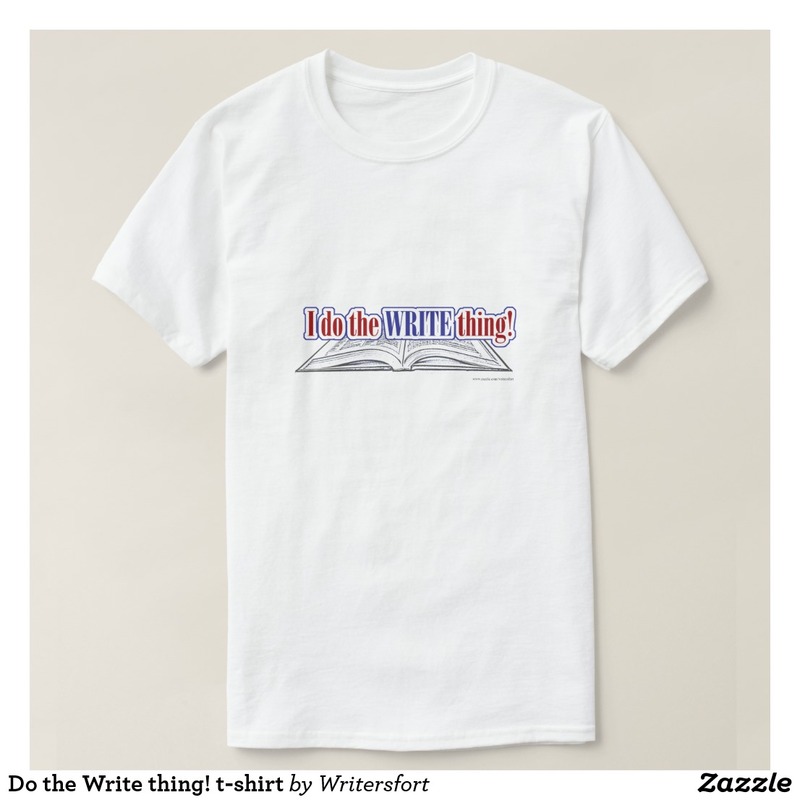 Do the write thing and get this epic writers slogan shirt today. 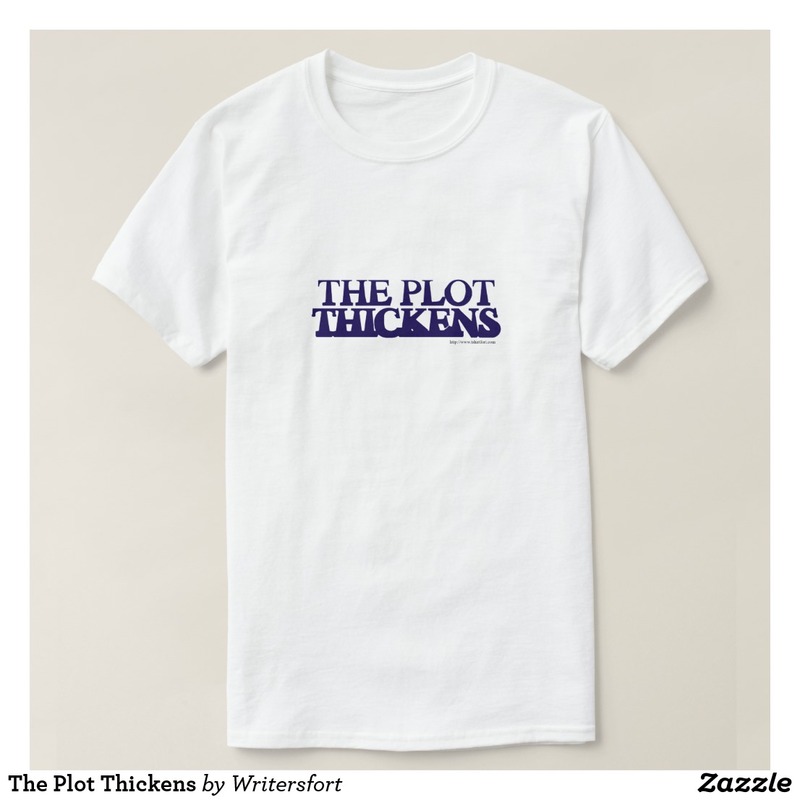 Get some fans with a cheeky writer’s promotional slogan. Your book deserves the attention. 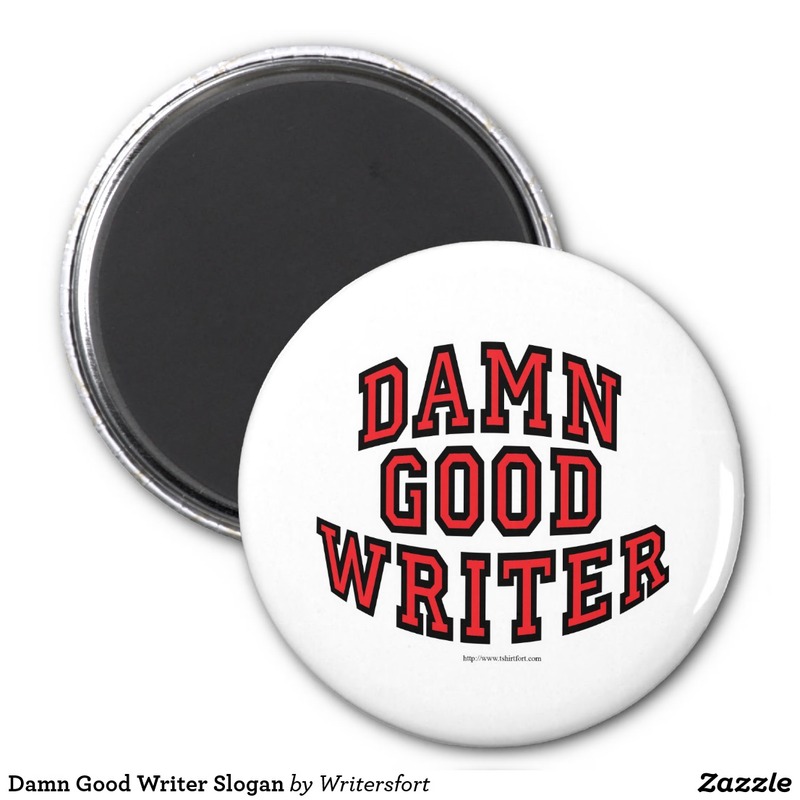 Damn Good Writer? 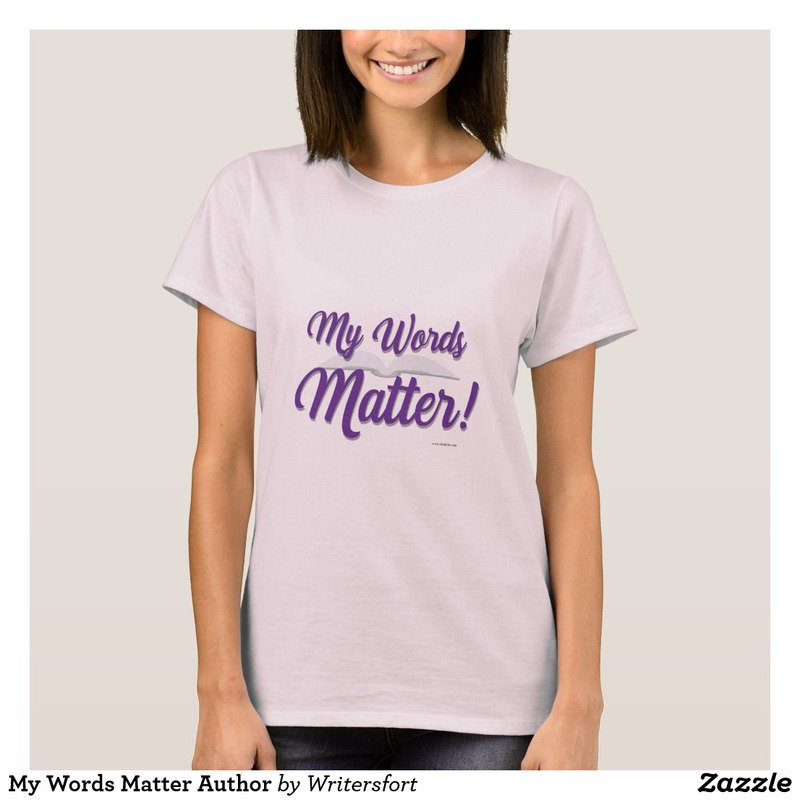 Don’t be afraid to express yourself and get a writing poster, shirt or gift today. Not a knock on Nano. Just a reminder to keep it up! Do you really have a solid beginning middle and end? Are all those loose ends really wrapped up? 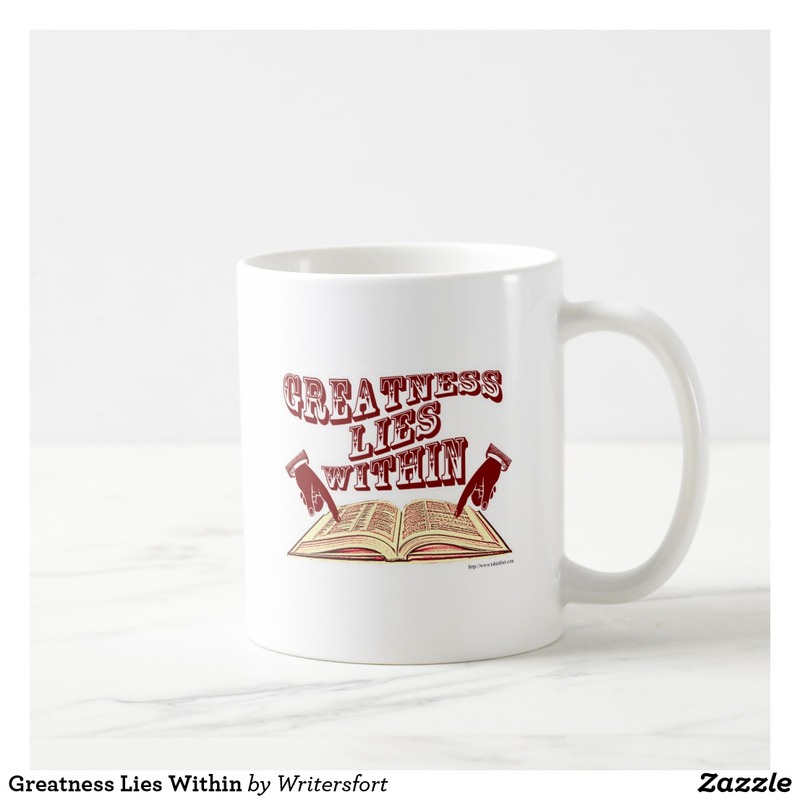 Get a writers slogan mug gift. 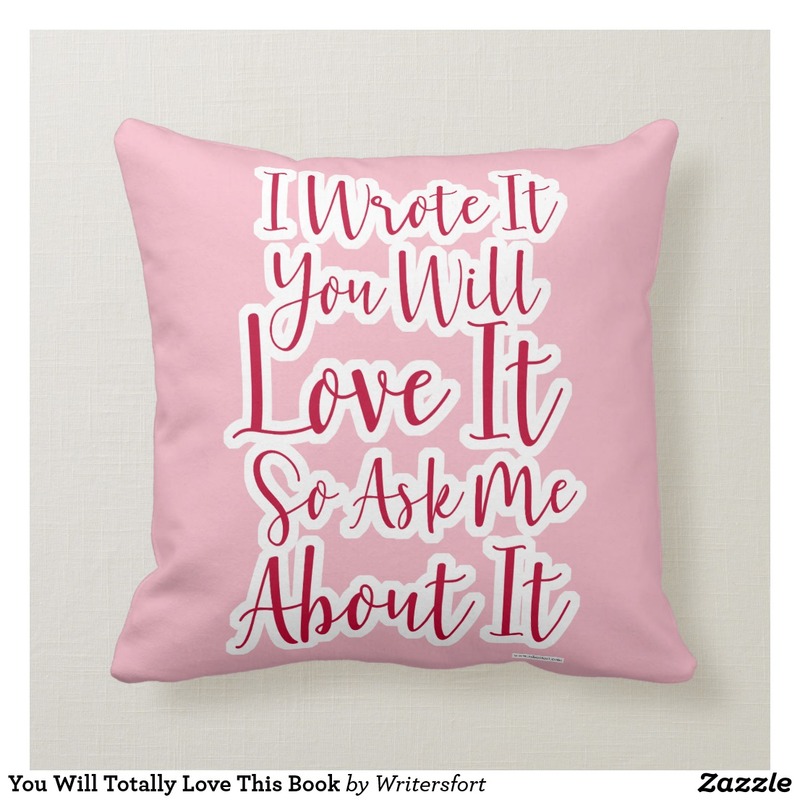 This funny author slogan item is a totally unique gift for any author. 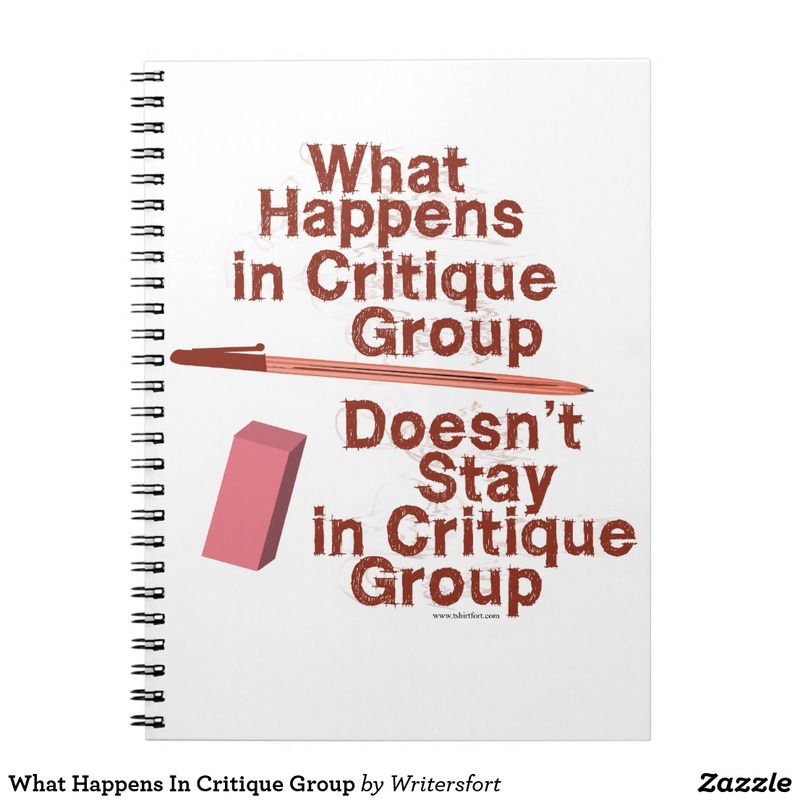 Get a comic writer motto gift today. 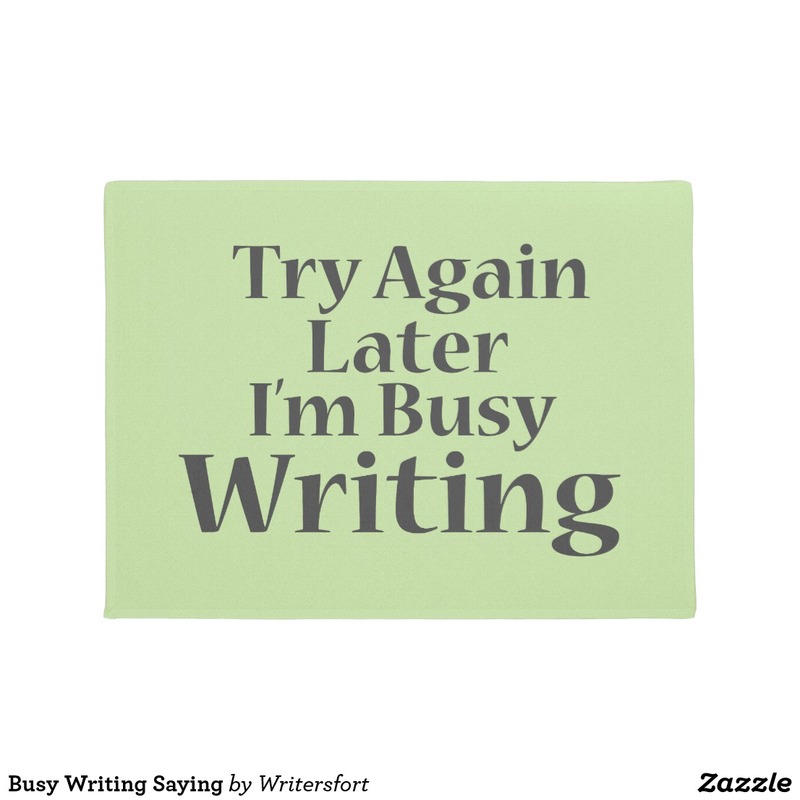 Keeping busy with your writing? 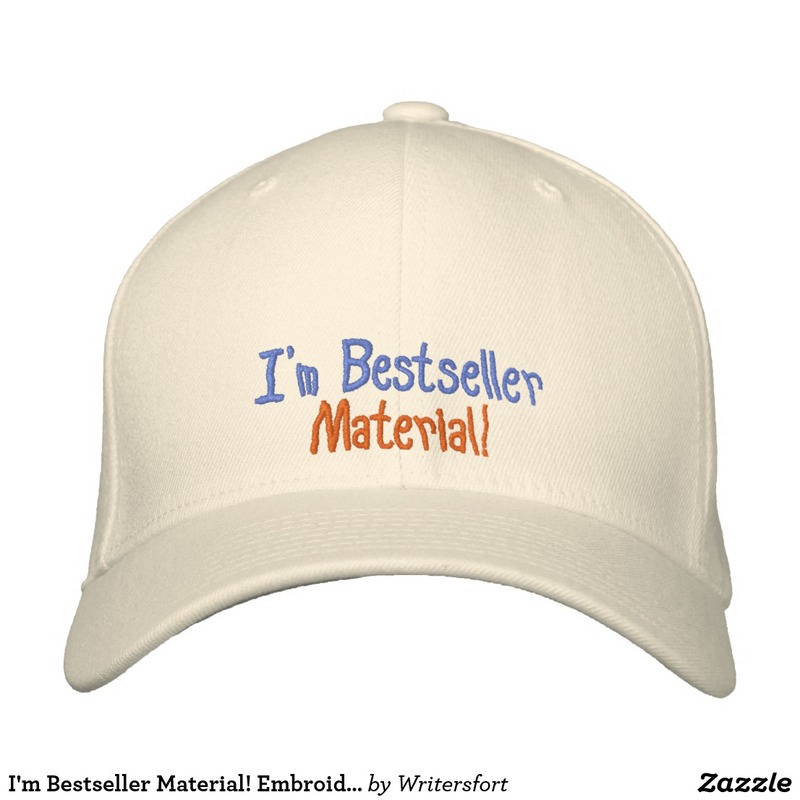 This funny motivational writing process slogan design is a perfect gift for any author. 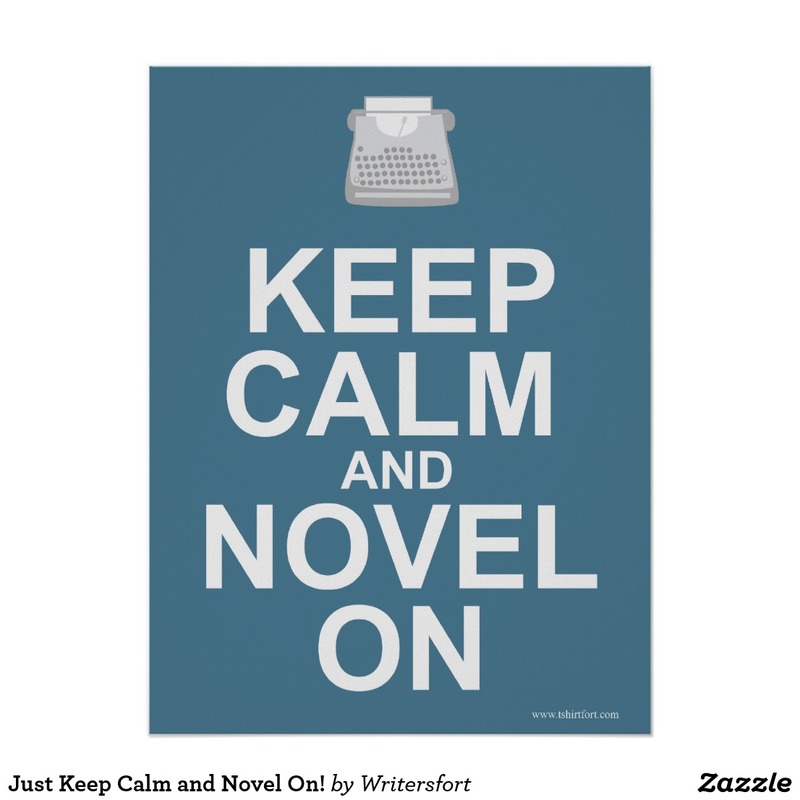 Keep calm and novel on! 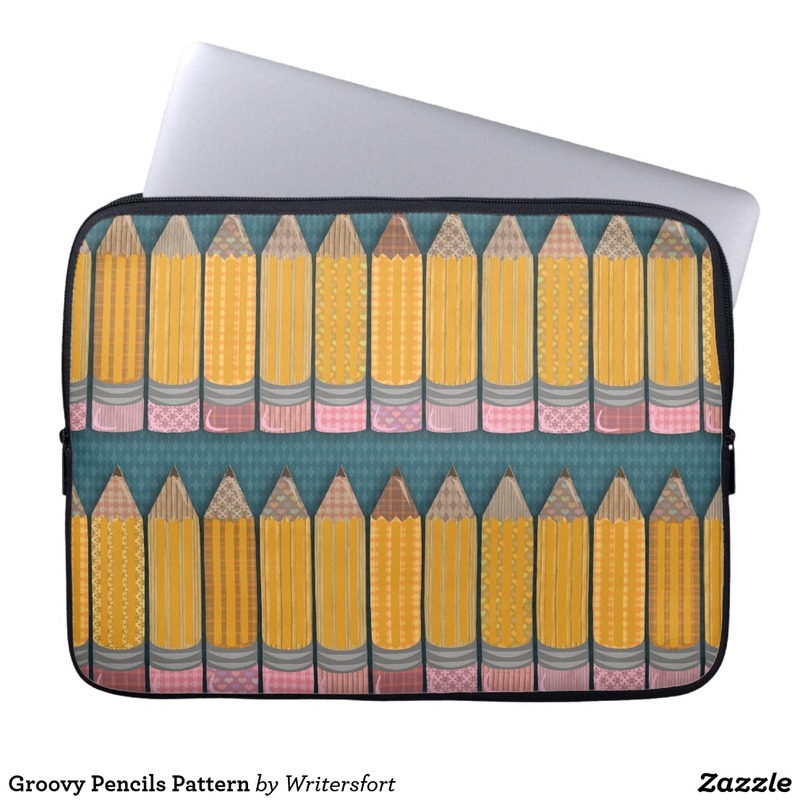 This cool illustrated design makes a great author gift or reader gift. 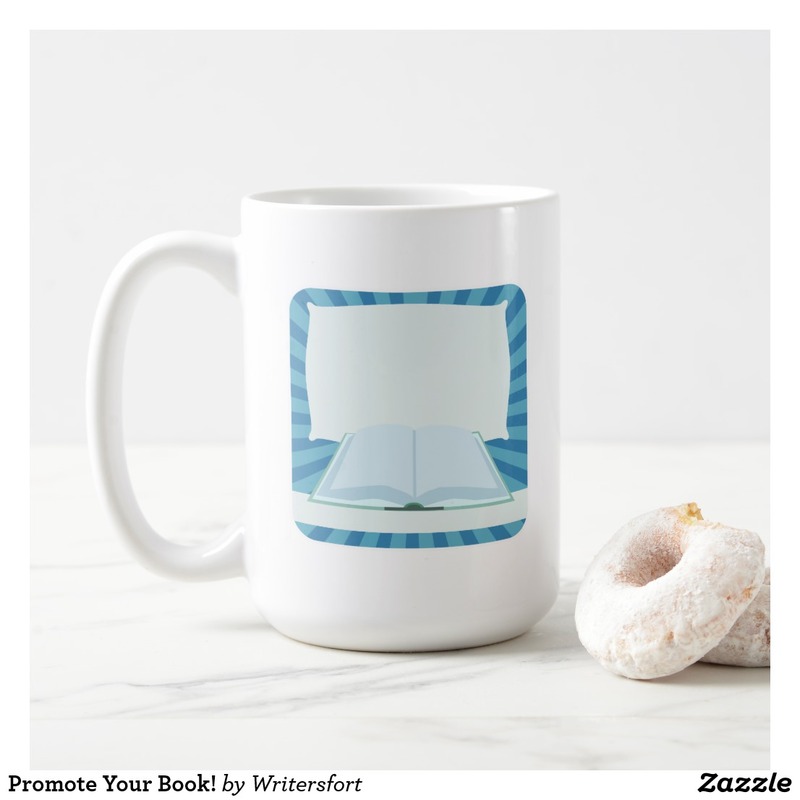 Get one for the love of books. 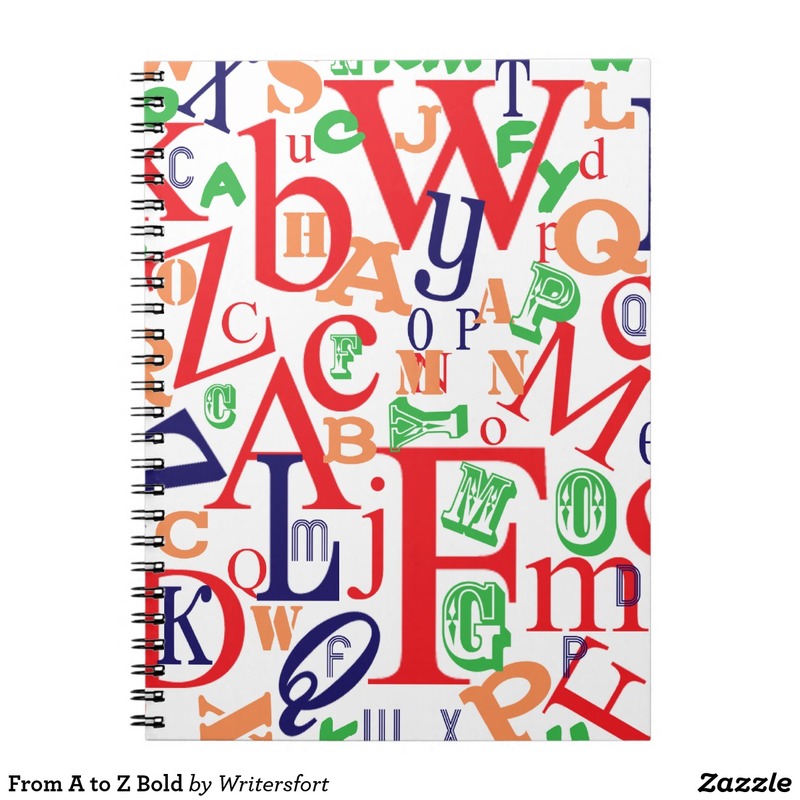 This cool illustrated A to Z design makes a great author gift or reader gift. 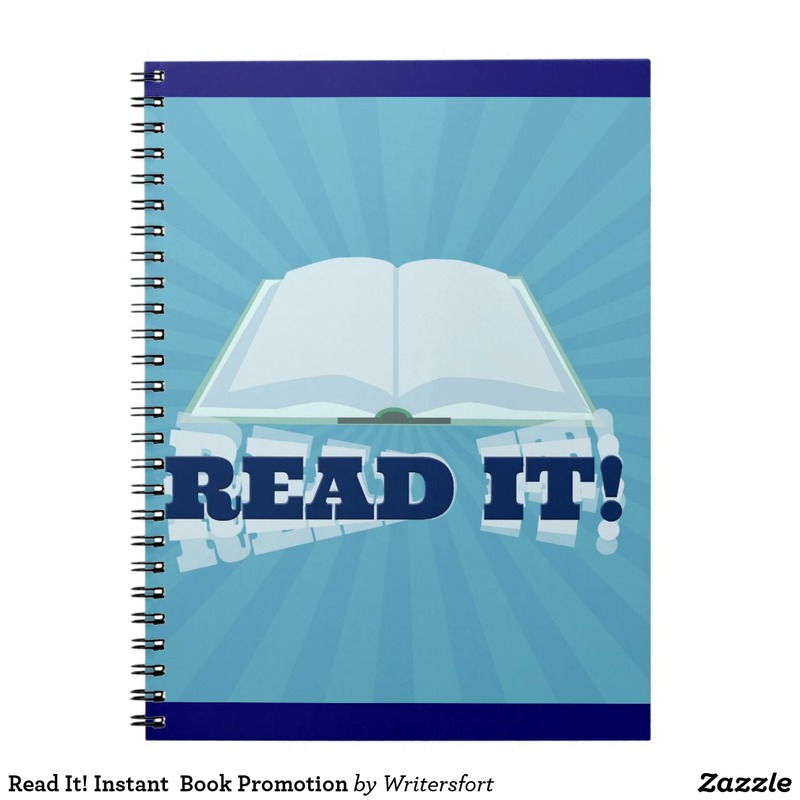 Get one for the love of books. 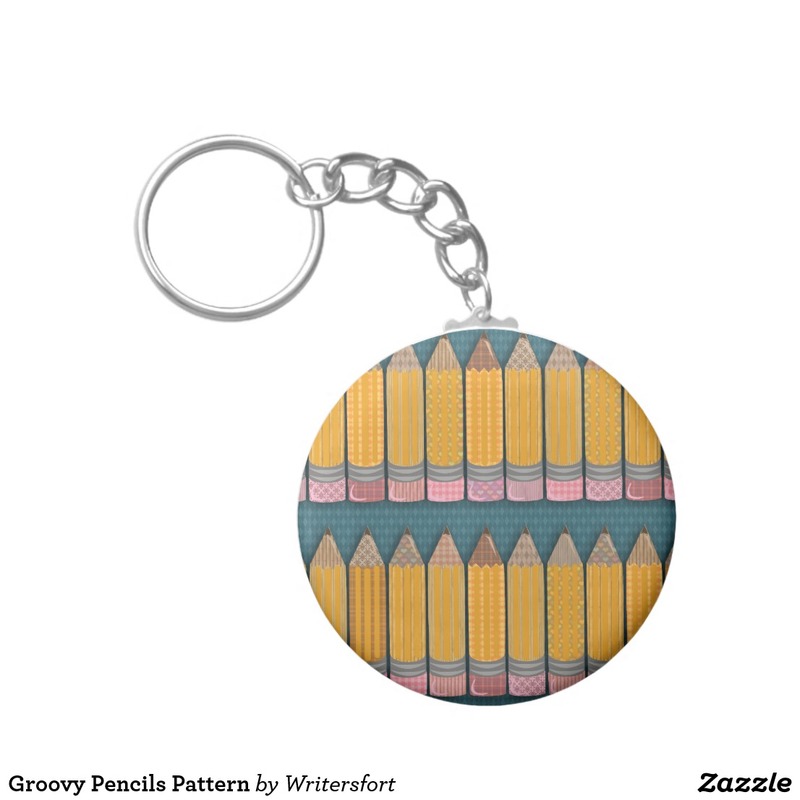 This fun pencils illustrated design makes a great author gift or reader gift. 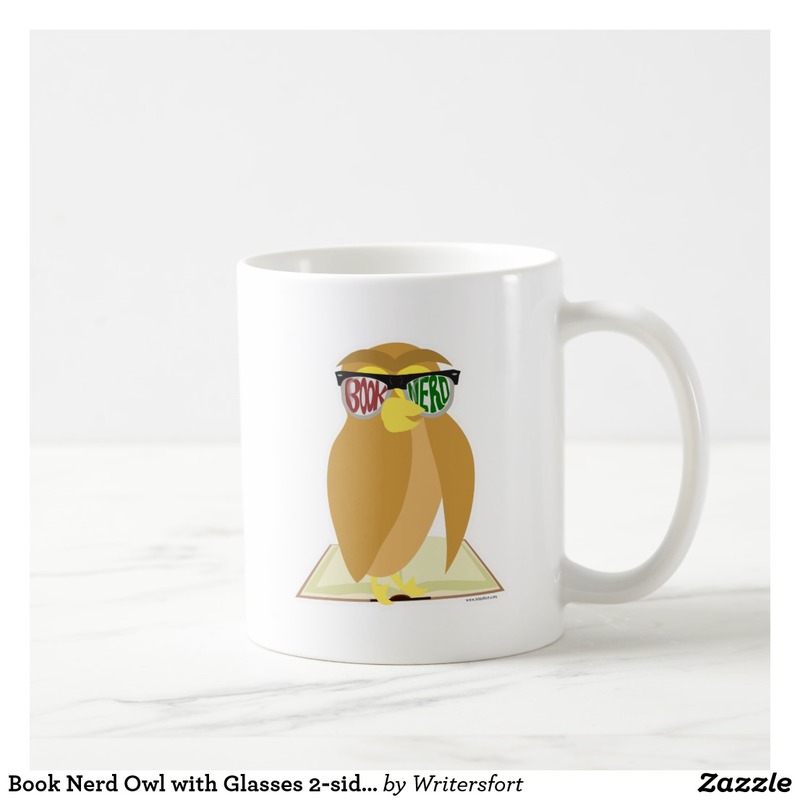 Get one for the love of books. 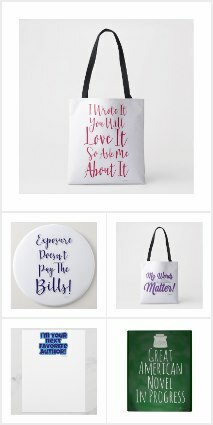 Get some fans with a cheeky writer’s promotional slogan sticker. Your book deserves the attention. 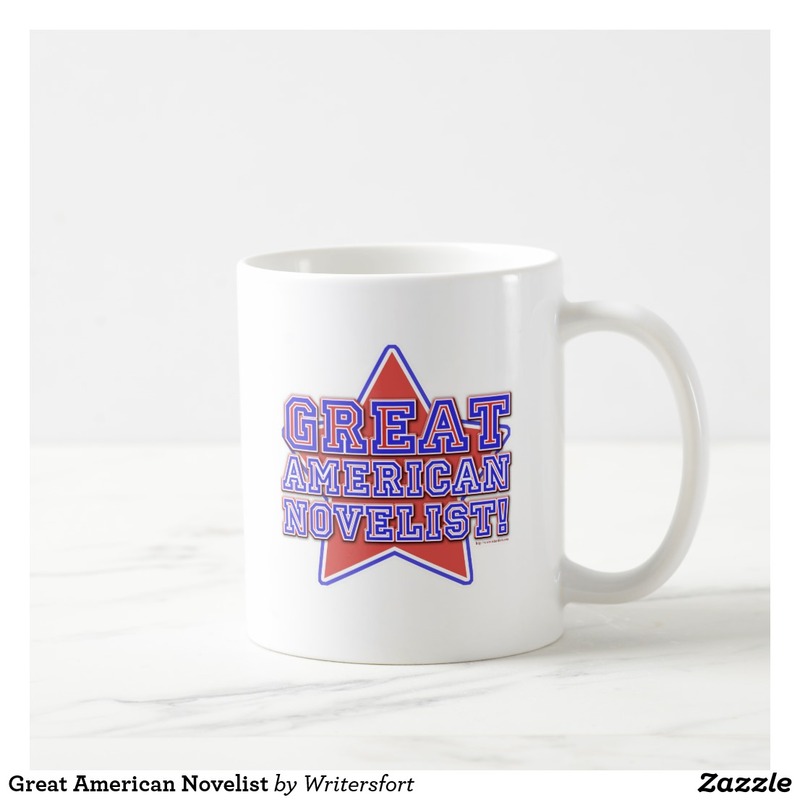 More great author gifts can be found here. 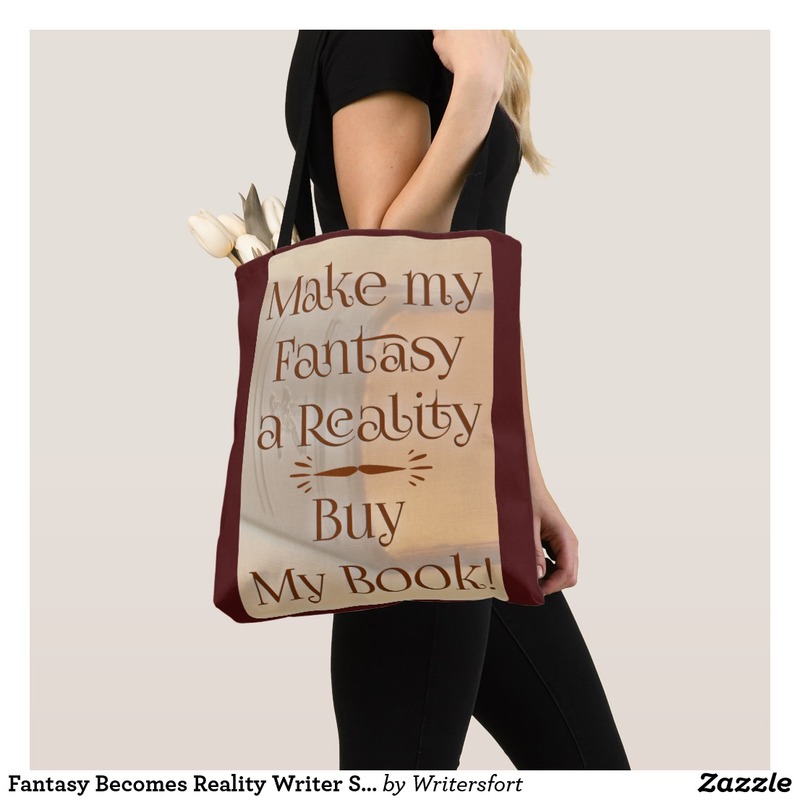 This is a great gift for fiction and non-fiction authors. 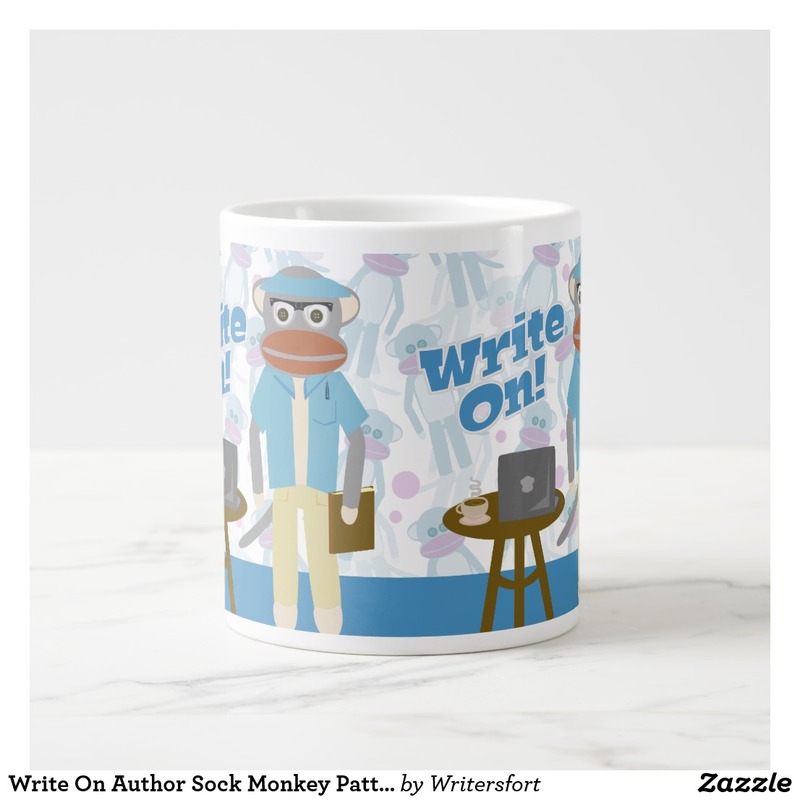 Get a writing slogan first draft mug today. 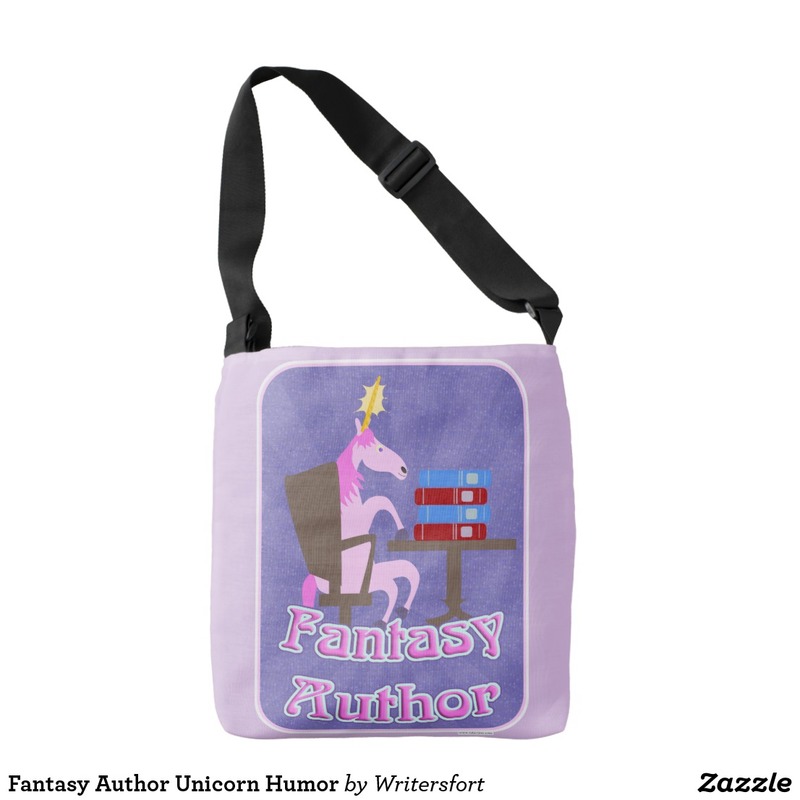 This funny fantasy author unicorn crossbody bag makes a great gift for any fantasy author. 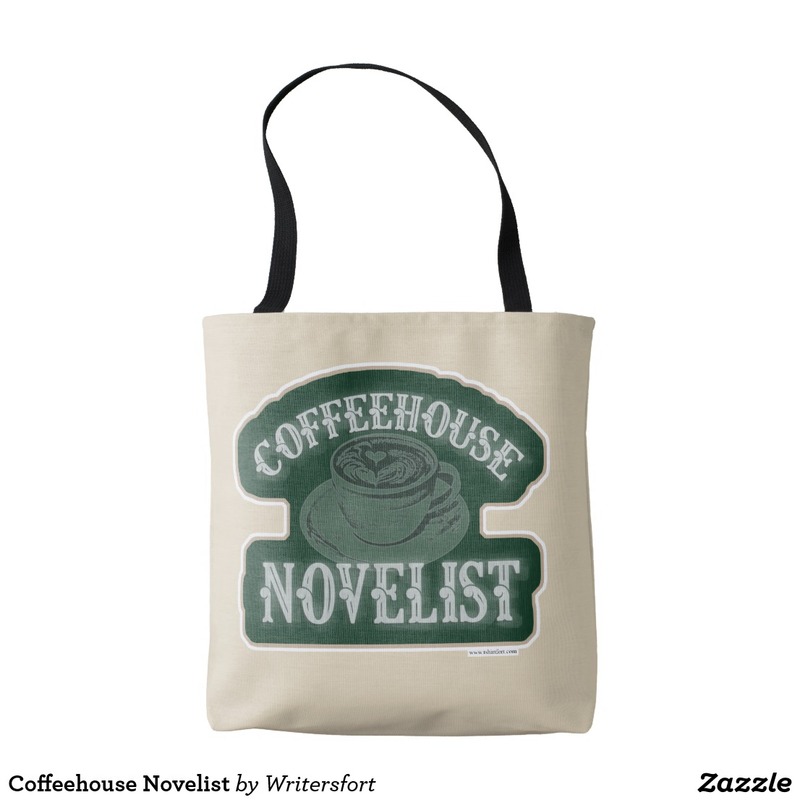 This coffeehouse novelist slogan is perfect for writers who love coffee. 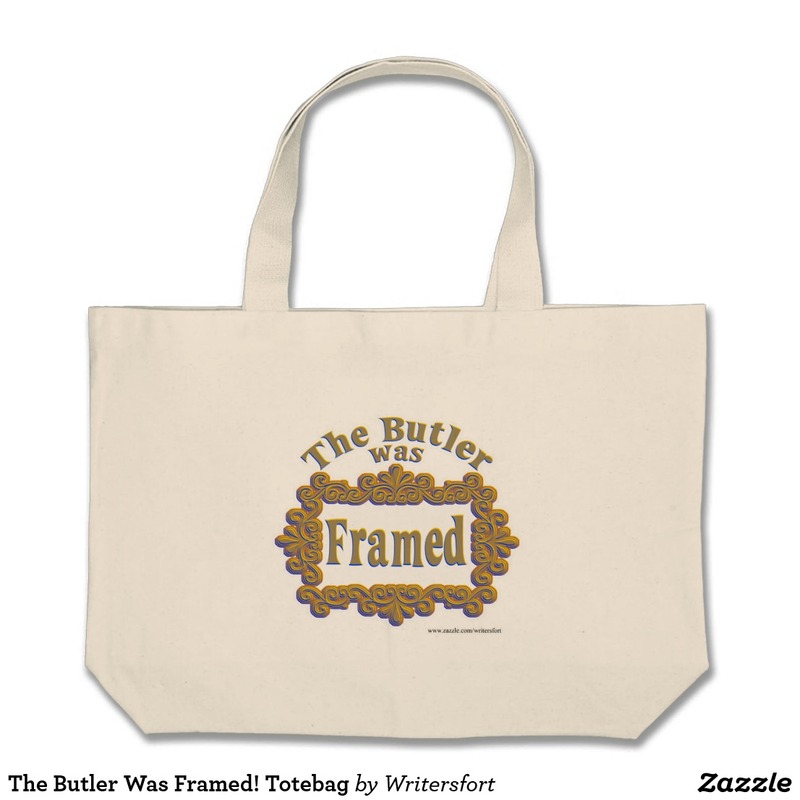 Get a tote today. This is a great gift for fiction and non-fiction authors. 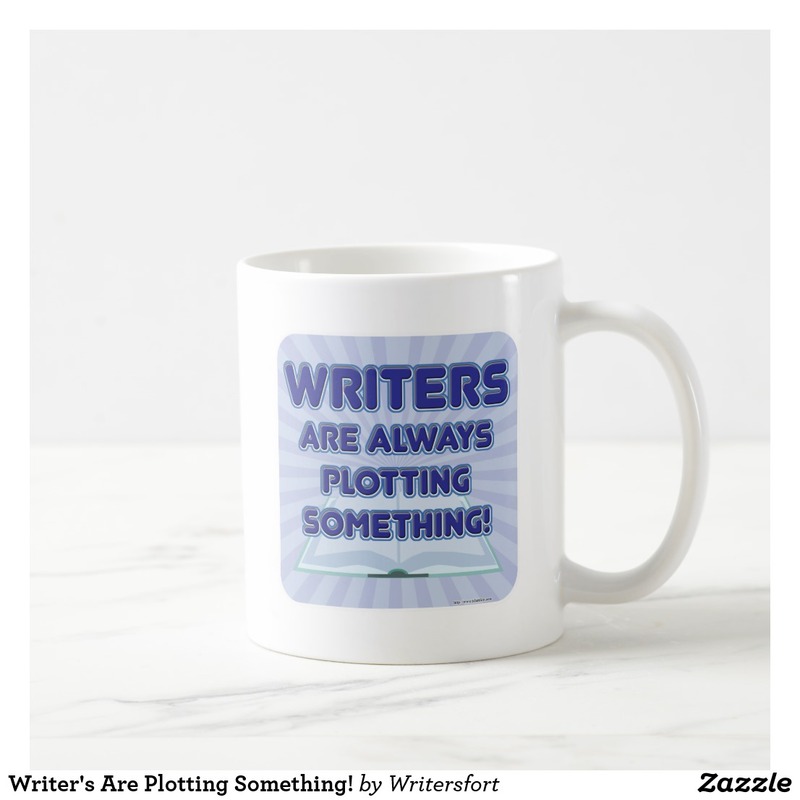 Get a writing slogan mug today. 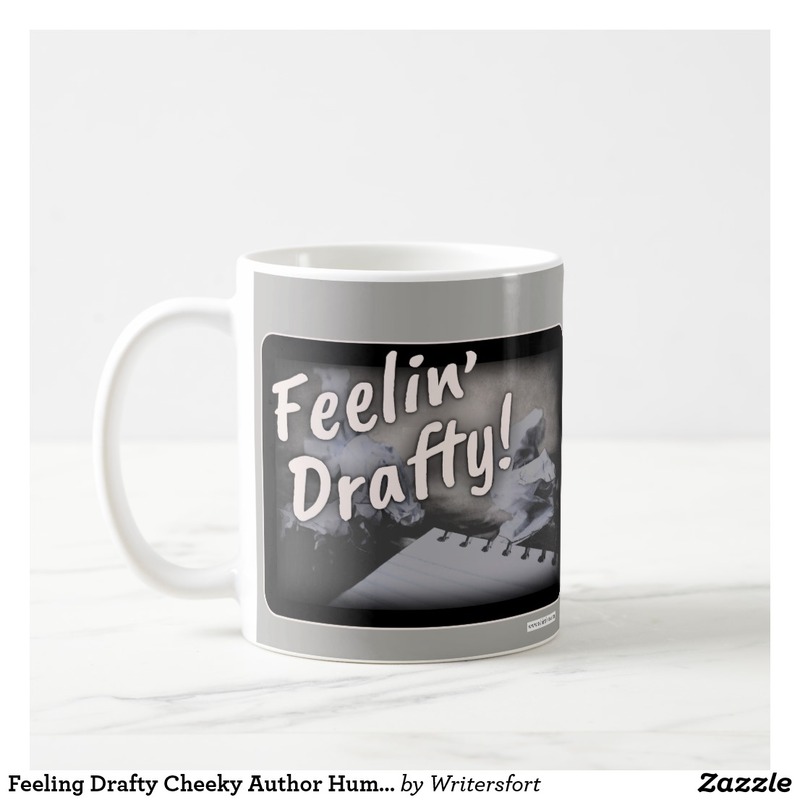 Funny rough draft mug for authors who love coffee. 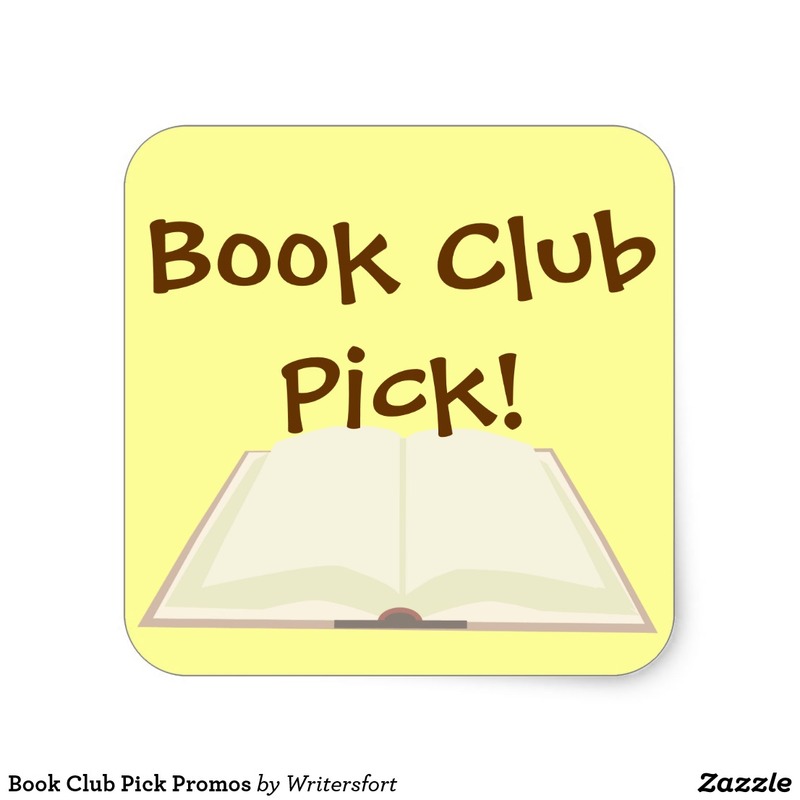 Book Club Pick! 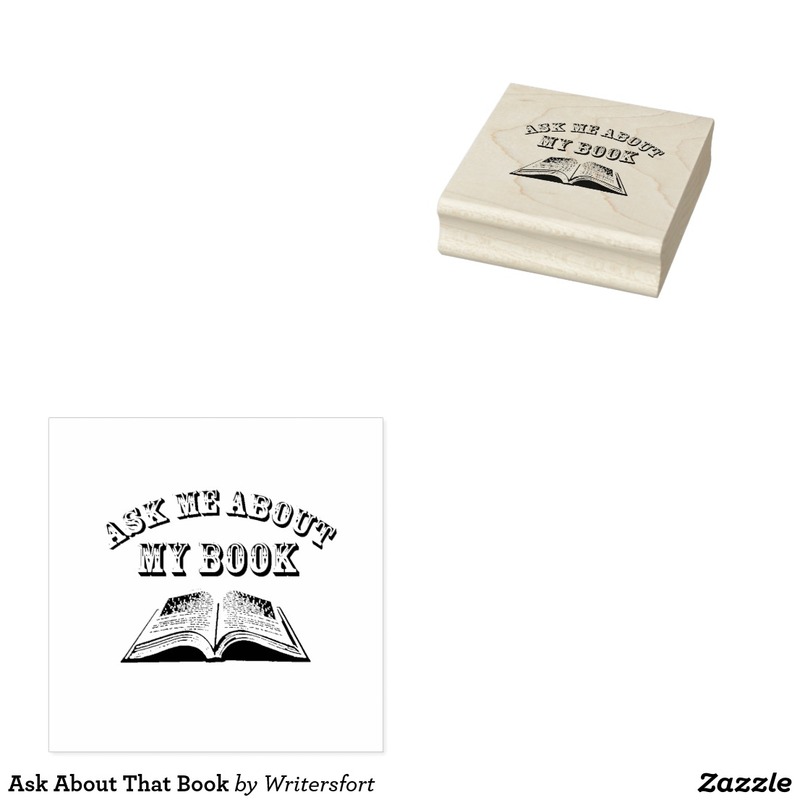 Sell more books with these customizable book stickers. 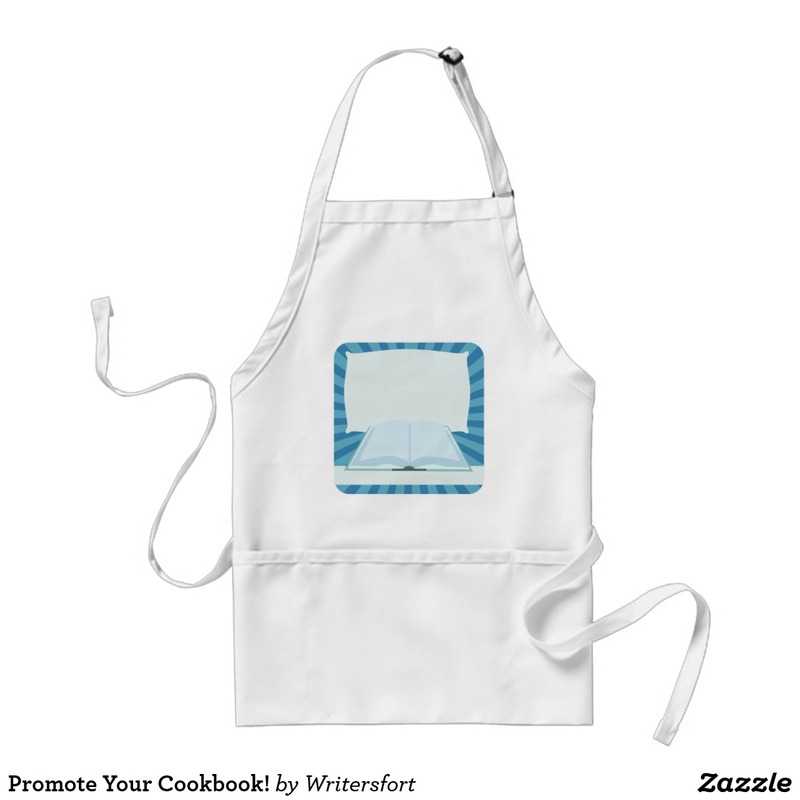 They are great for promotions and sales. 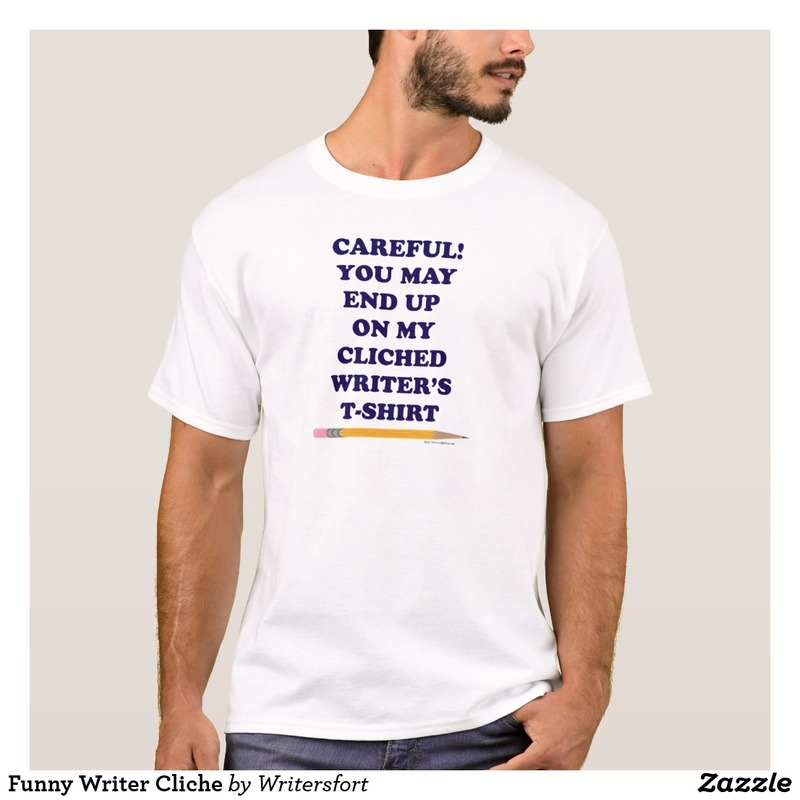 A cool and funny author slogan tee. Just call me Paige Turner. 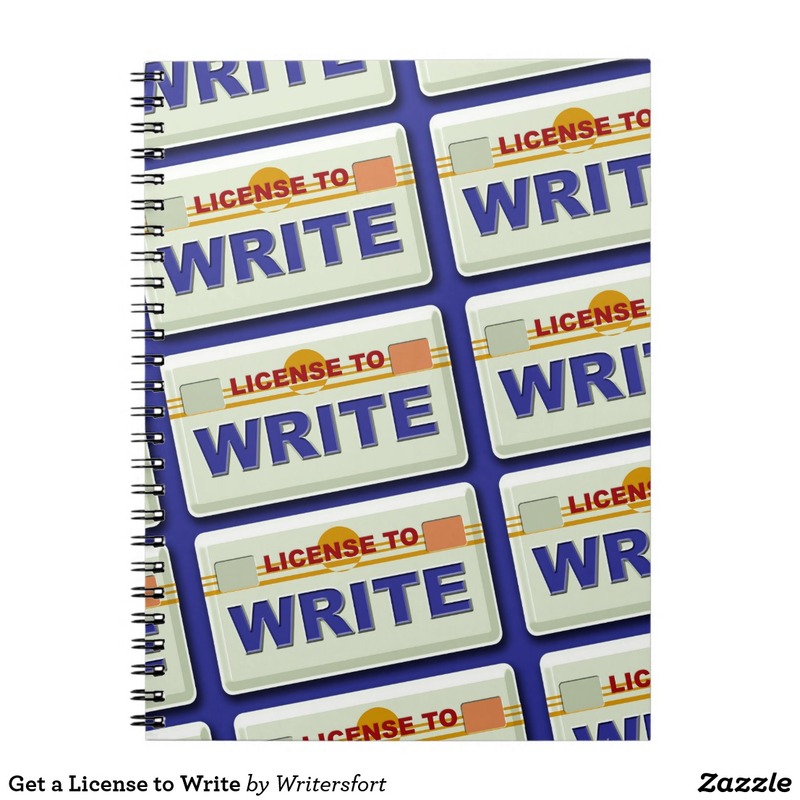 Get a classic author gift today. 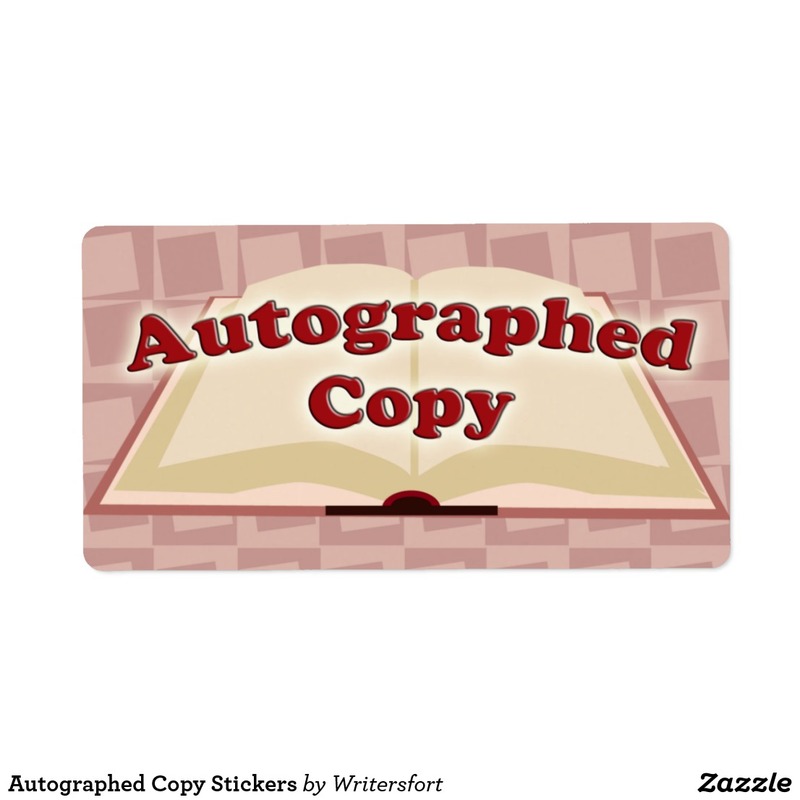 Sell more books with these customizable autographed copy book stickers. 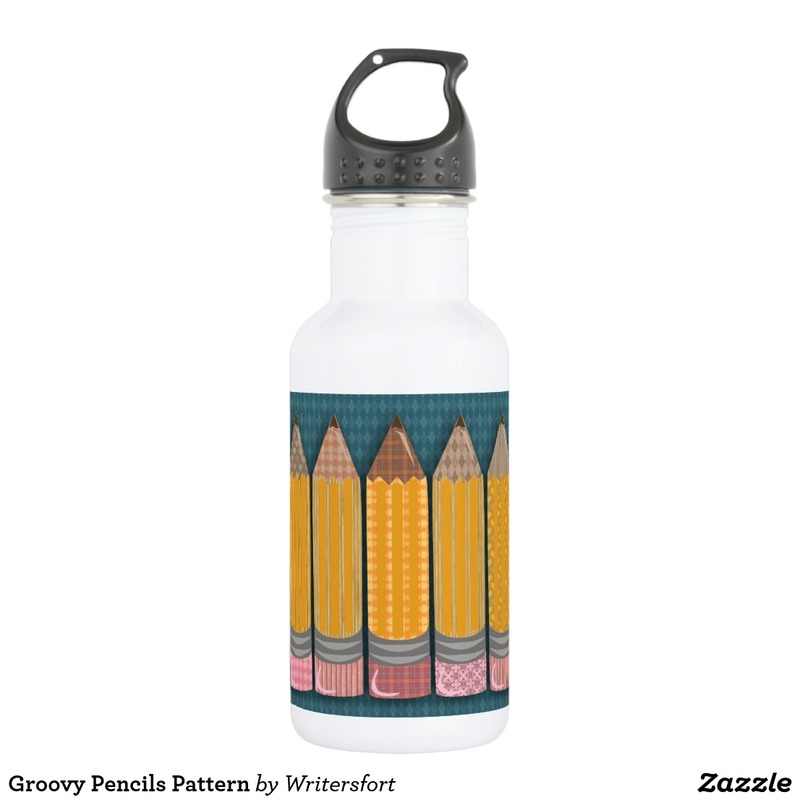 They are great for promotions and sales. Add Your Information. 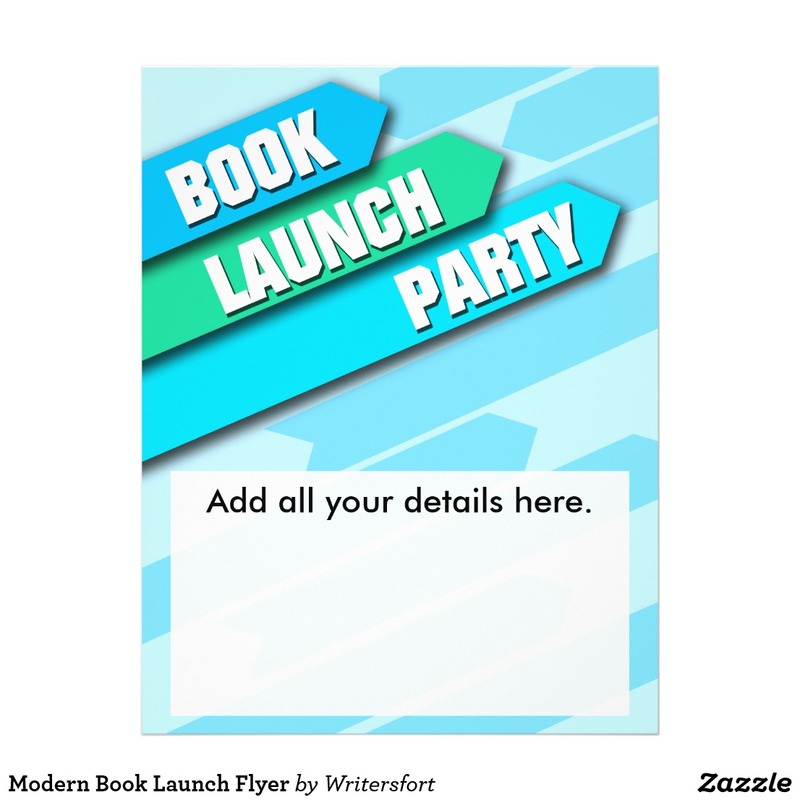 Sell more books with these customizable book launch party flyers. The perfect mug for hopeful authors who love coffee. 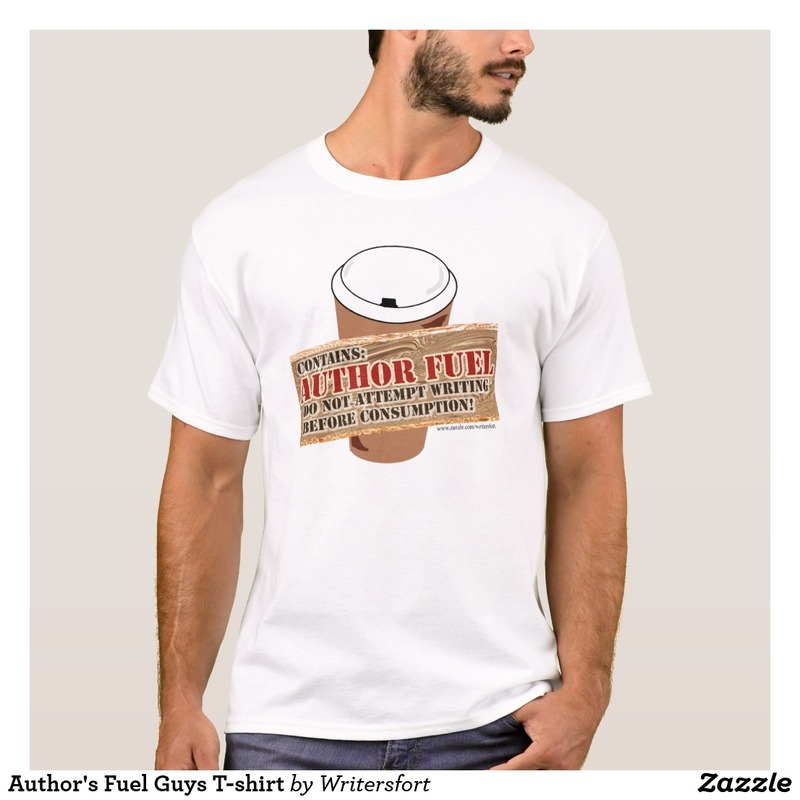 The perfect tee for authors who love coffee. 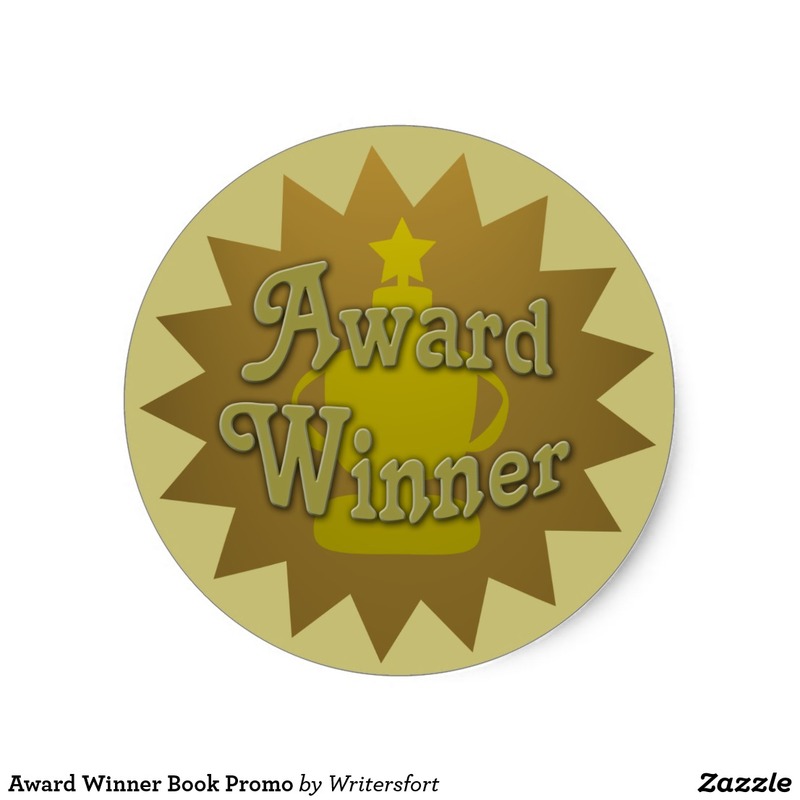 Award winner sticker for those special books. 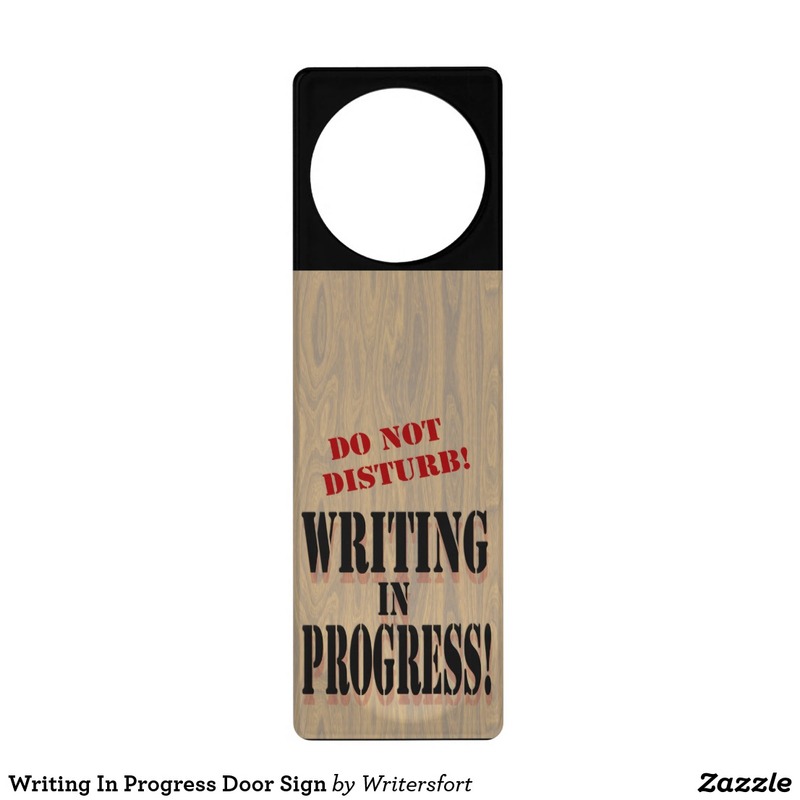 A Do Not Disturb door hanger just for busy writers. 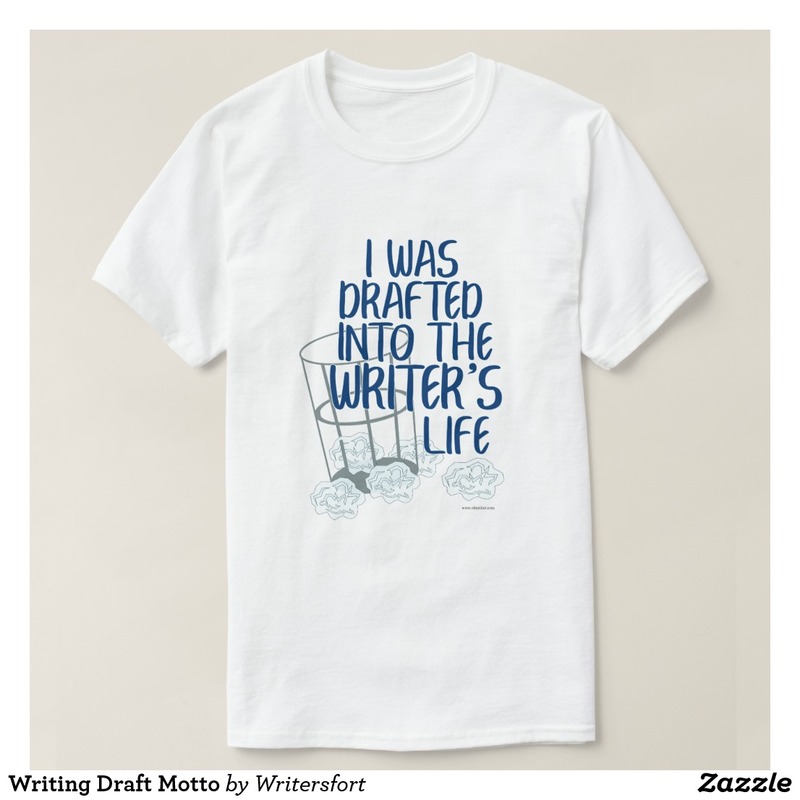 A funny drafted into the writing life slogan t-shirt. 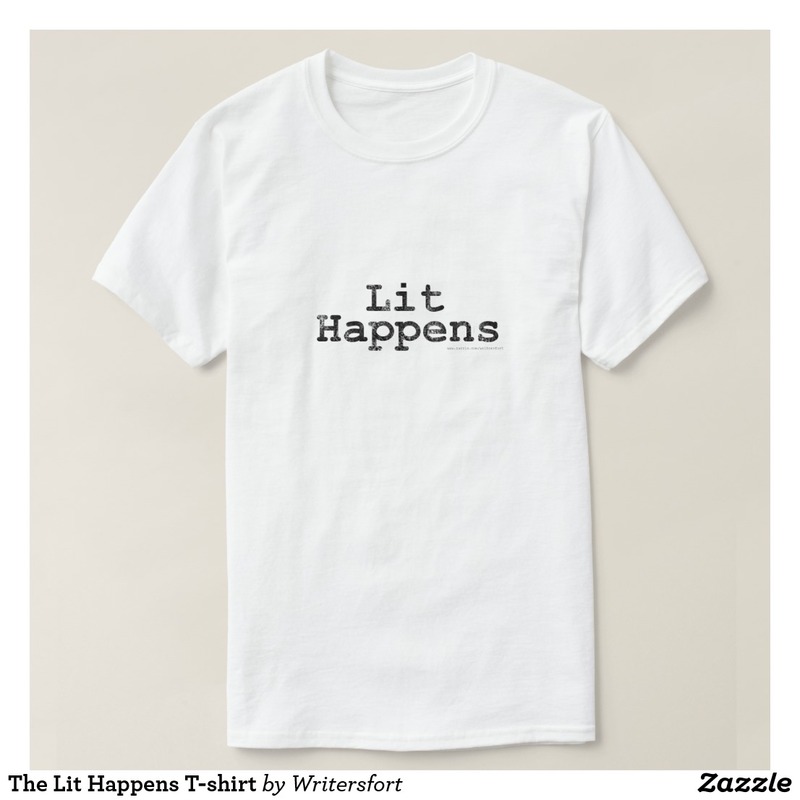 Lit Happens! 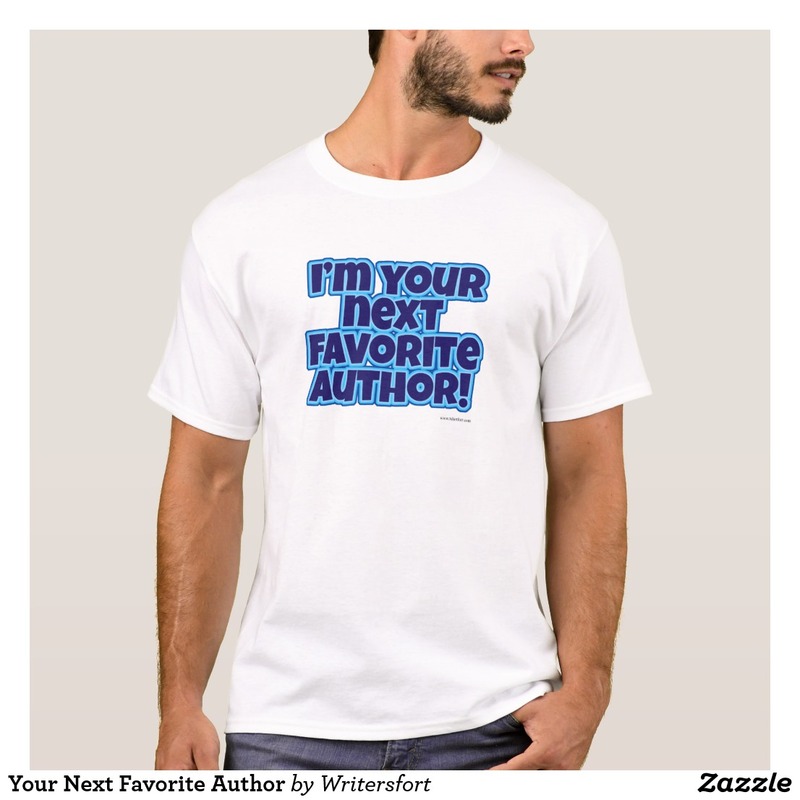 This funny author slogan item is a totally unique gift for any author. 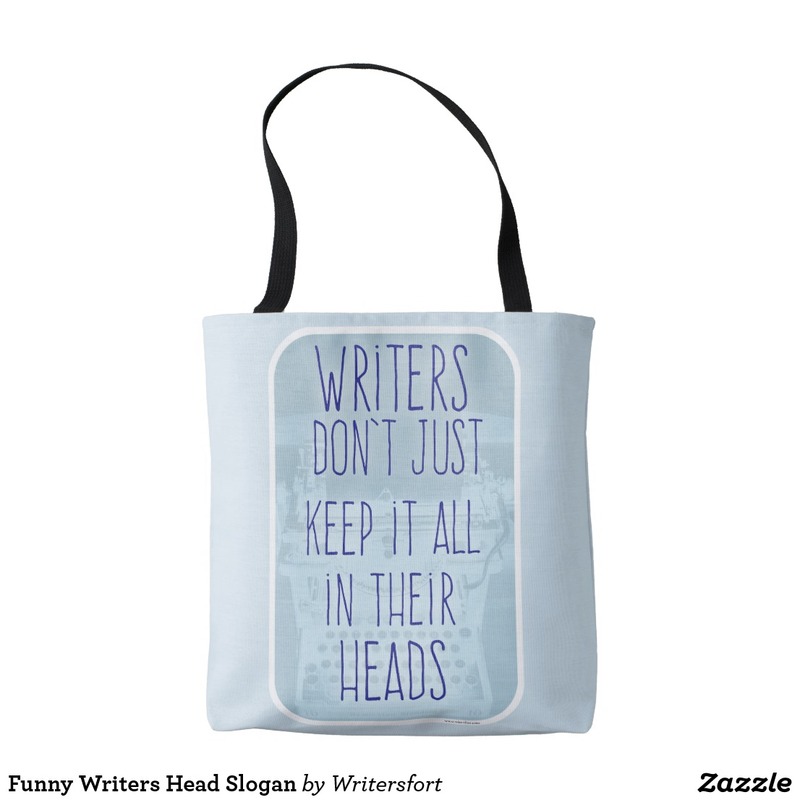 Get a comic writer motto gift today. 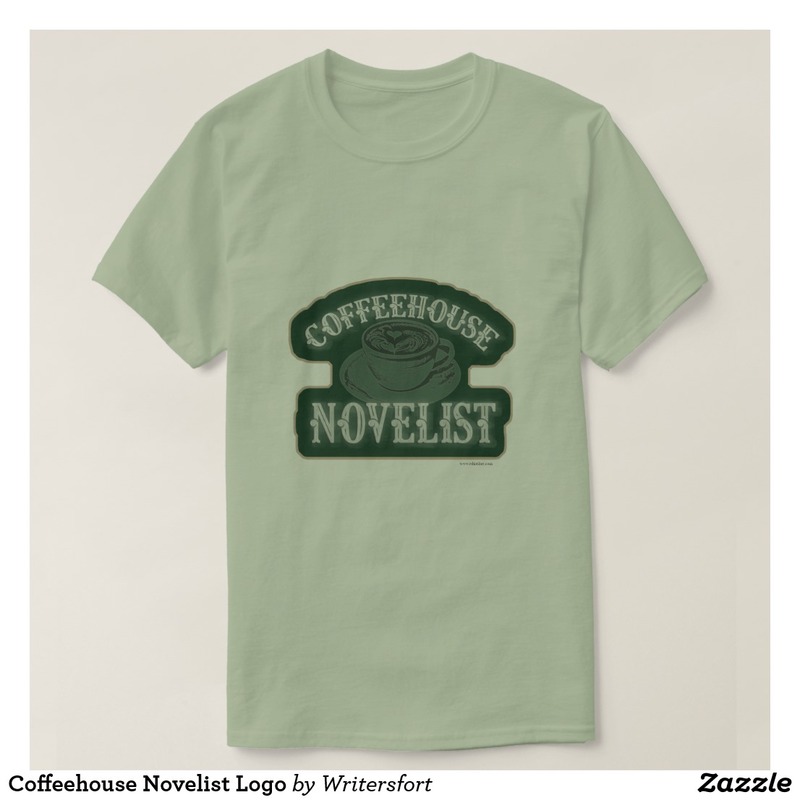 Coffeehouse Novelist epic slogan tee. 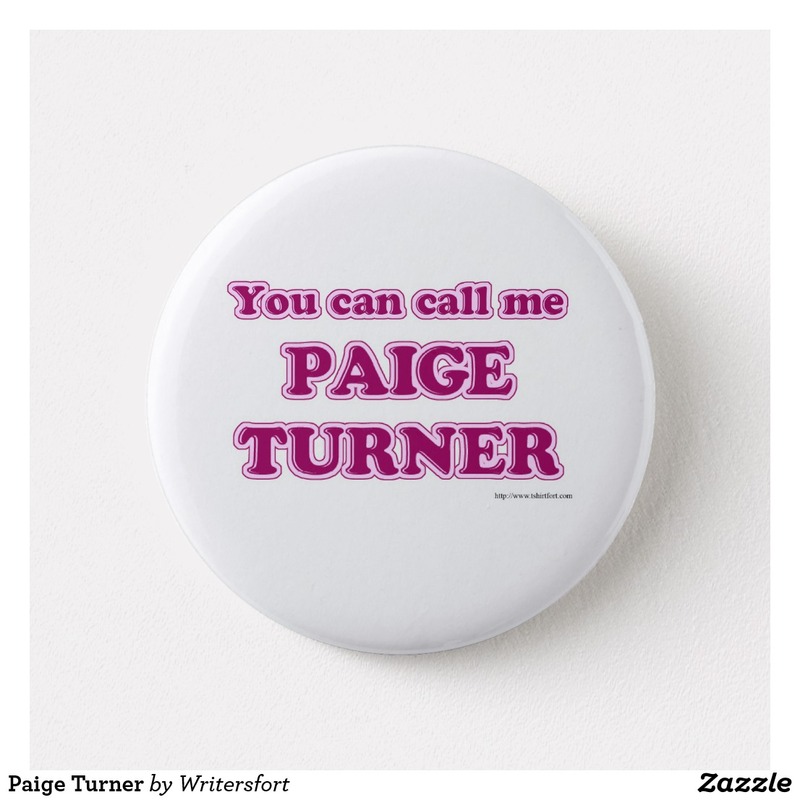 This button is for Paige Turner. 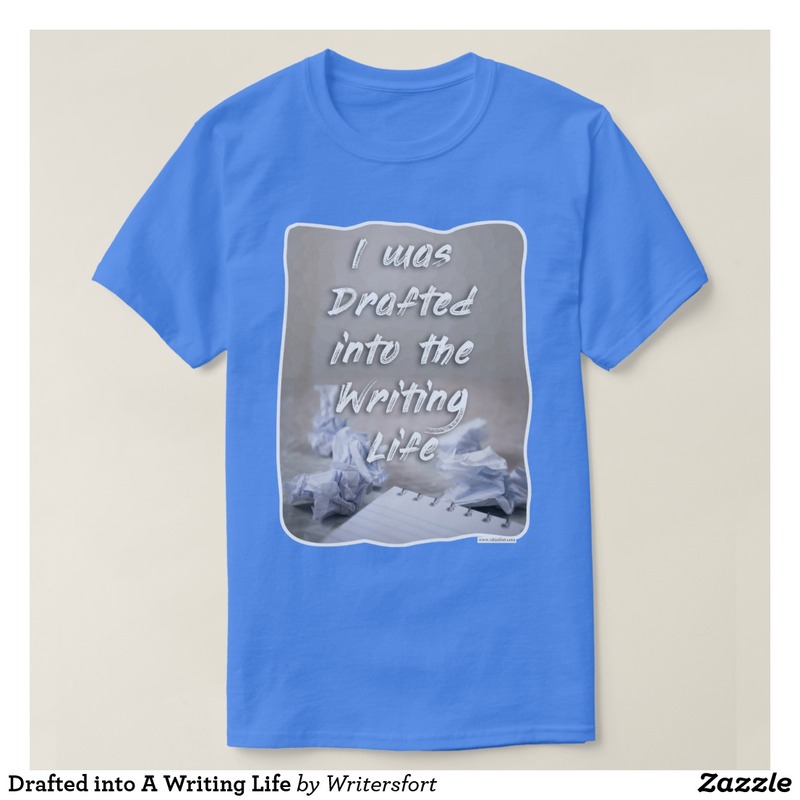 This is a great gift for fiction and non-fiction authors. 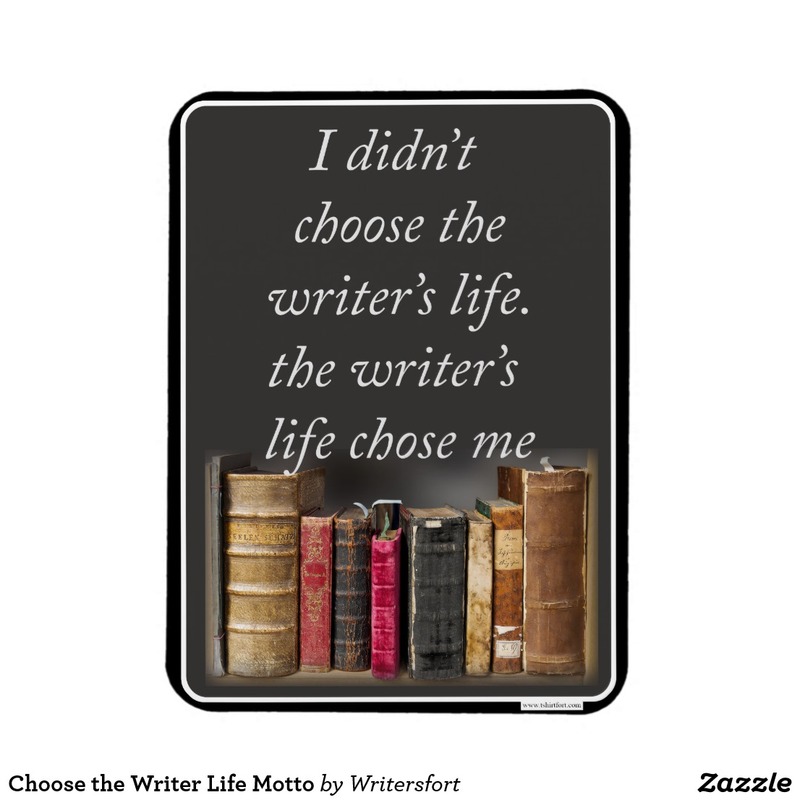 Get a writing slogan magnet or gift today. 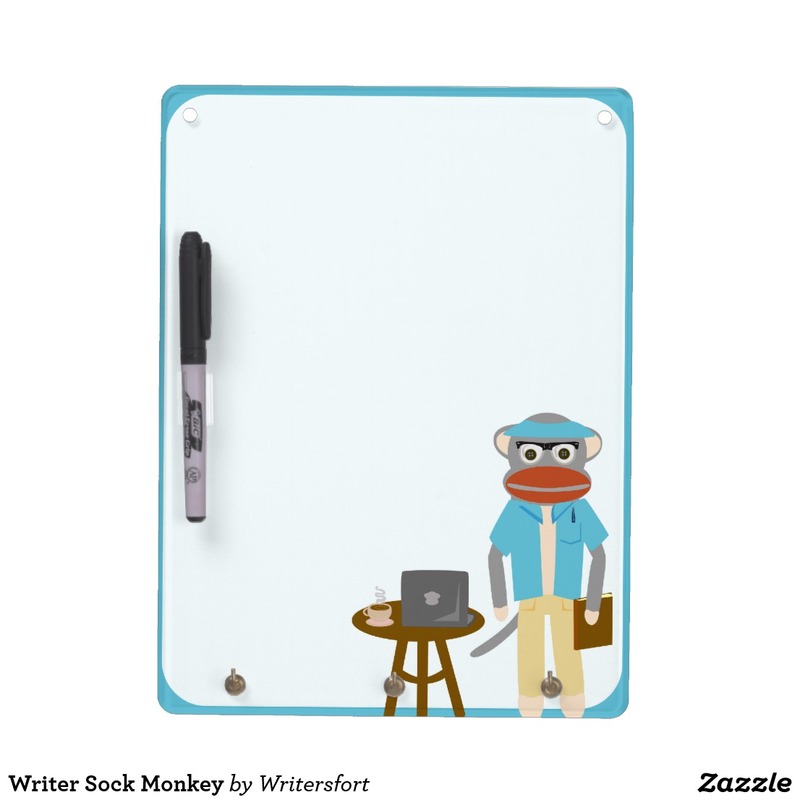 A cute sock monkey Ipad tablet sleeve for authors. 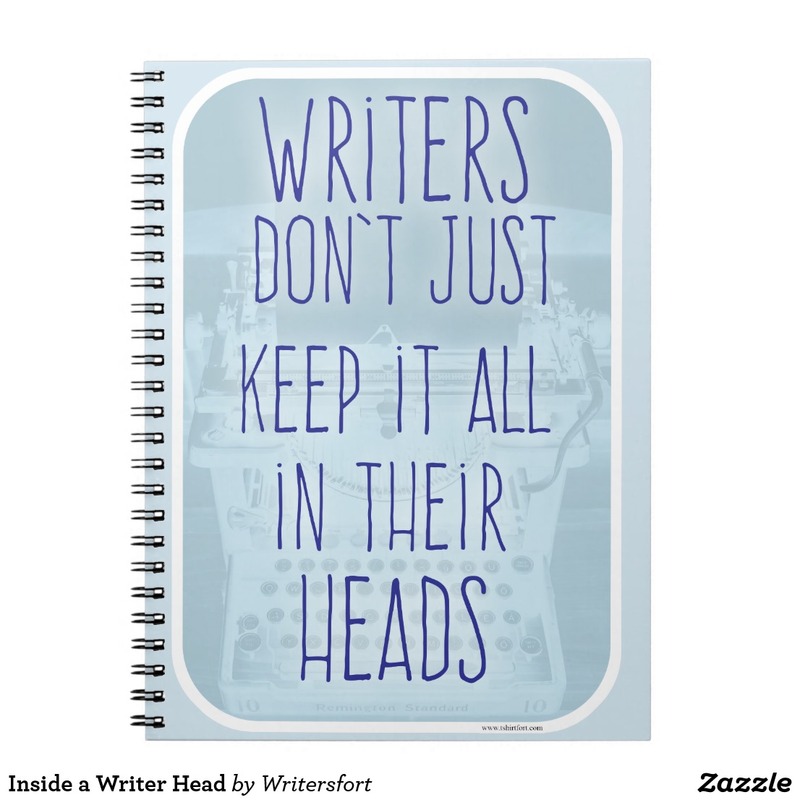 Get some fans with a cheeky writer’s promotional slogan notebook. Your book deserves the attention. 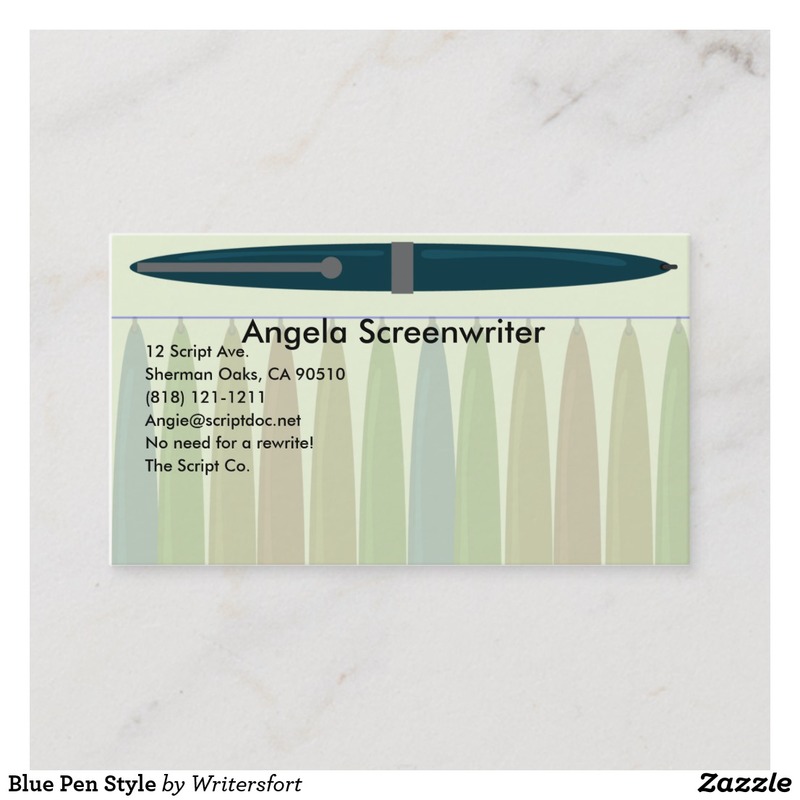 Get the word out about your book with this eye-catching customizable author business card. 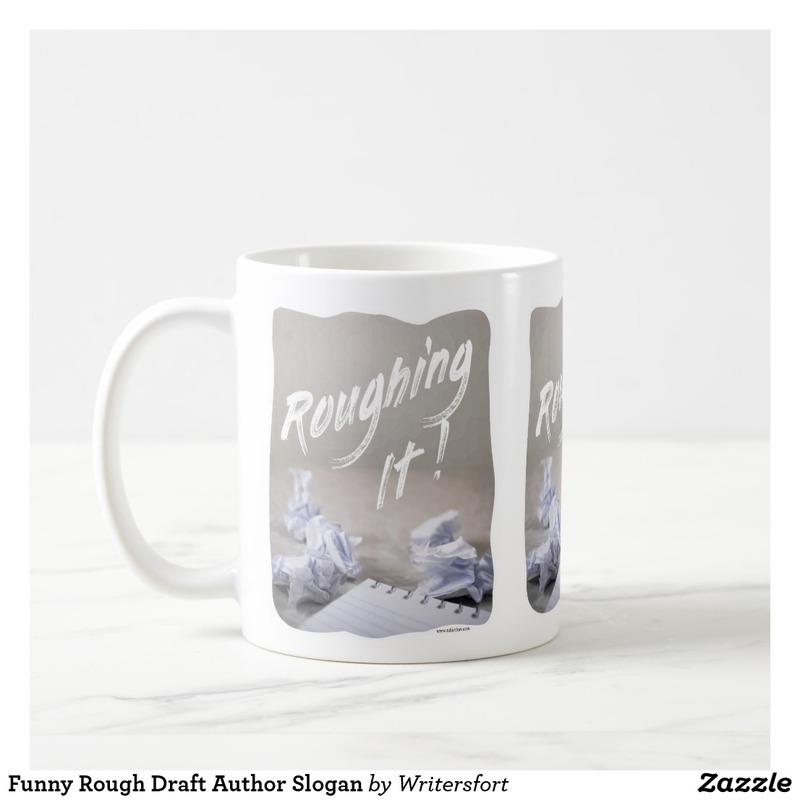 This fun and funny motivational writing process motto design mug is a perfect gift for any author. 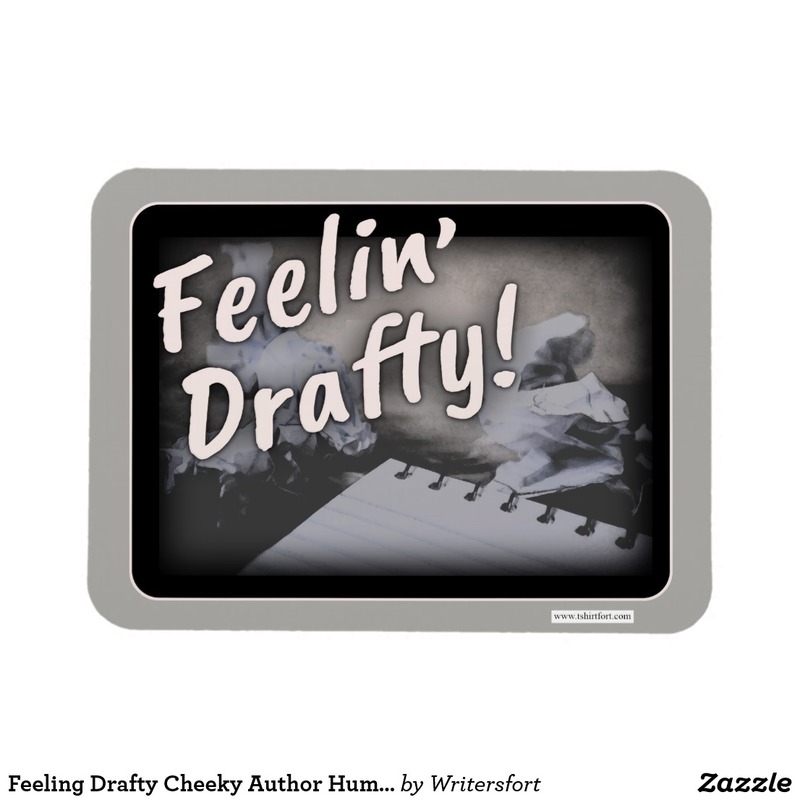 Keeping busy with your writing? 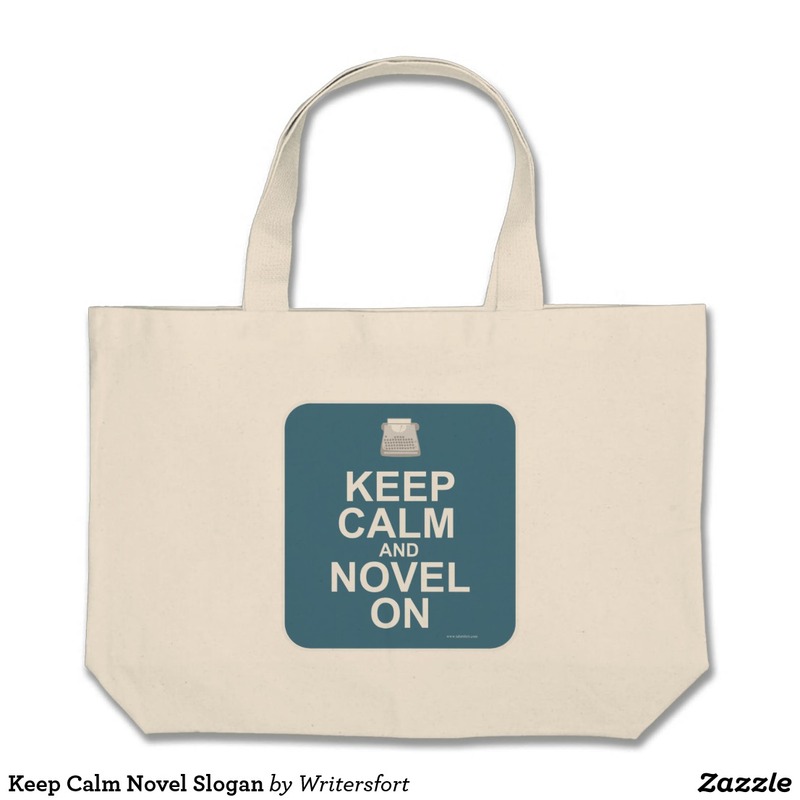 This funny keep calm motivational writing process slogan design is a perfect gift for any author. 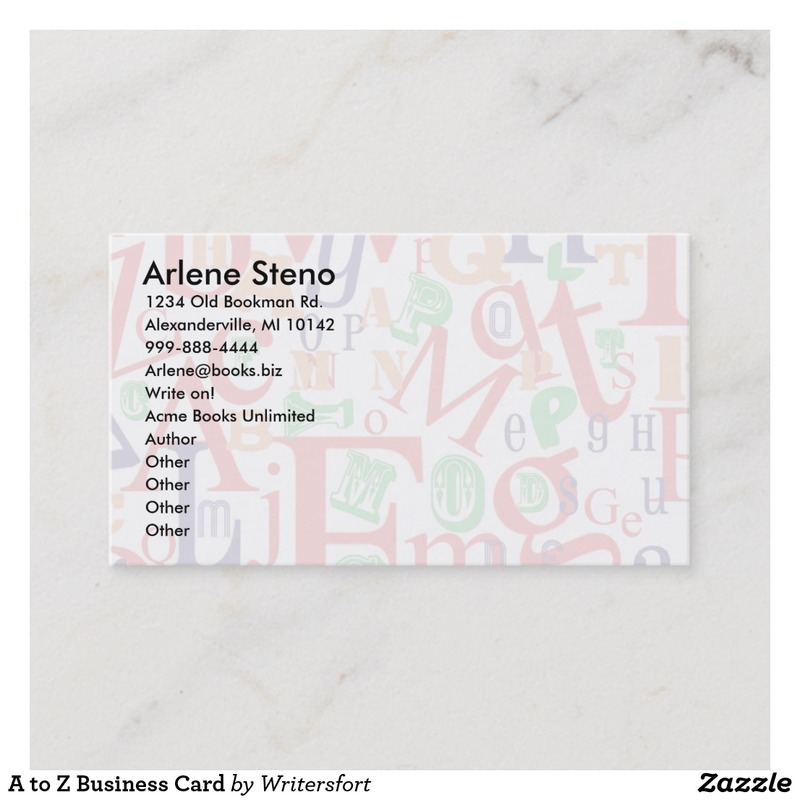 Get the word out about your book with this eye-catching customizable writers design. 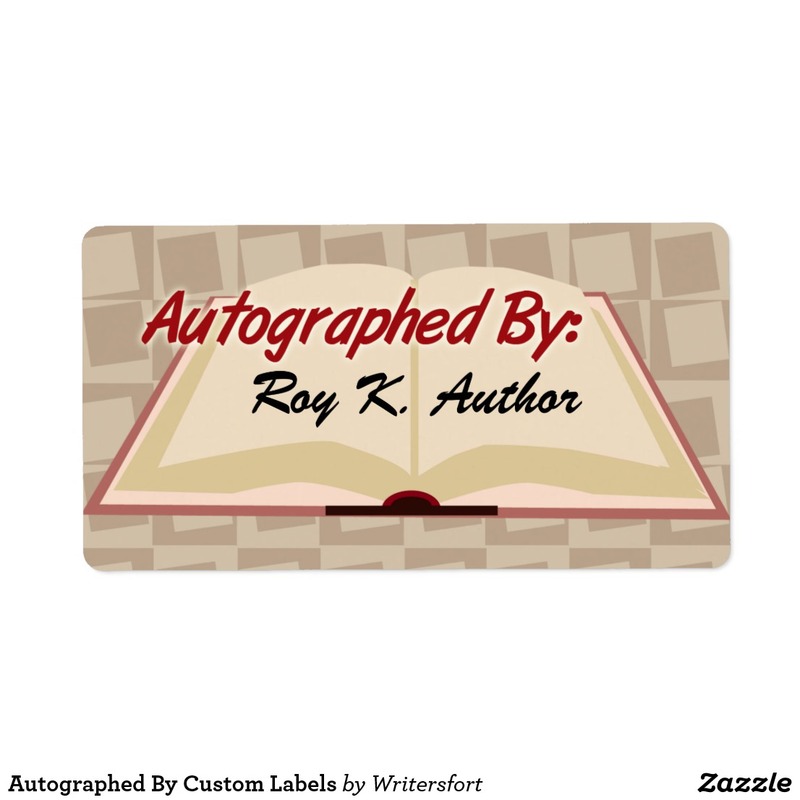 Add your book name. 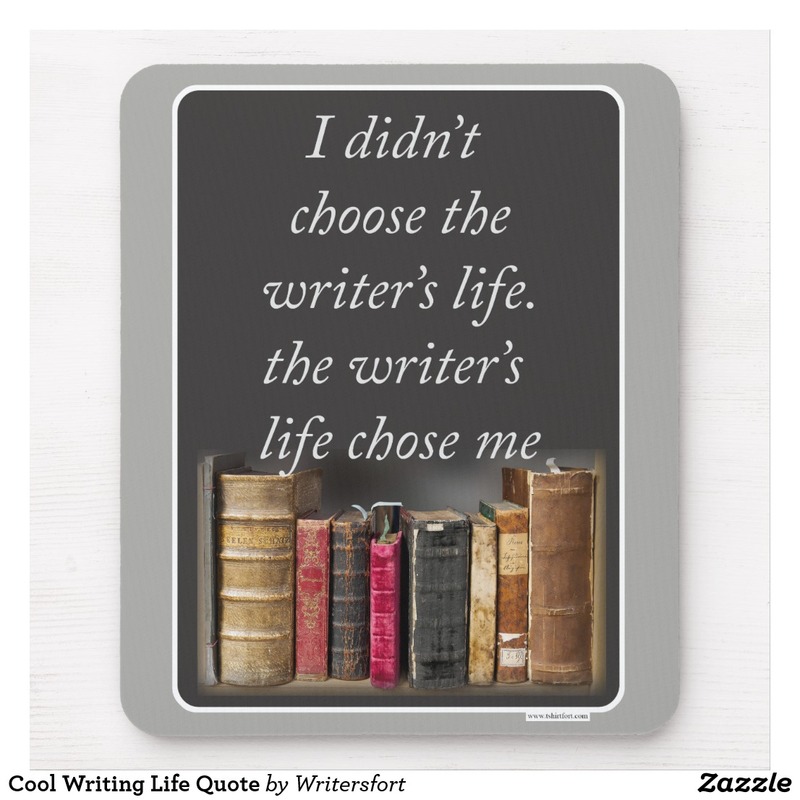 Keeping busy with your writing? 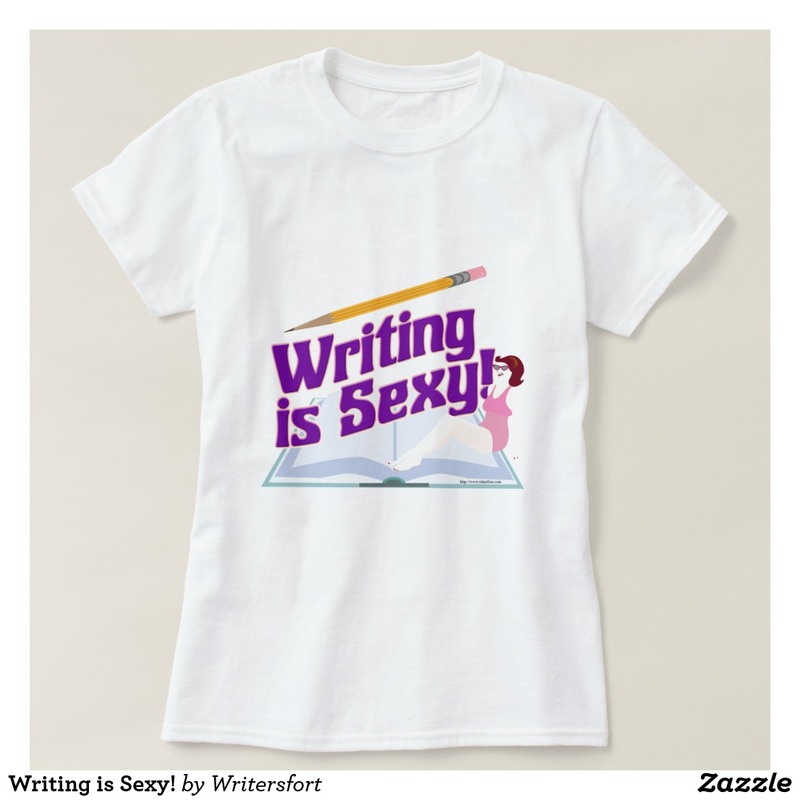 This funny iwrite motivational writing process slogan design is a perfect gift for any author. 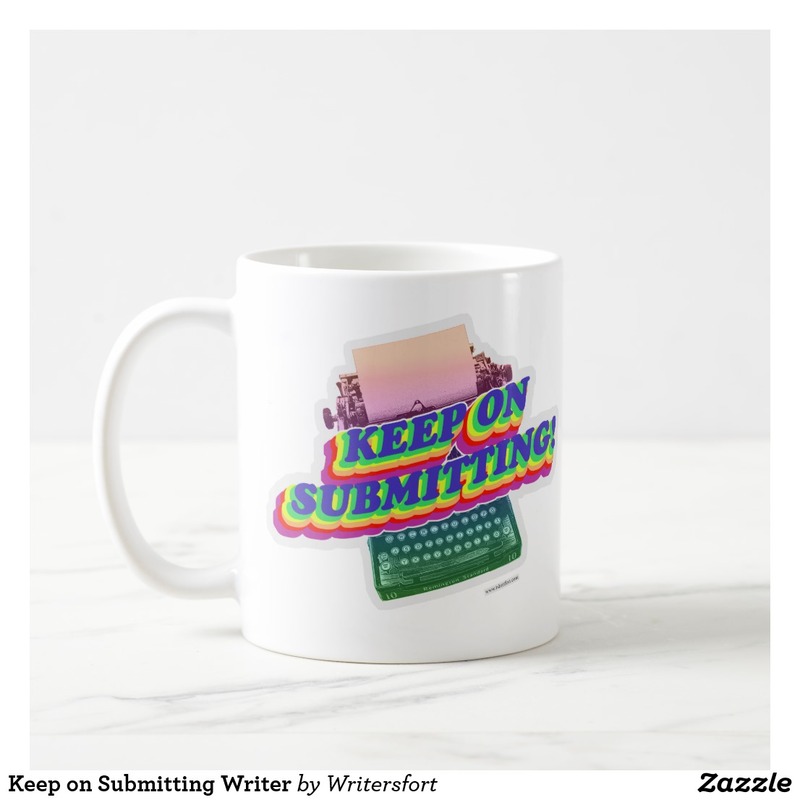 This fun and funny motivational writing process motto mug design is a perfect gift for any author. 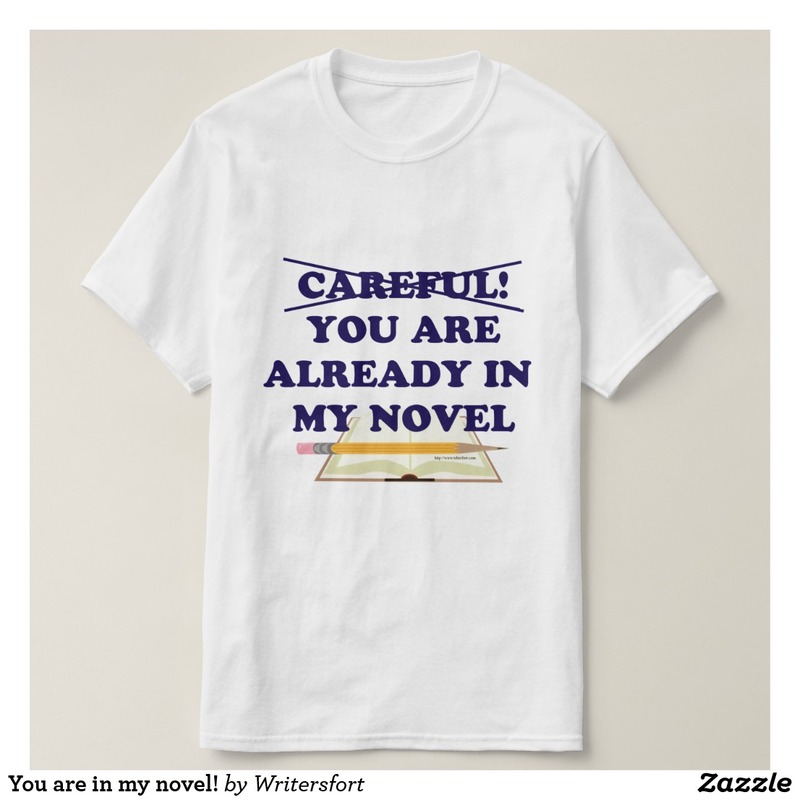 This funny author slogan item is a totally unique gift for any author. 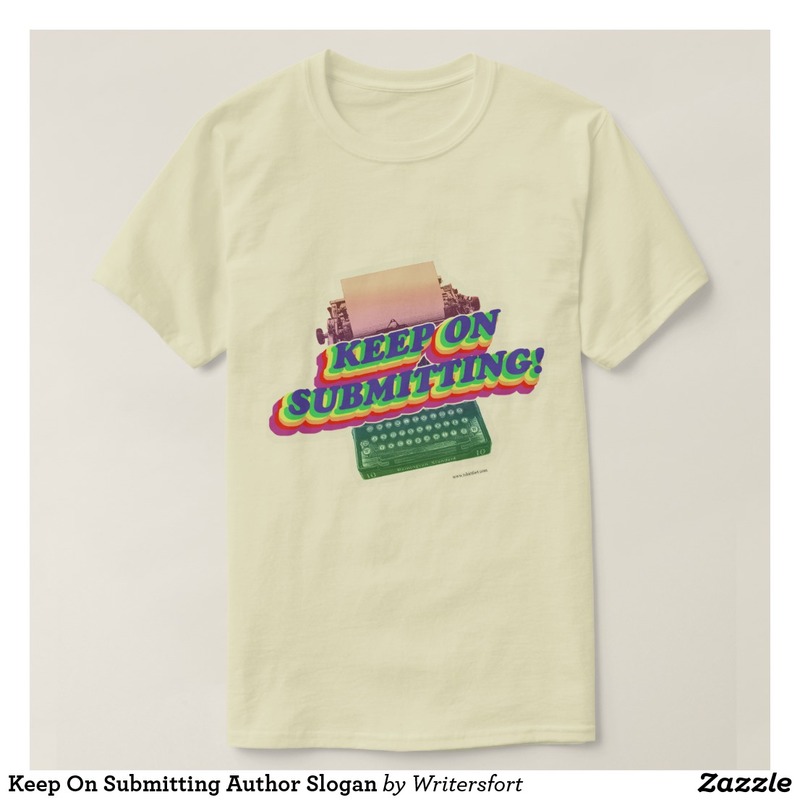 Get a comic literati writer motto gift today. 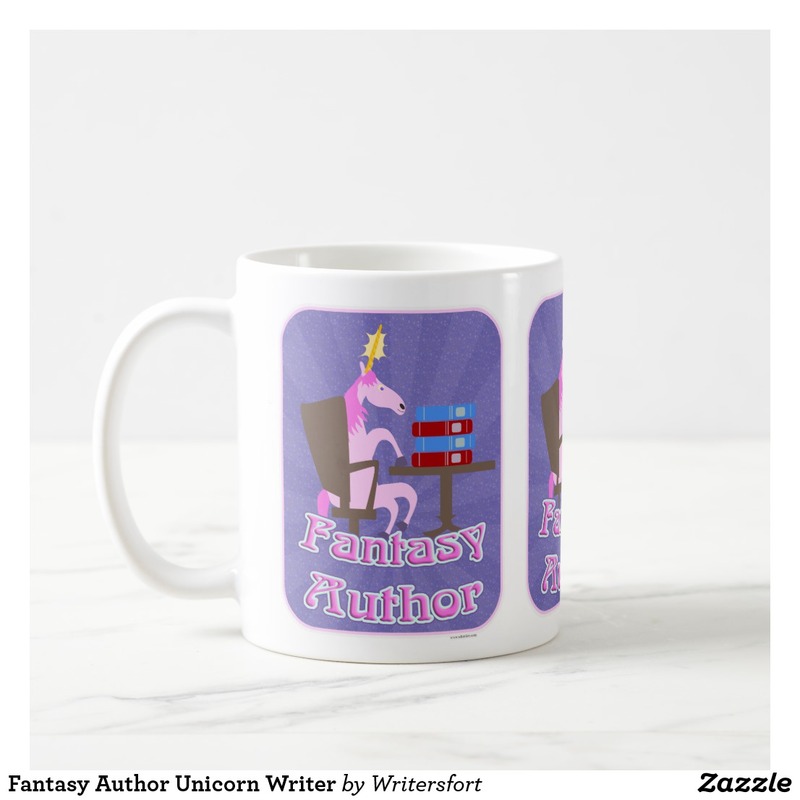 This funny fantasy author unicorn makes a great gift for any fantasy author. Do you really have a solid beginning middle and end? Are all those loose ends really wrapped up? Get a writers slogan design today. 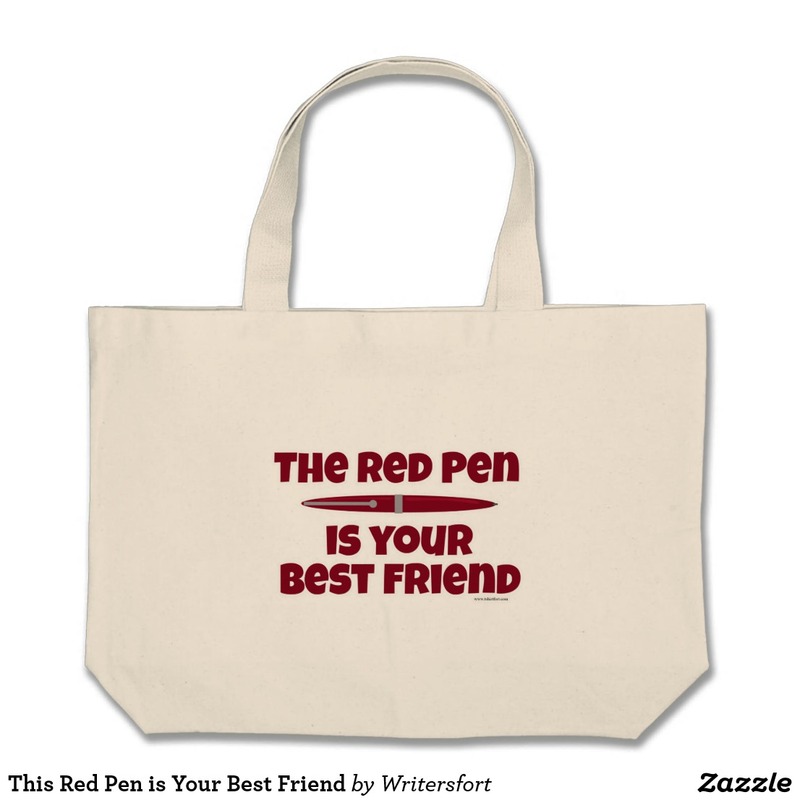 A cool and funny author slogan gift. Just call me Paige Turner. 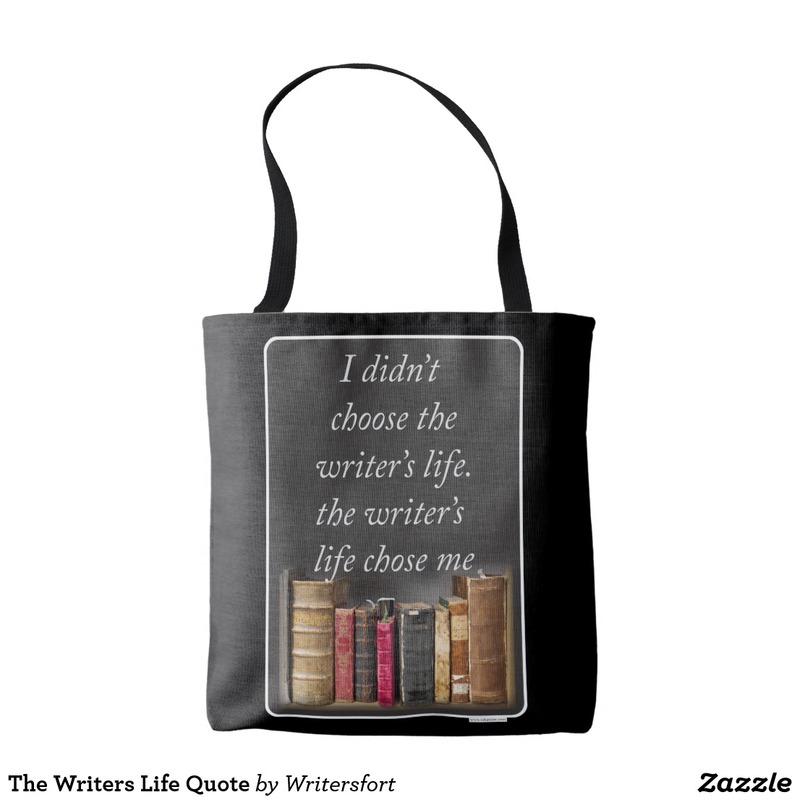 Get a classic author gift today. 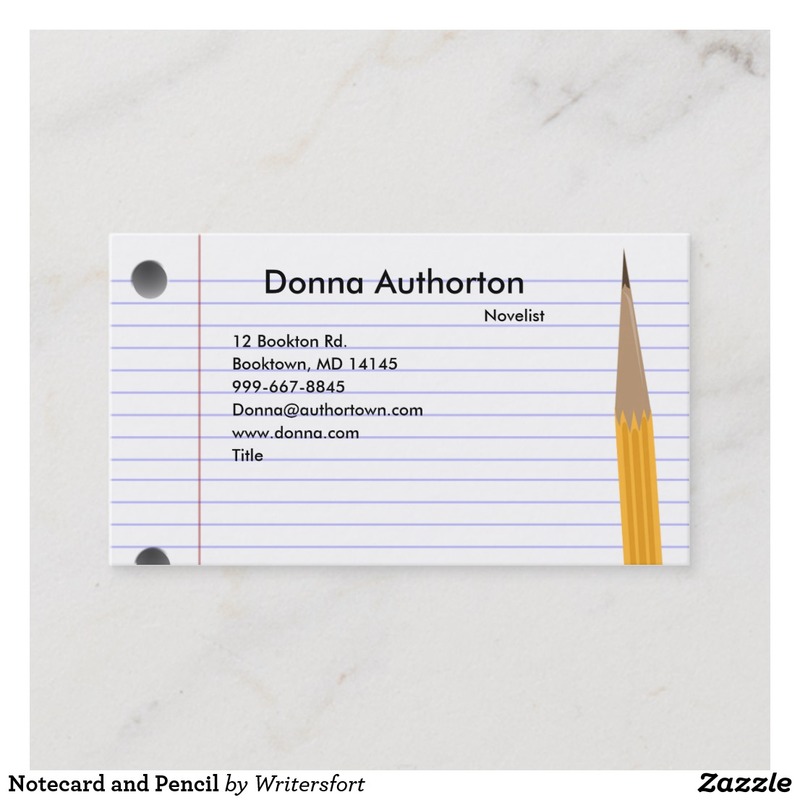 Get the word out about your book with this eye-catching customizable writers stationery. 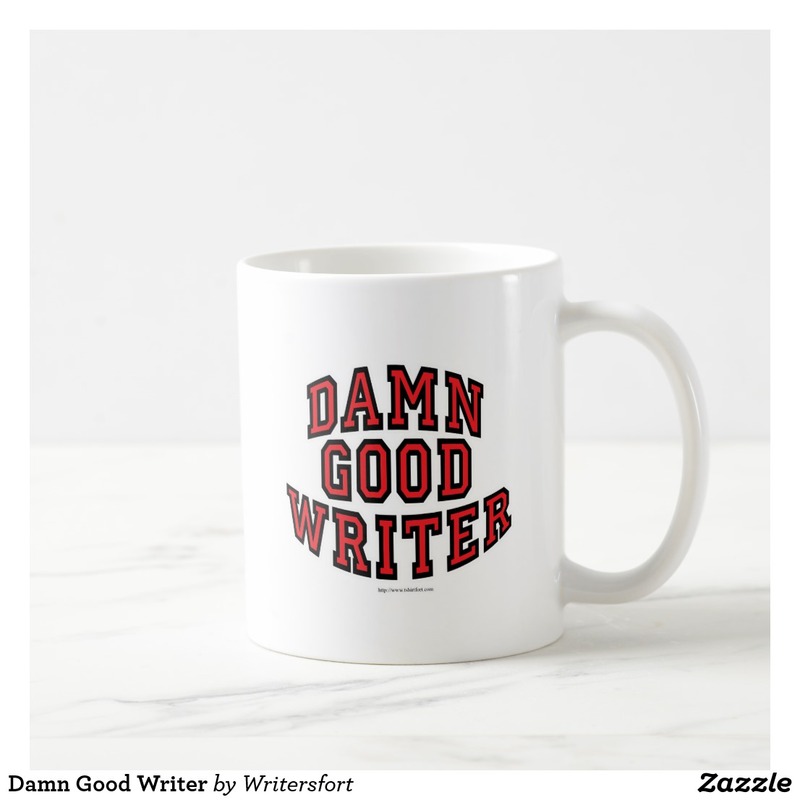 A funny mug for the author who takes pride in their writing. 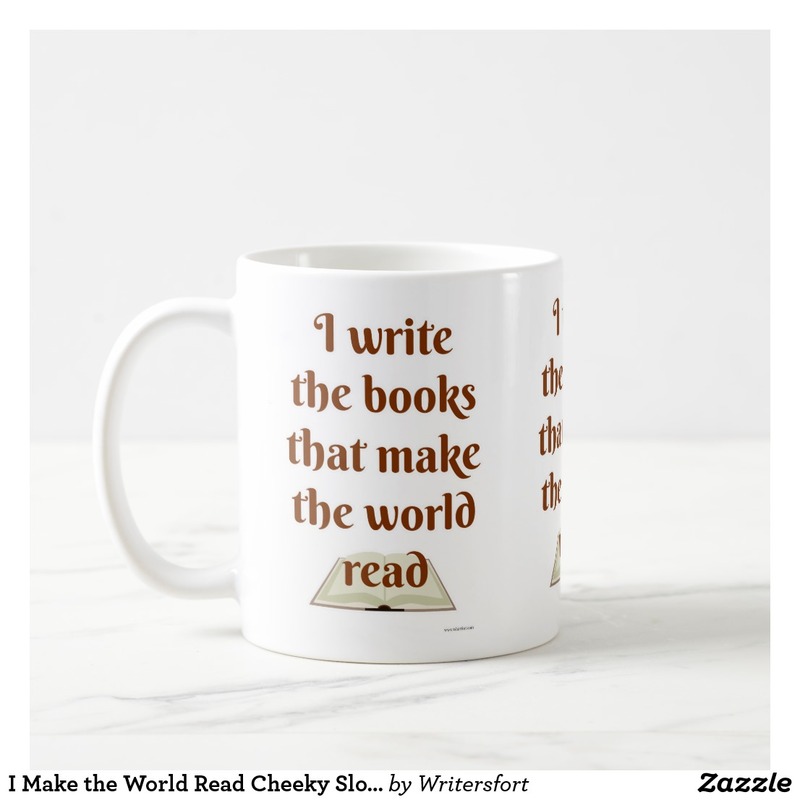 This reading mug is perfect for bookworms, word nerds, authors, librarians, editors, avid readers, lovers of literature, and more. Get some fans with a funny writer’s promotional slogan. Your book deserves the attention. 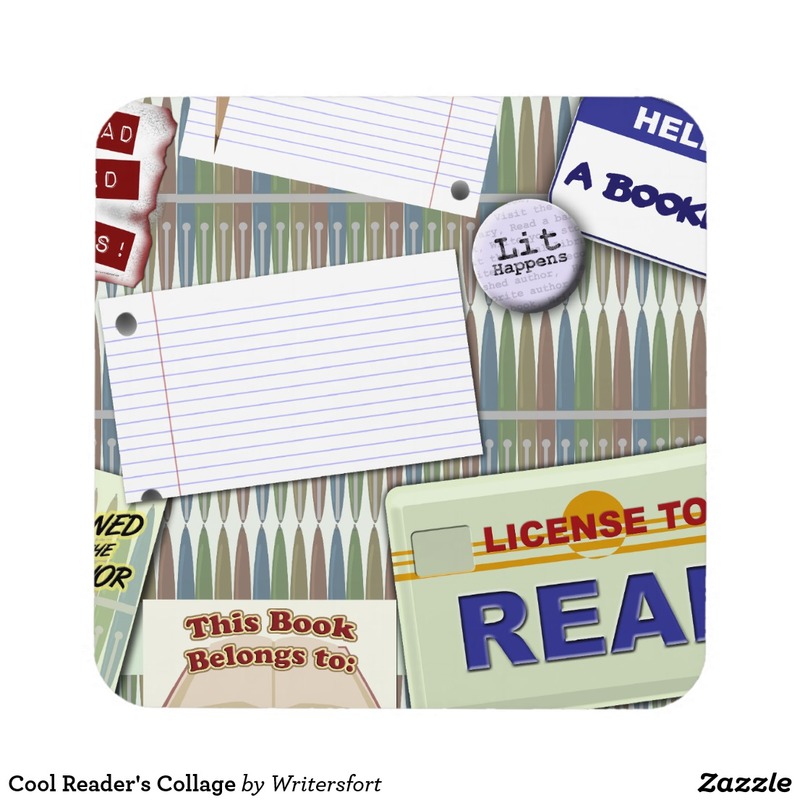 This cool illustrated collage design makes a great author gift or reader gift. 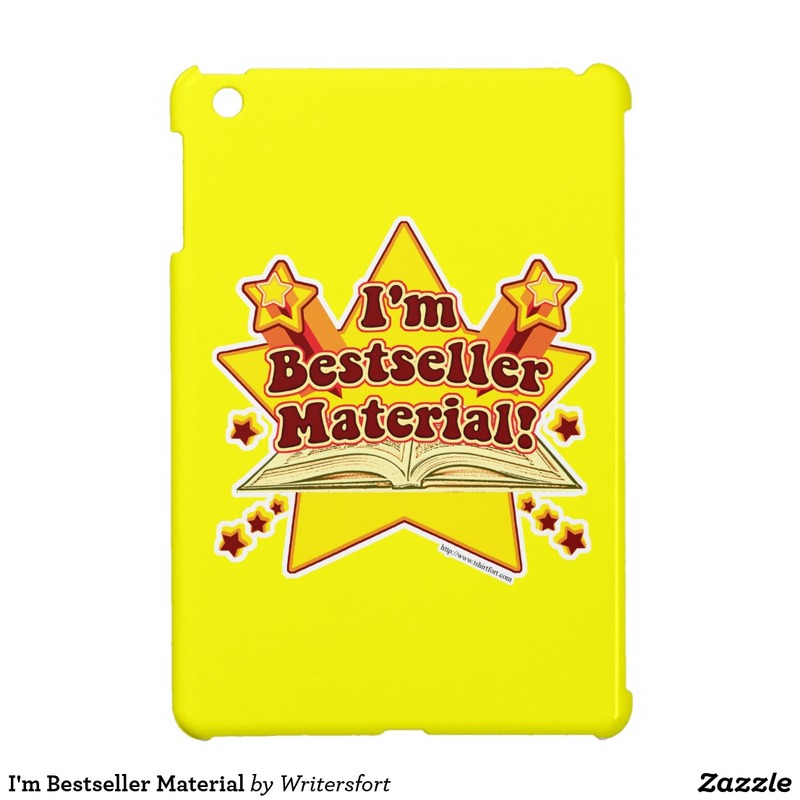 Get one for the love of books. 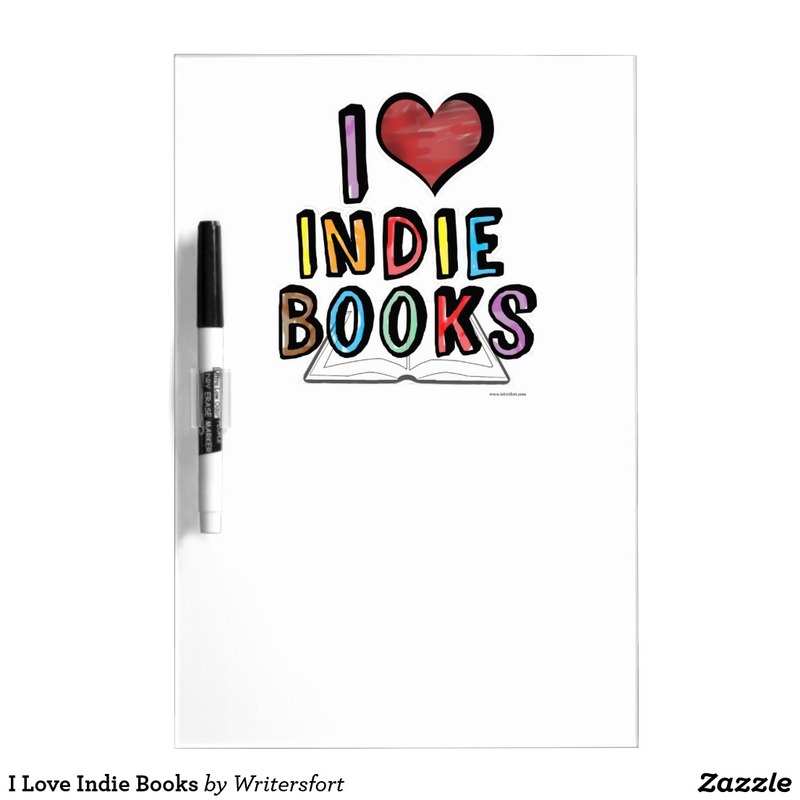 This dry erase board is for lovers of indie books. 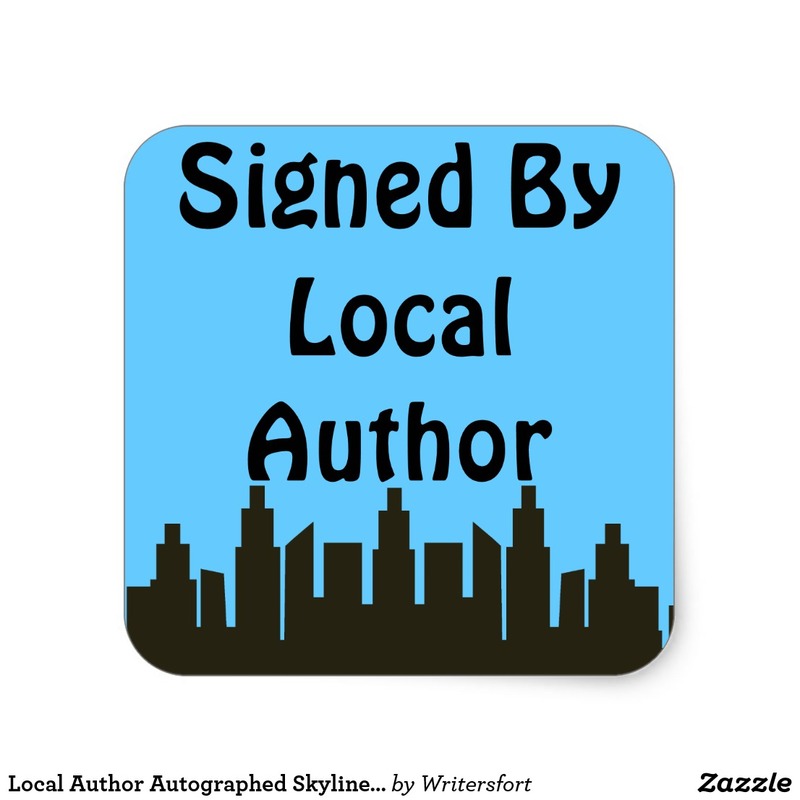 Support independent authors with this writing slogan. 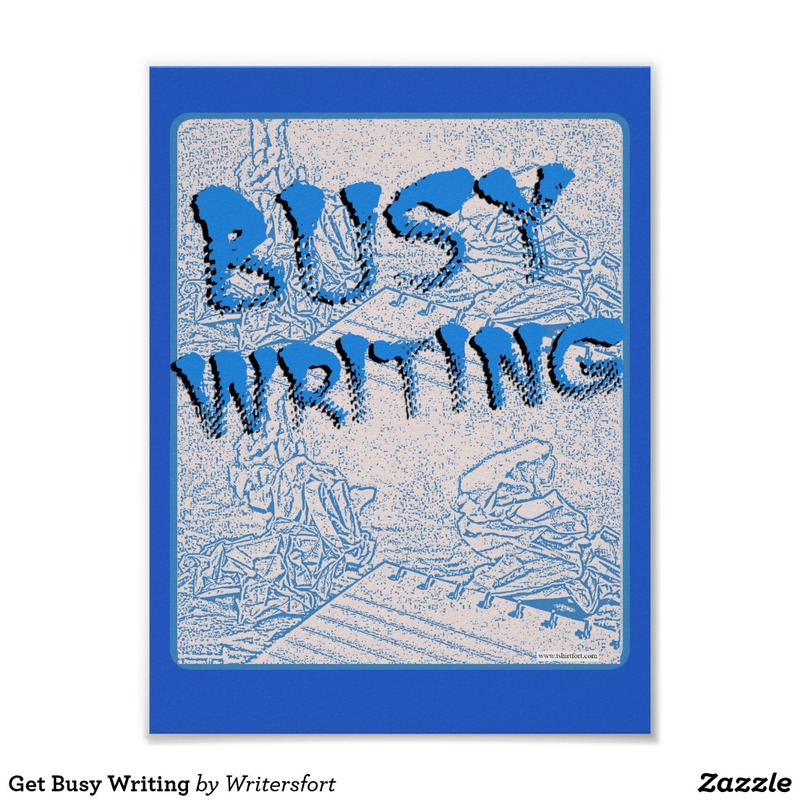 Keeping busy with your writing? 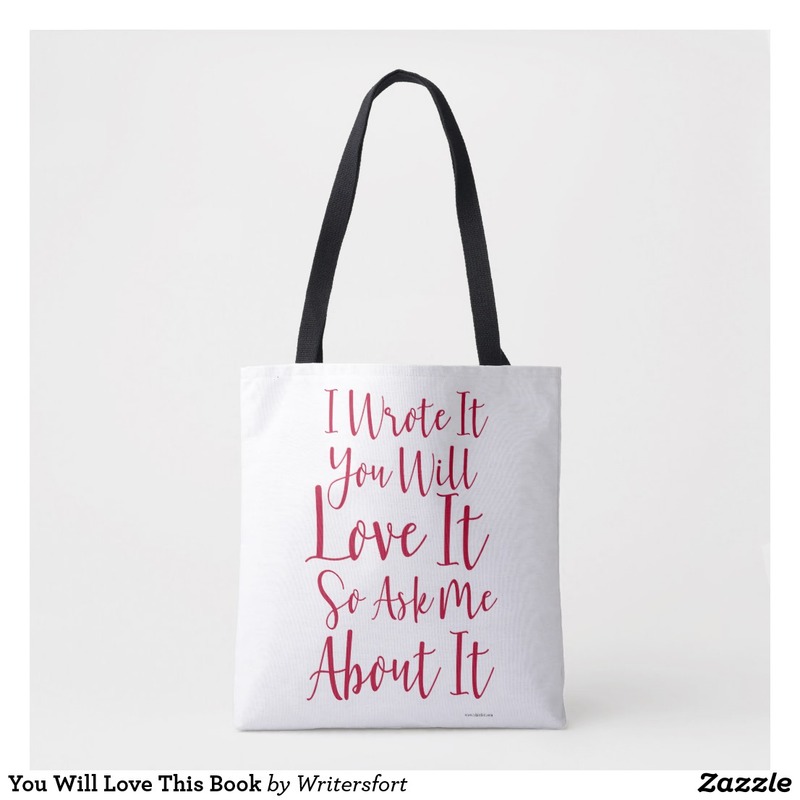 This cool motivational writing process slogan design is a perfect gift for any author. 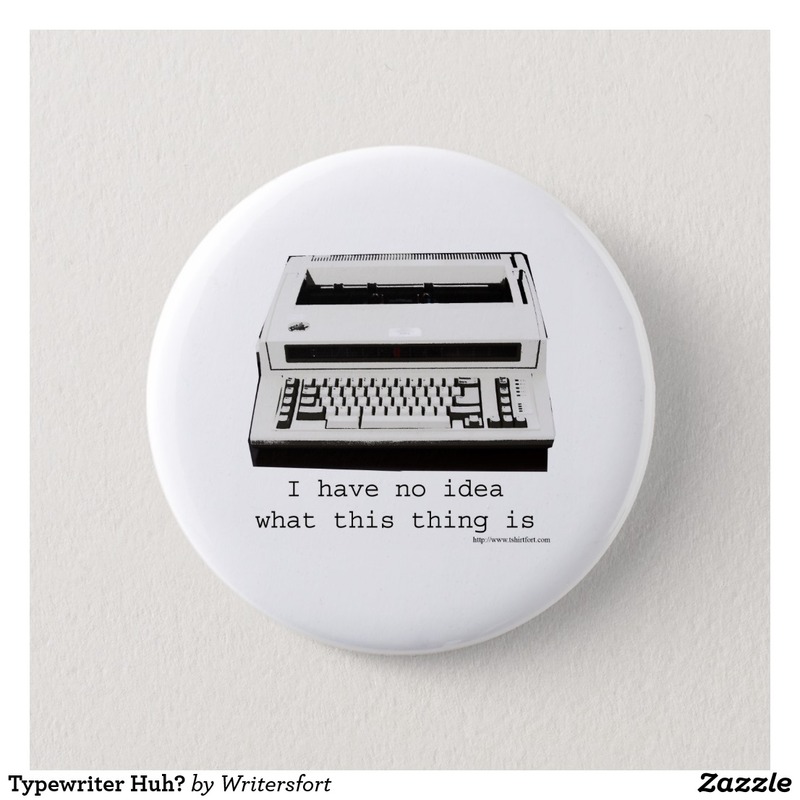 A snarky button for the younger writer. 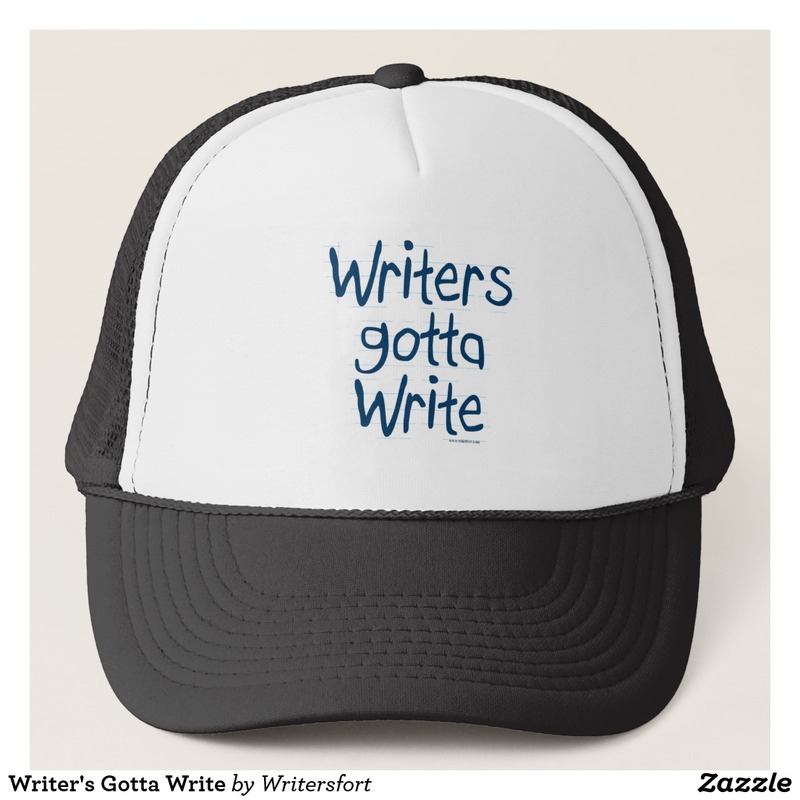 A hat for when the writer's block hits. 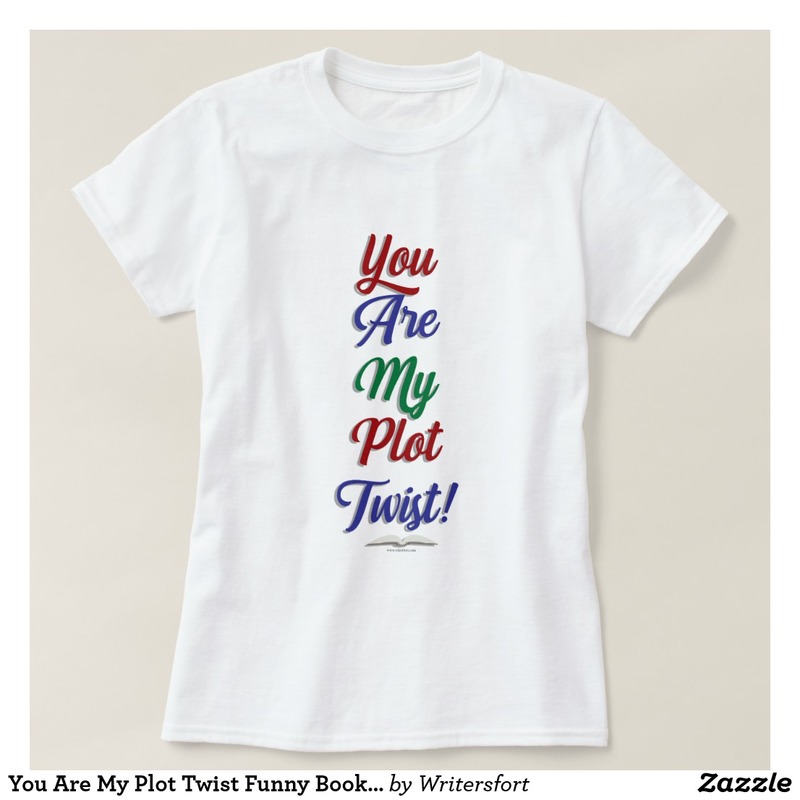 This plot slogan is perfect for bookworms, word nerds, authors, librarians, editors, avid readers, lovers of literature, and more. 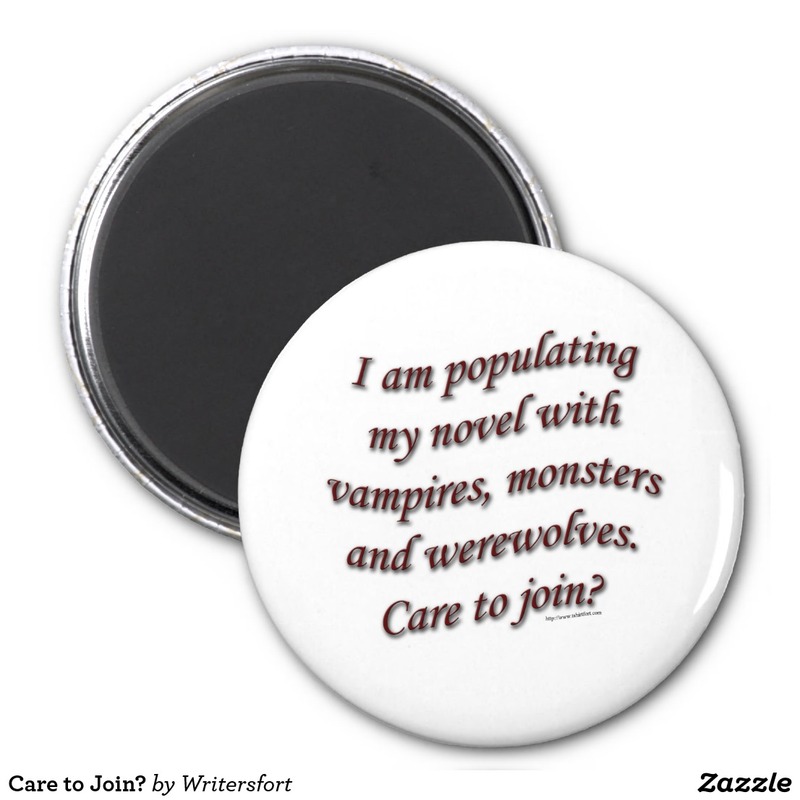 Get some fans with a cheeky fantasy author's promotional slogan. Your book deserves the attention. 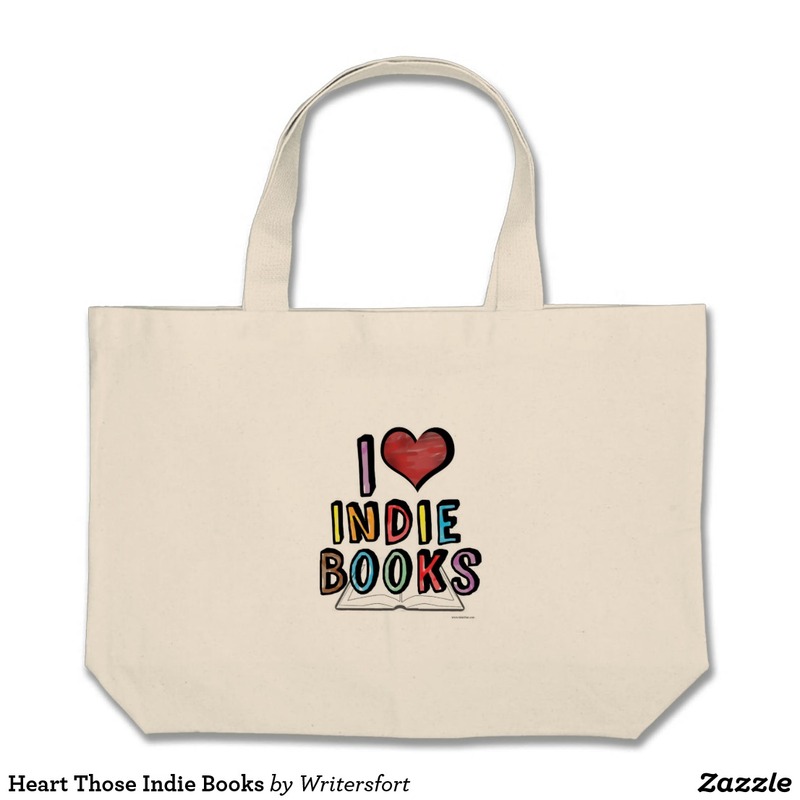 This design is for lovers of indie books. 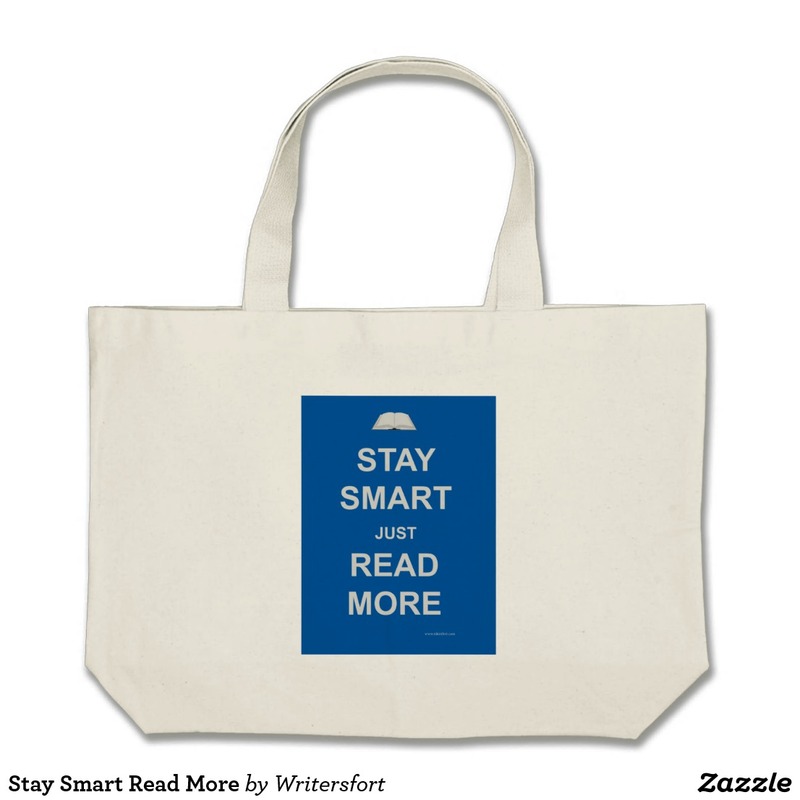 Support independent authors with this writing motto tote. This funny mystery author slogan item is a totally unique gift for any author. 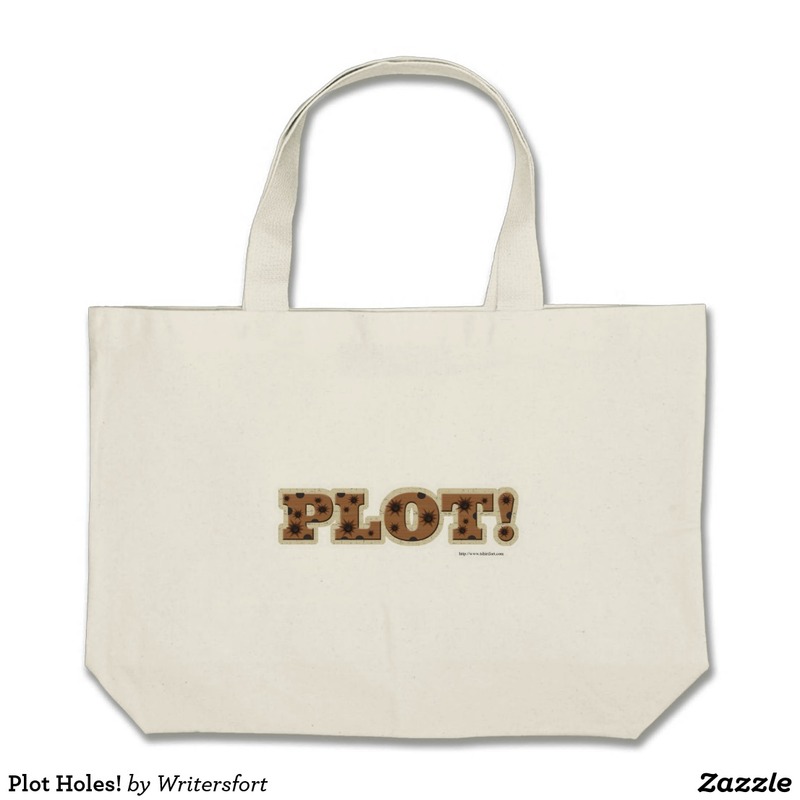 Get a mystery genre totebag gift today. 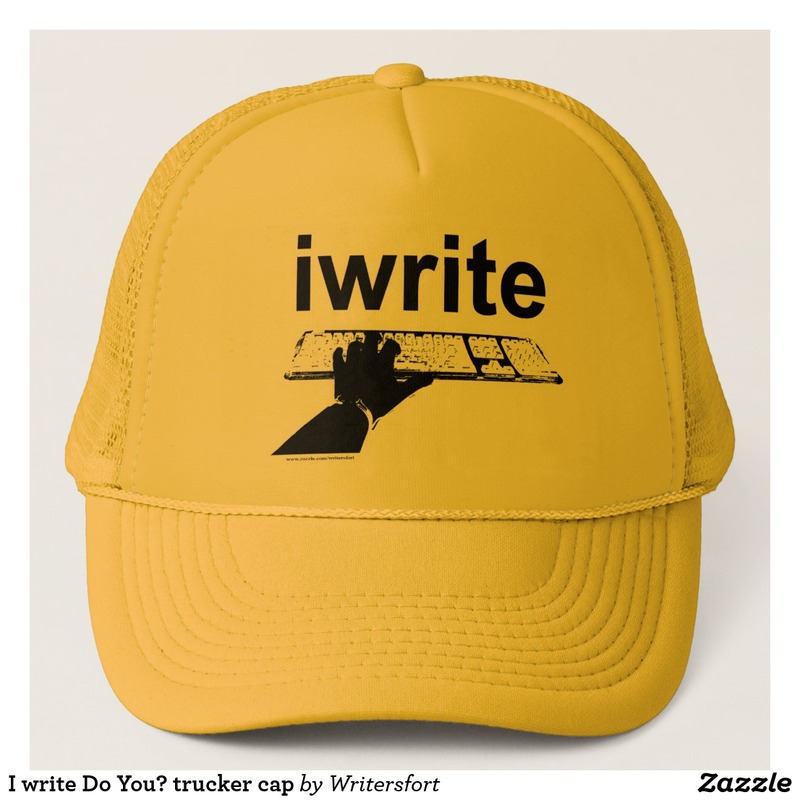 Get some fans with a cheeky writer’s promotional slogan trucker hat. Your book deserves the attention. This funny author slogan item is a totally unique gift for any author. 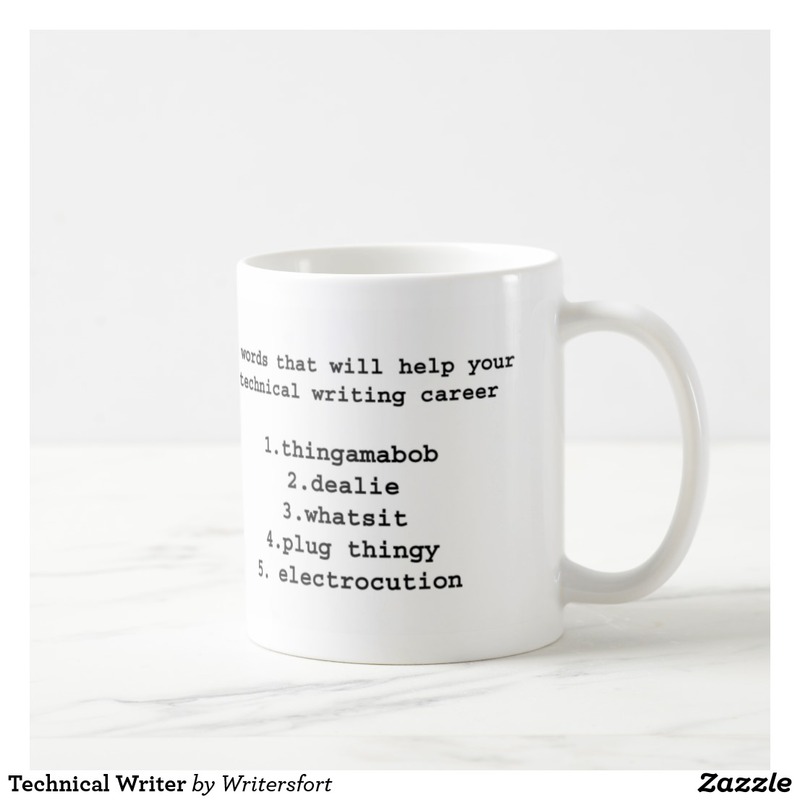 Get a comic writer motto mug today. 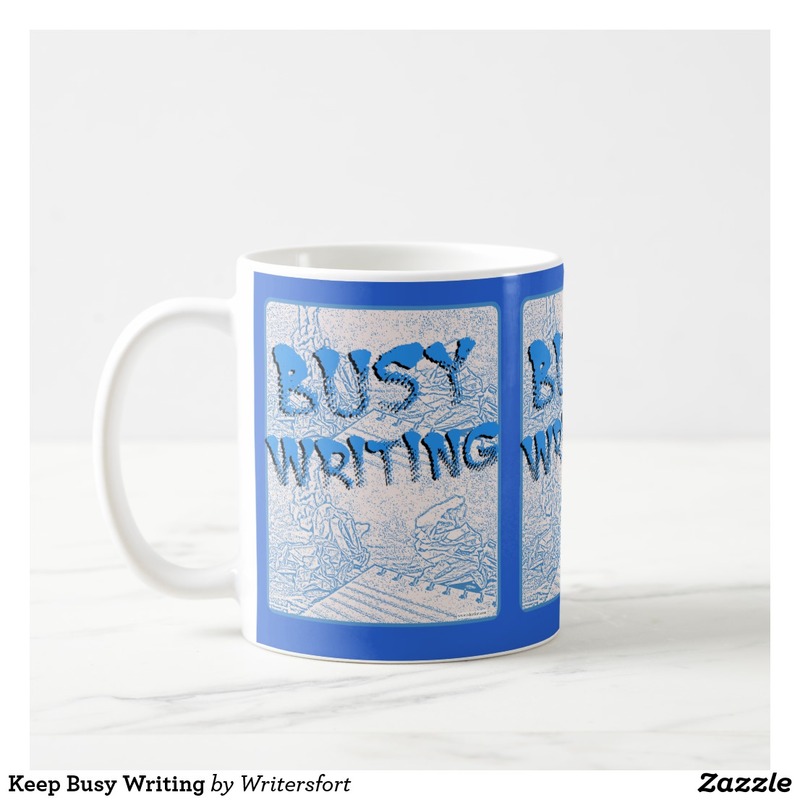 Keeping busy with your writing? 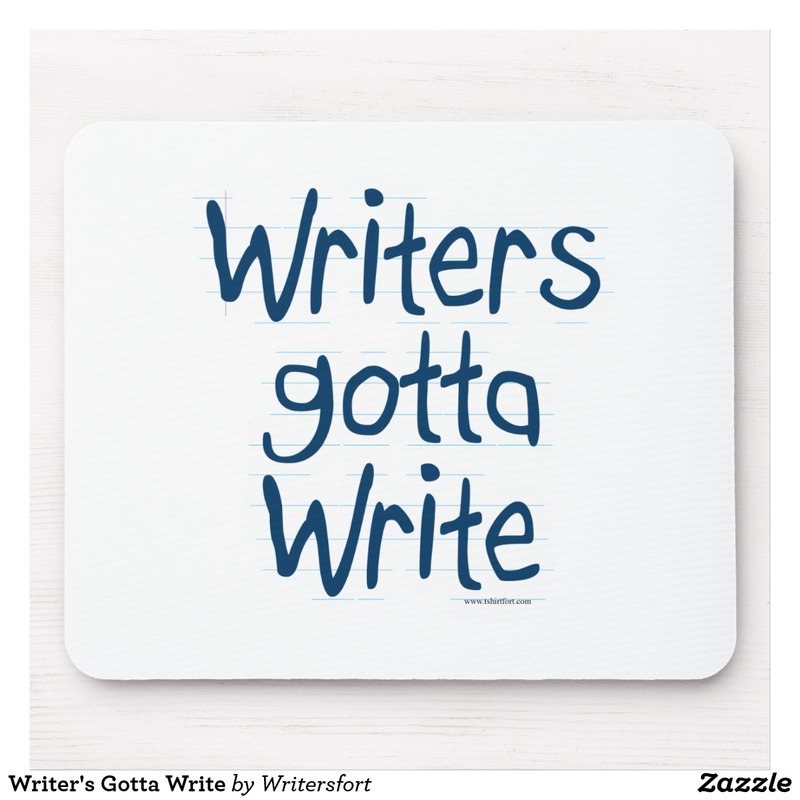 This funny motivational writing process slogan mousepad is a perfect gift for any author. 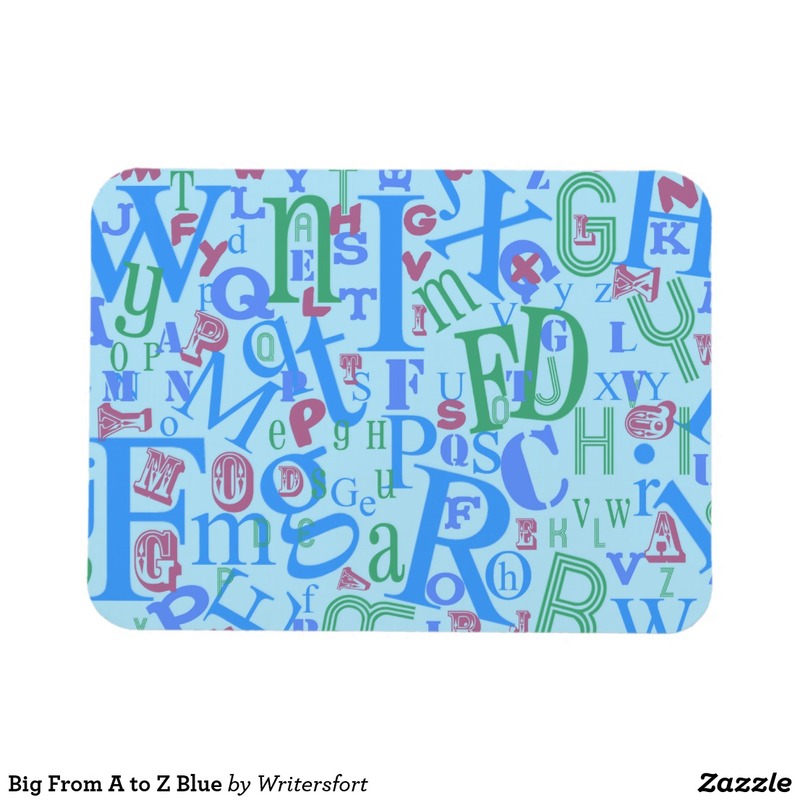 This epic A to Z illustrated design makes a great author gift or reader gift. 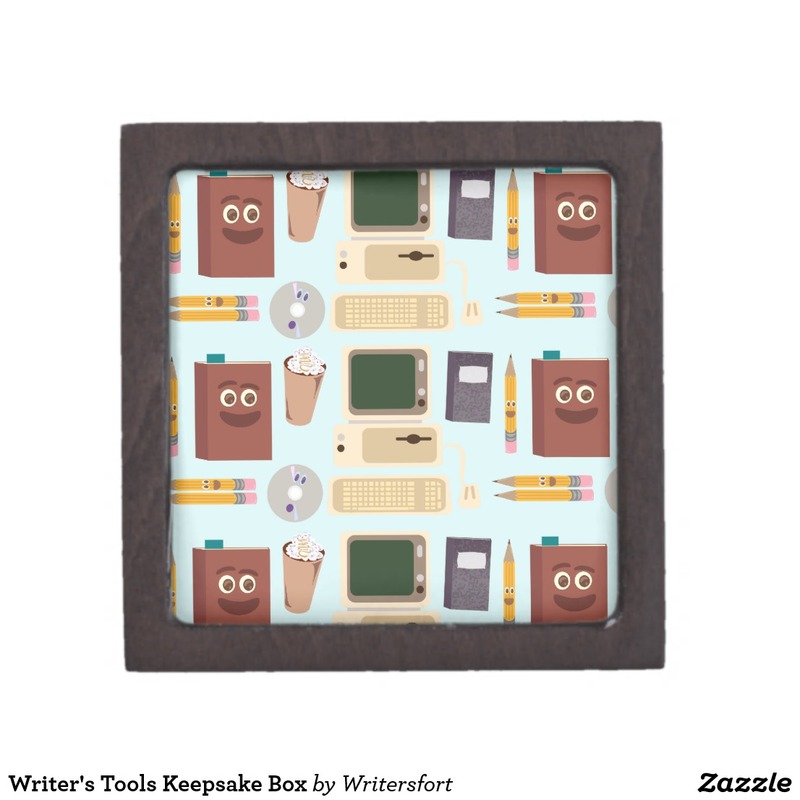 Get one for the love of books. 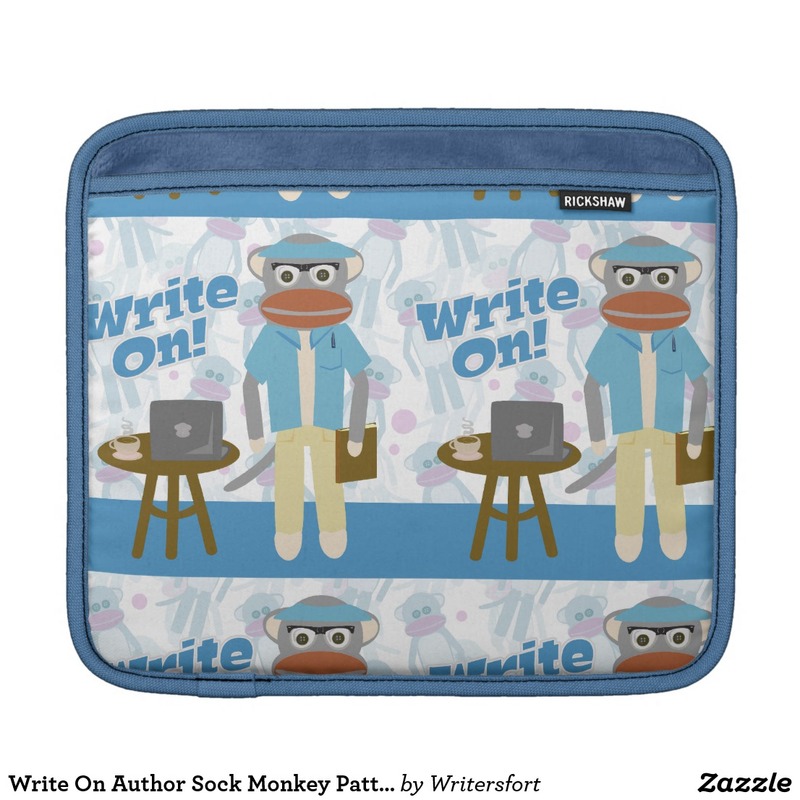 More epic writing gifts can be found here. 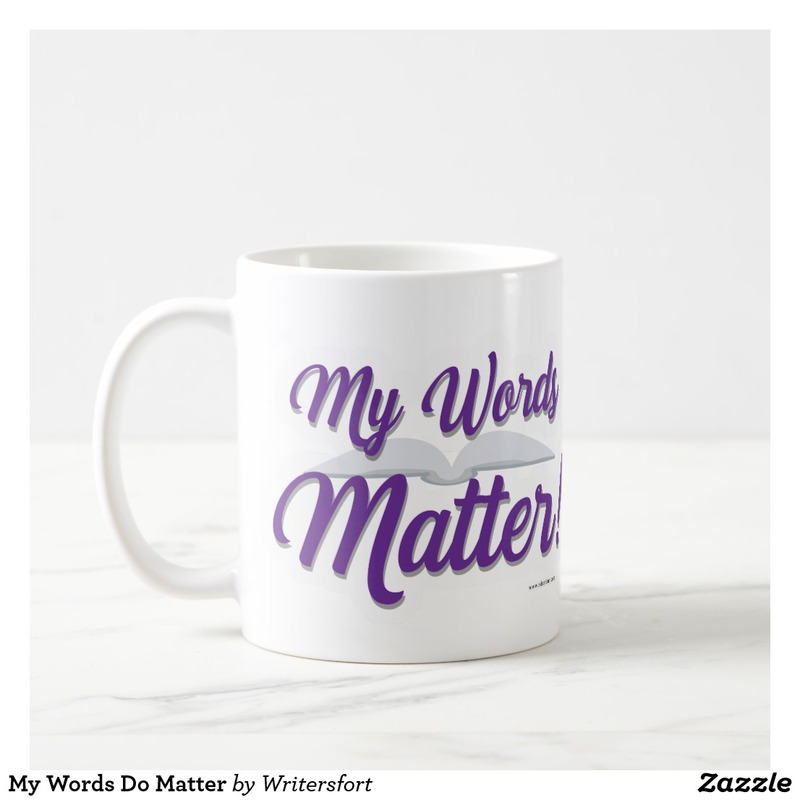 This my words matter slogan is perfect for anyone who has a way with words. 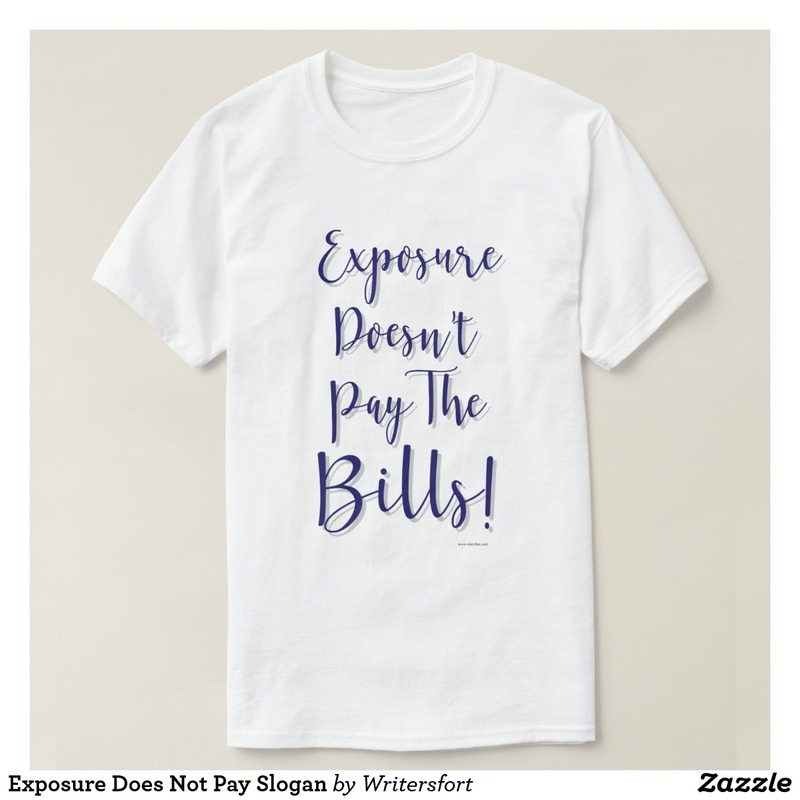 This exposure slogan design is perfect for writers artists designers students animators or anyone who is creative. 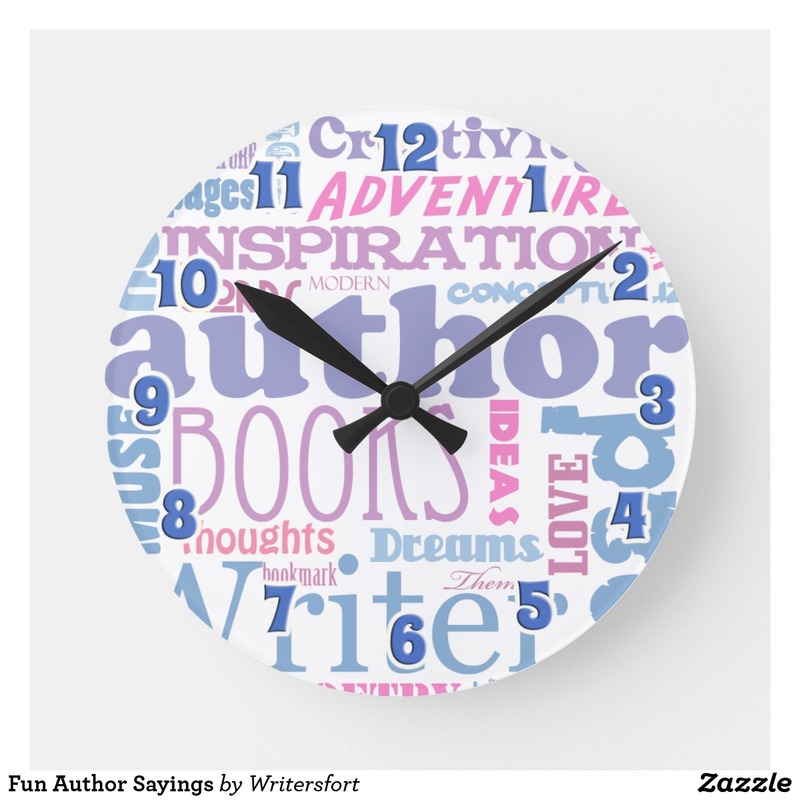 The ultimate clock for any writer. Don't miss your deadline. Get some fans with a cheeky writer’s promotional slogan. 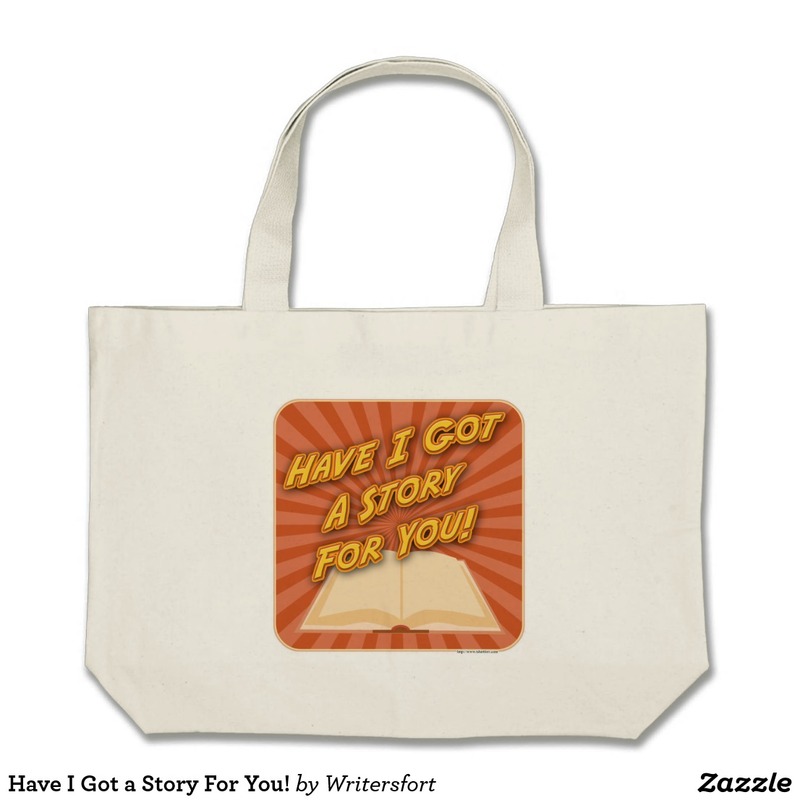 Your book deserves the attention this tote can bring. 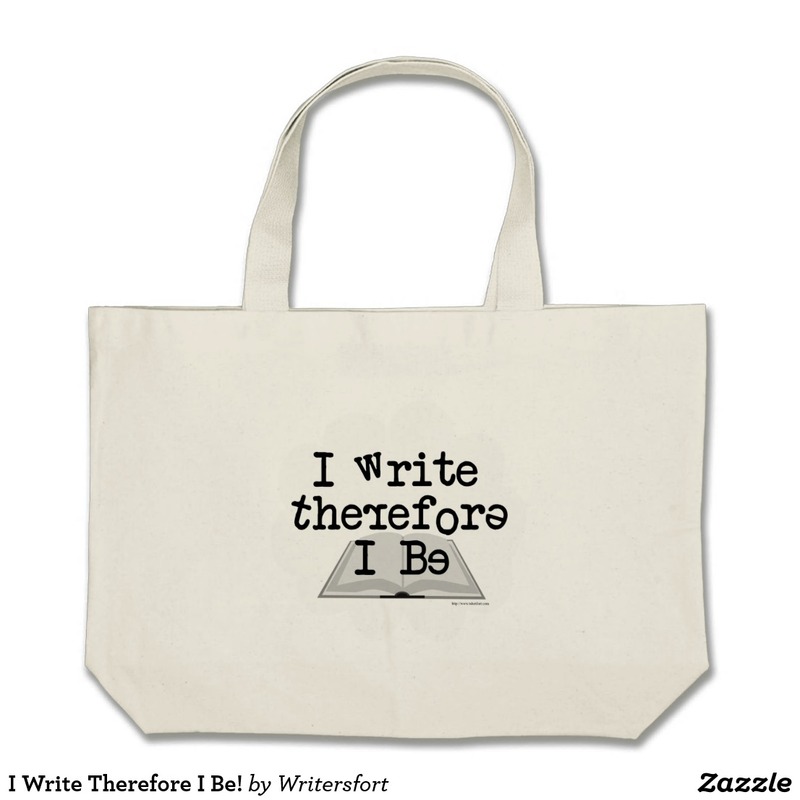 This funny de-motivational writing process slogan design is a perfect gift for any author. Get some fans with a cheeky blogger’s promotional slogan. 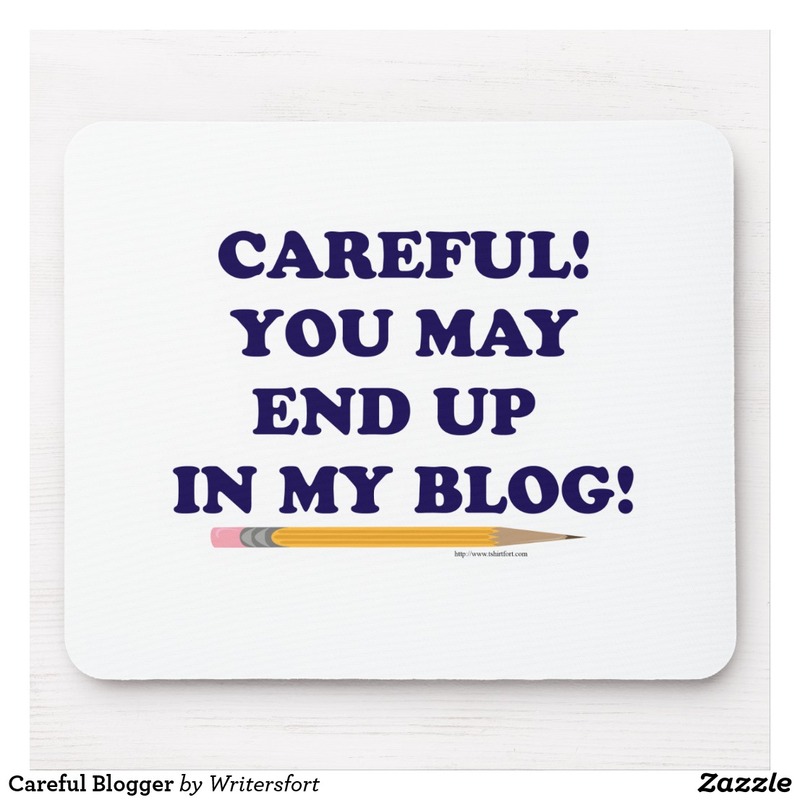 Your blog deserves the attention. 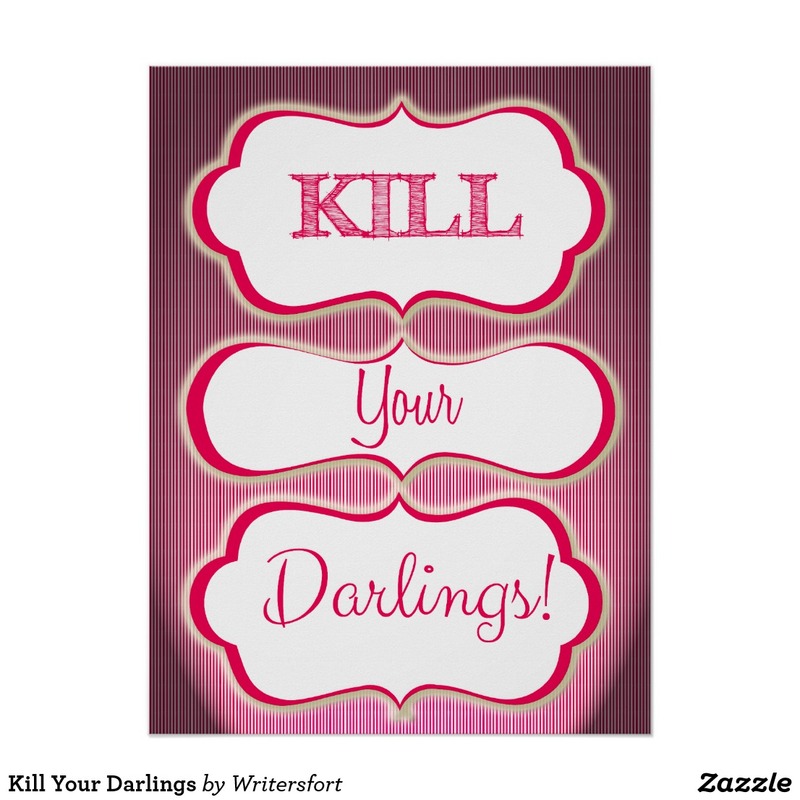 This funny motivational writing process slogan design poster is a perfect gift for any author. 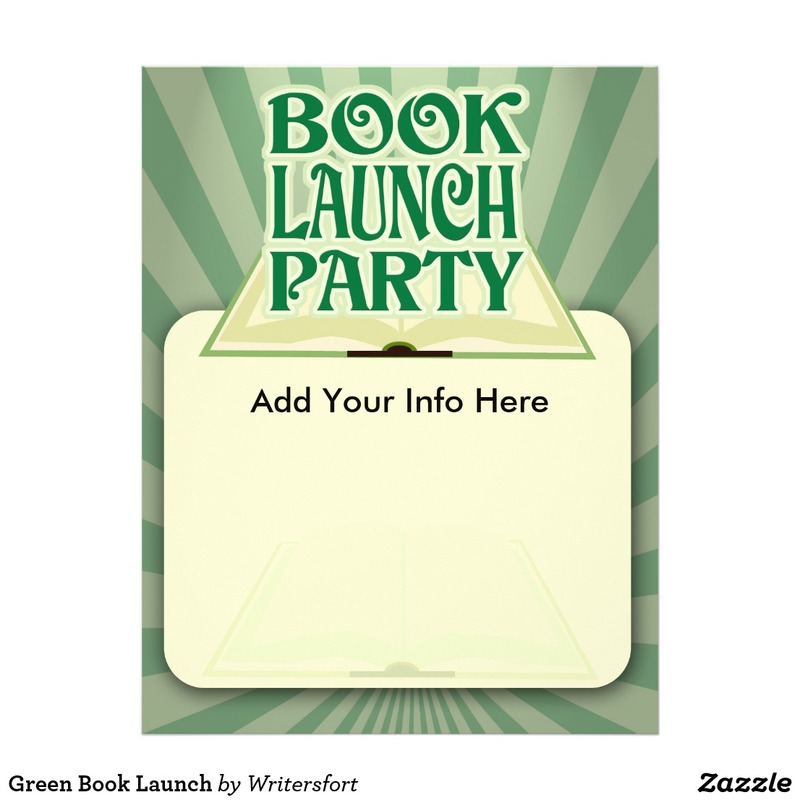 Check out my book! 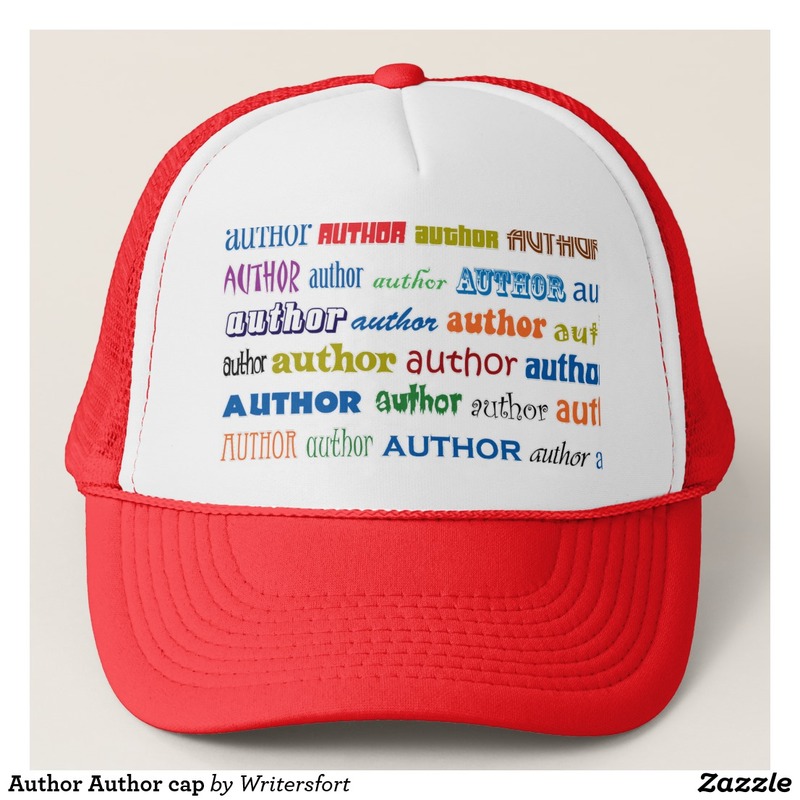 This funny author slogan item is a totally unique gift for any author. 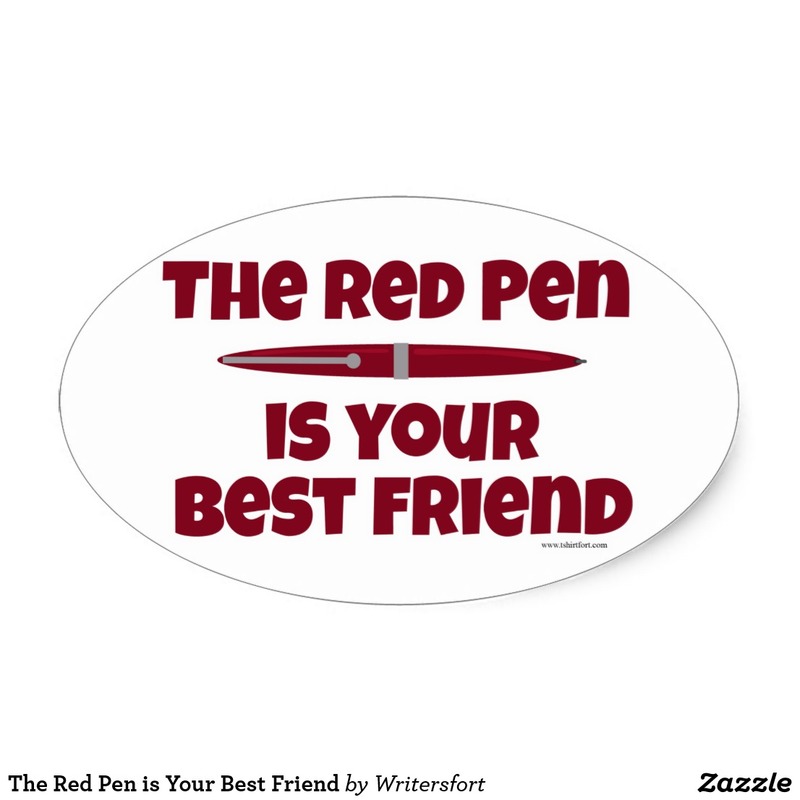 Get a comic writer motto gift today. 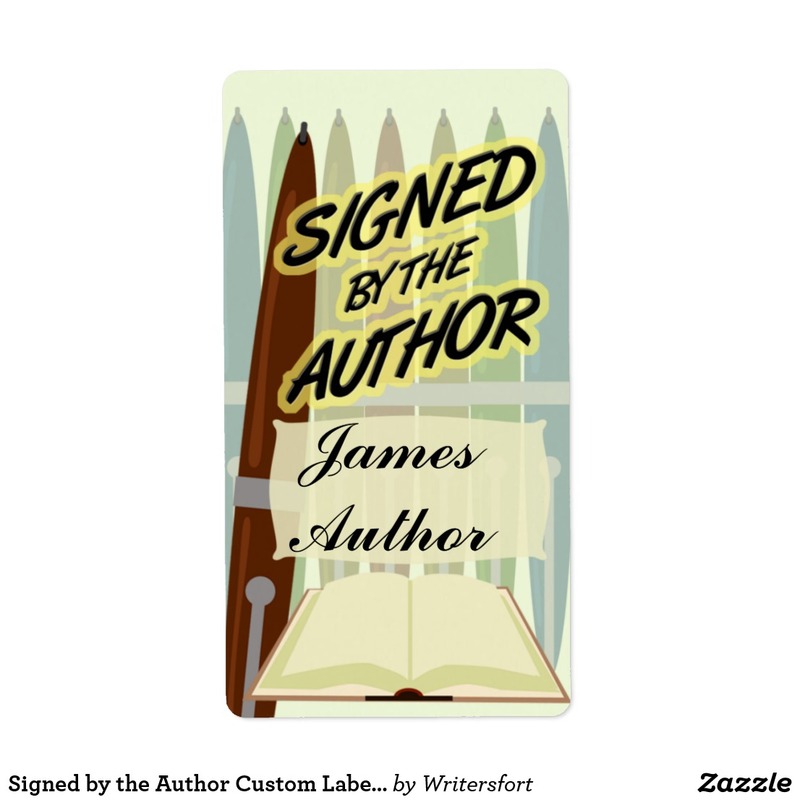 This customizable illustrated design makes a great author gift or reader gift. 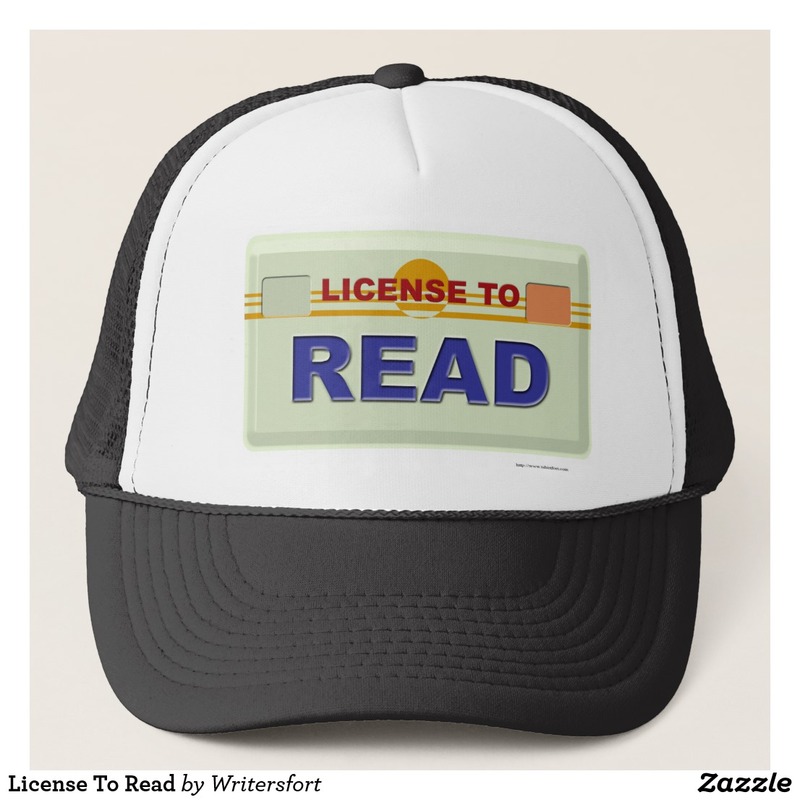 Get one for the love of books. 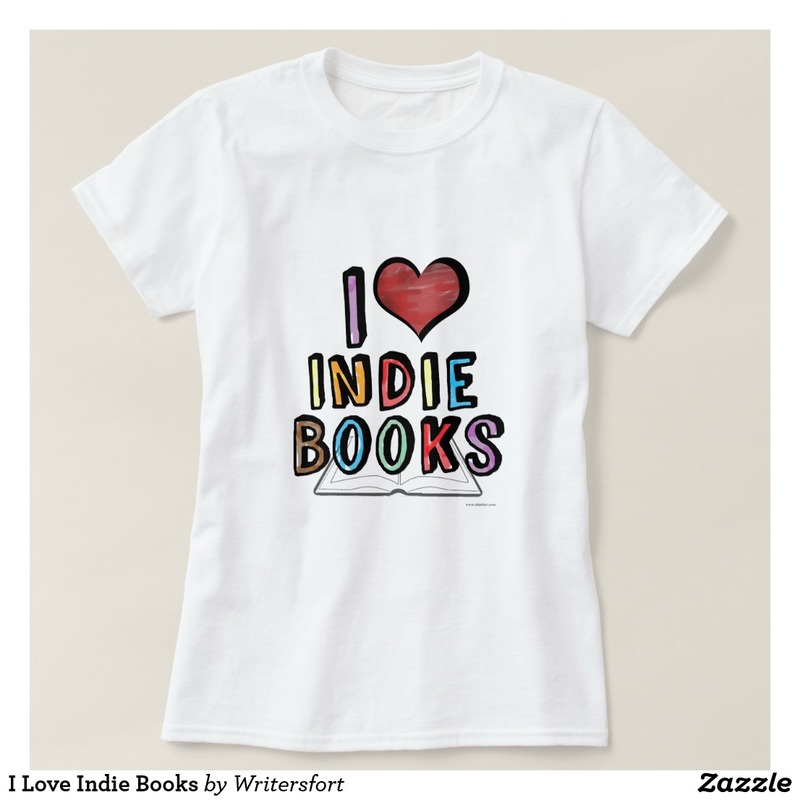 This design is for lovers of indie books. 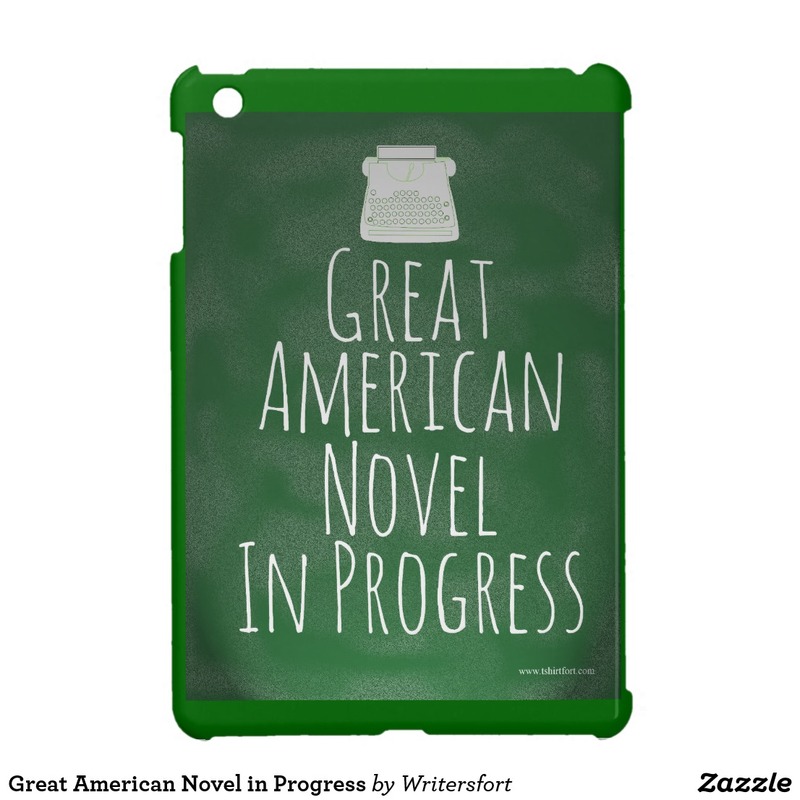 Support independent authors with this writing slogan plaque. 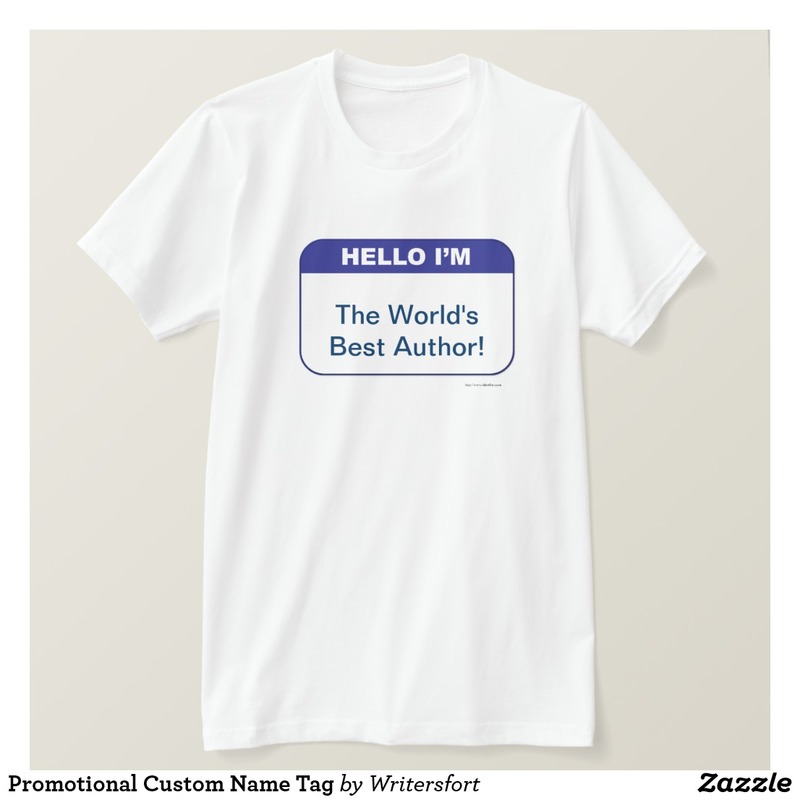 This funny author slogan item is a totally unique gift for any author. 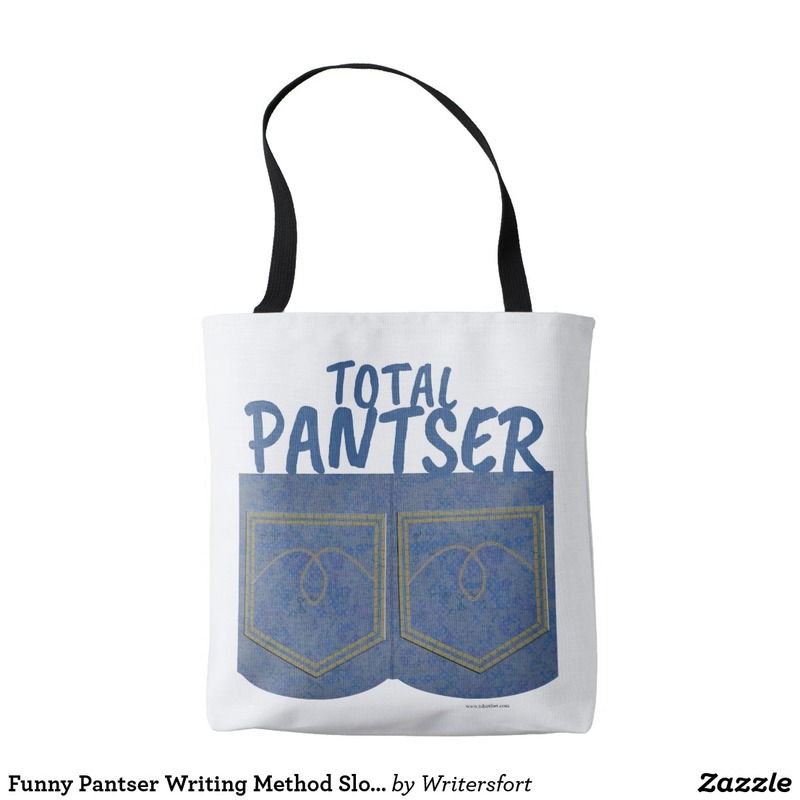 Get a comic writer pantser motto totebag today. Add Your Title! 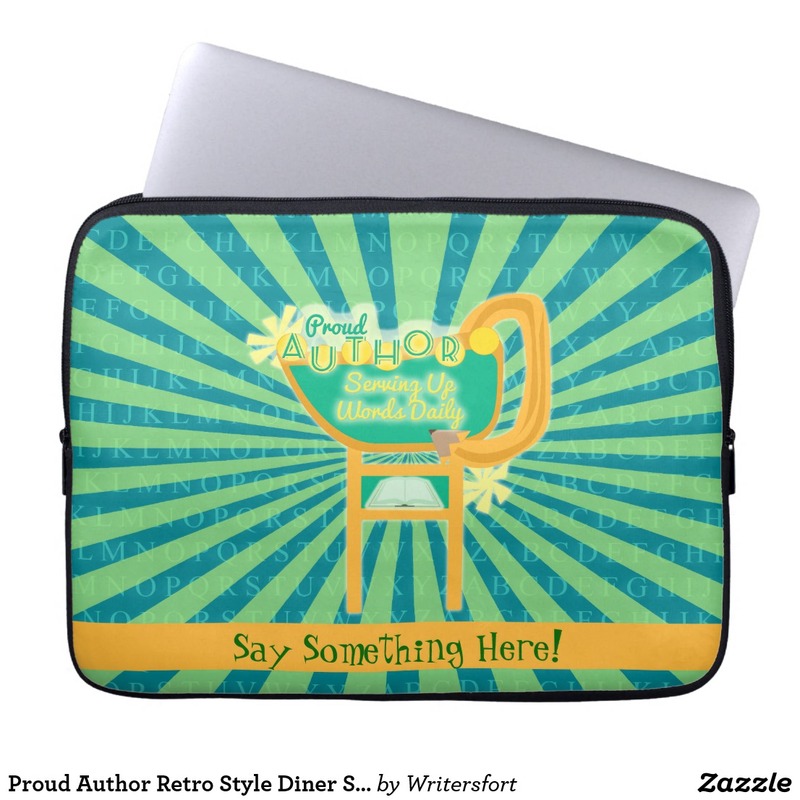 Get the word out about your book with this eye-catching customizable writers design. 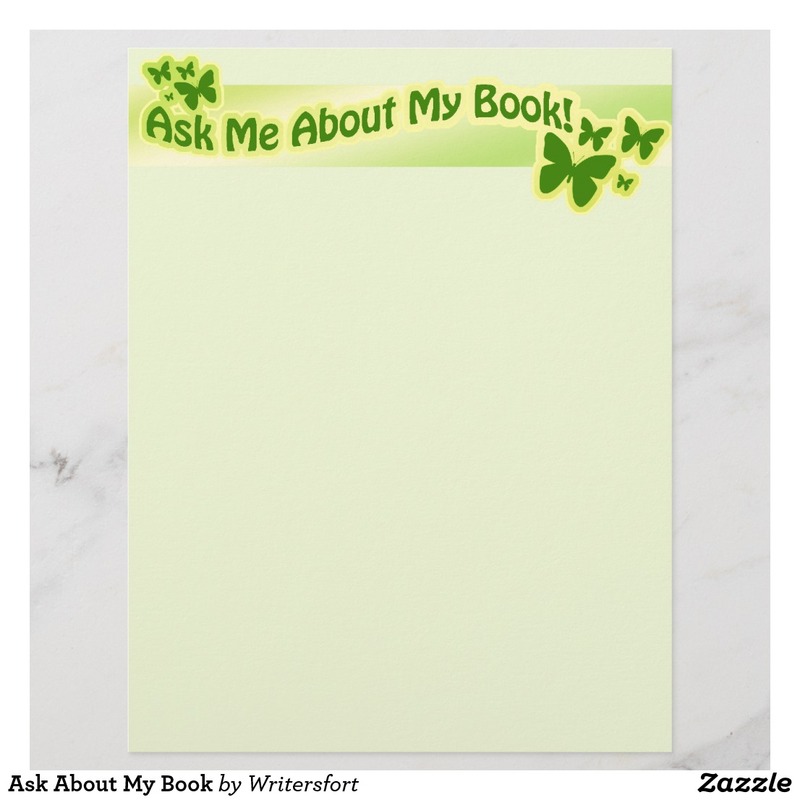 Add your book name. 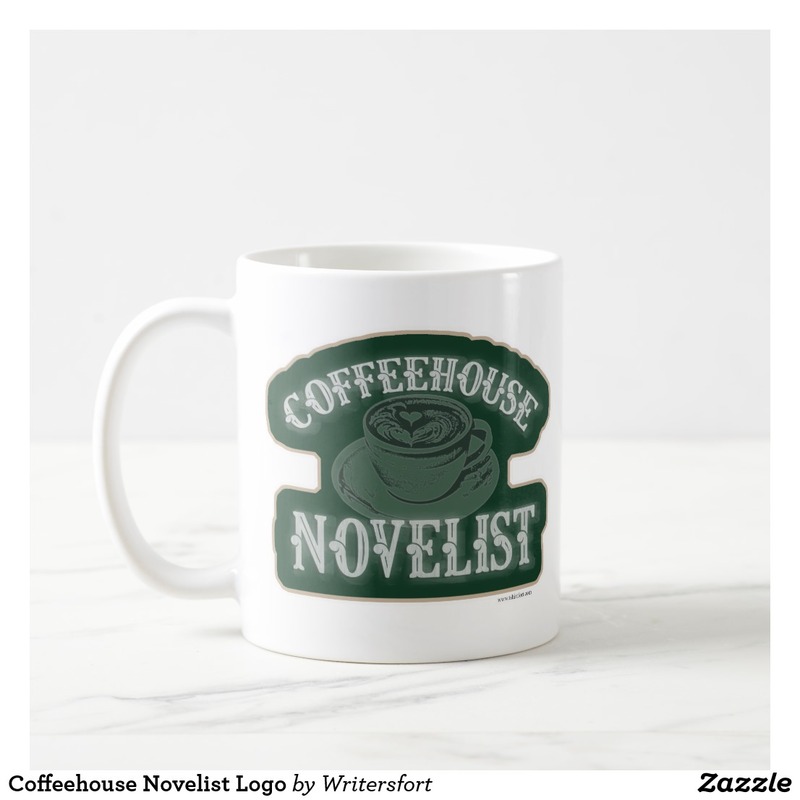 A coffeehouse mug for when you write at home. 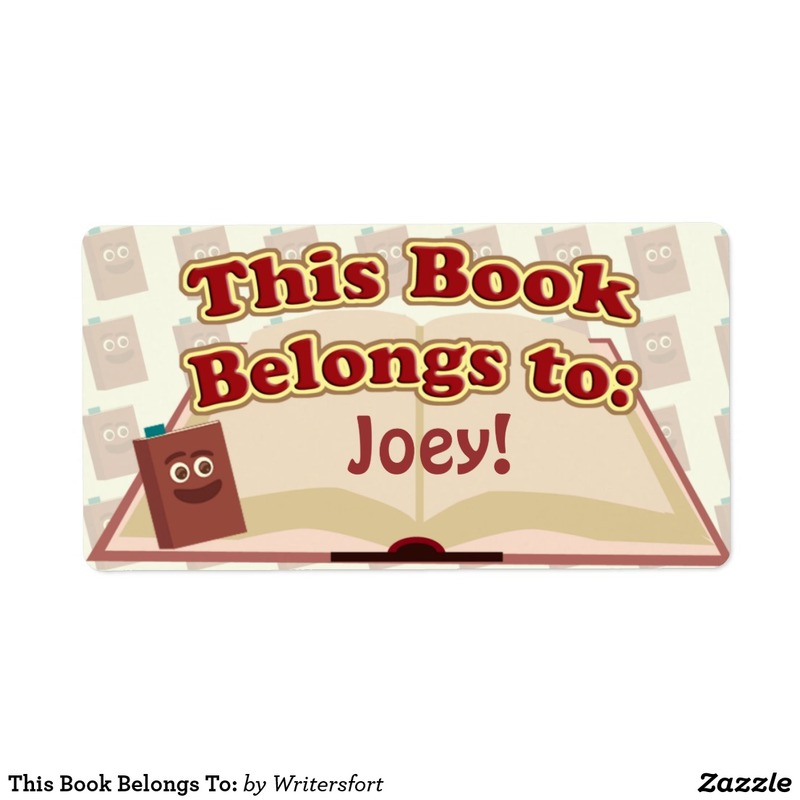 We Have Cute Bookplates. Customize them with your name today. This funny design is perfect for bookworms, word nerds, authors, librarians, editors, avid readers, lovers of literature, and everyone else. 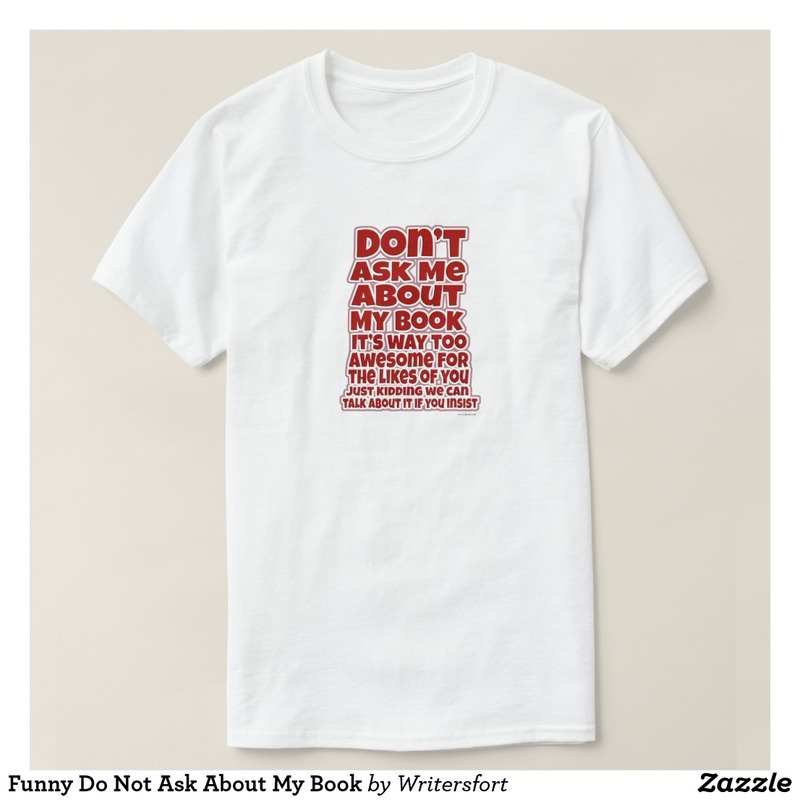 This funny author slogan item is a totally unique gift for any author. 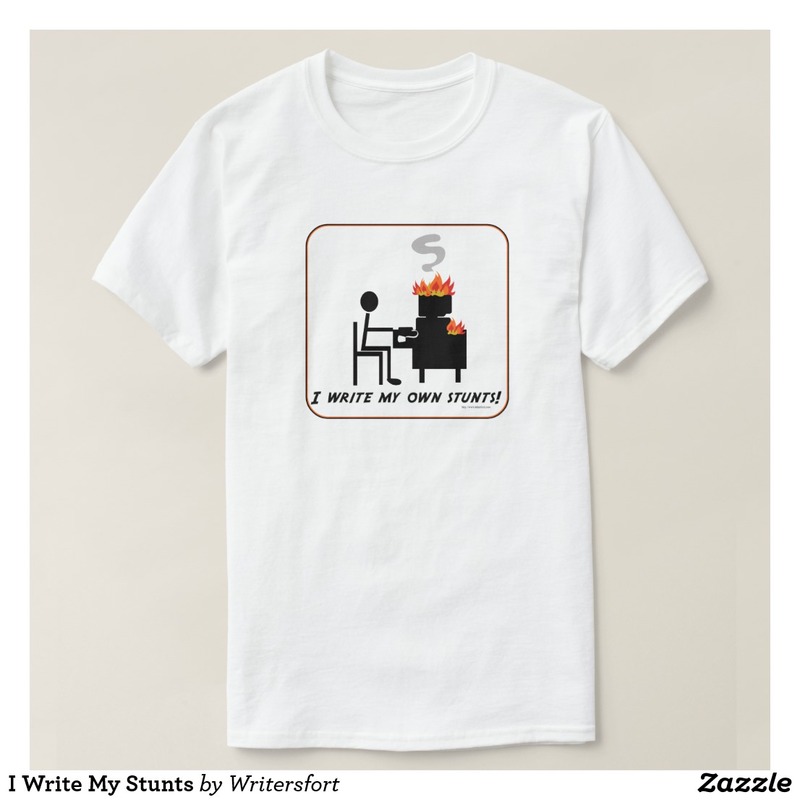 Get a comic writer's life motto gift today. 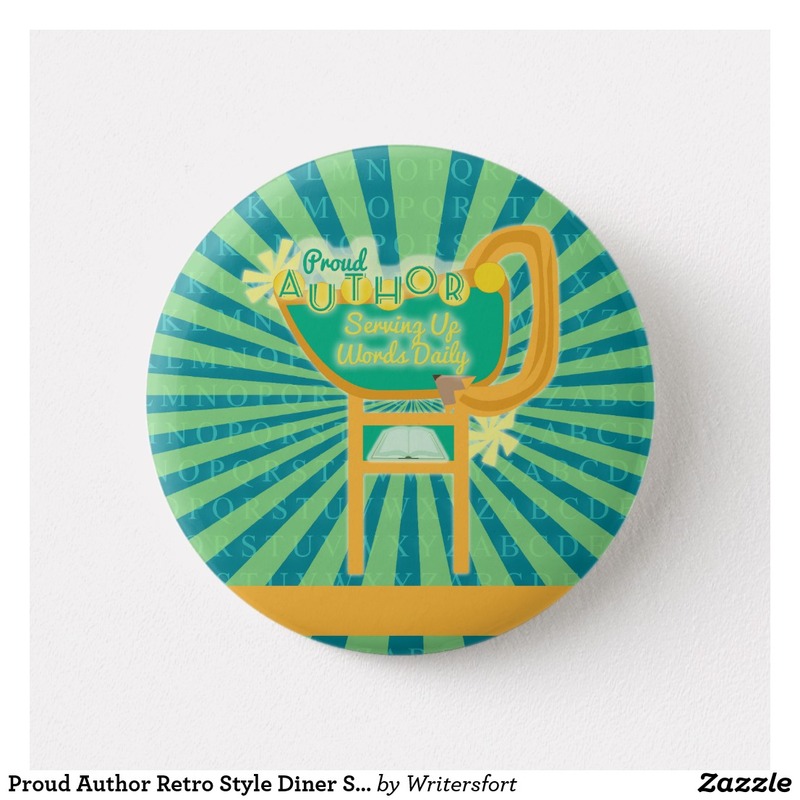 A cool license plate parody author gift. 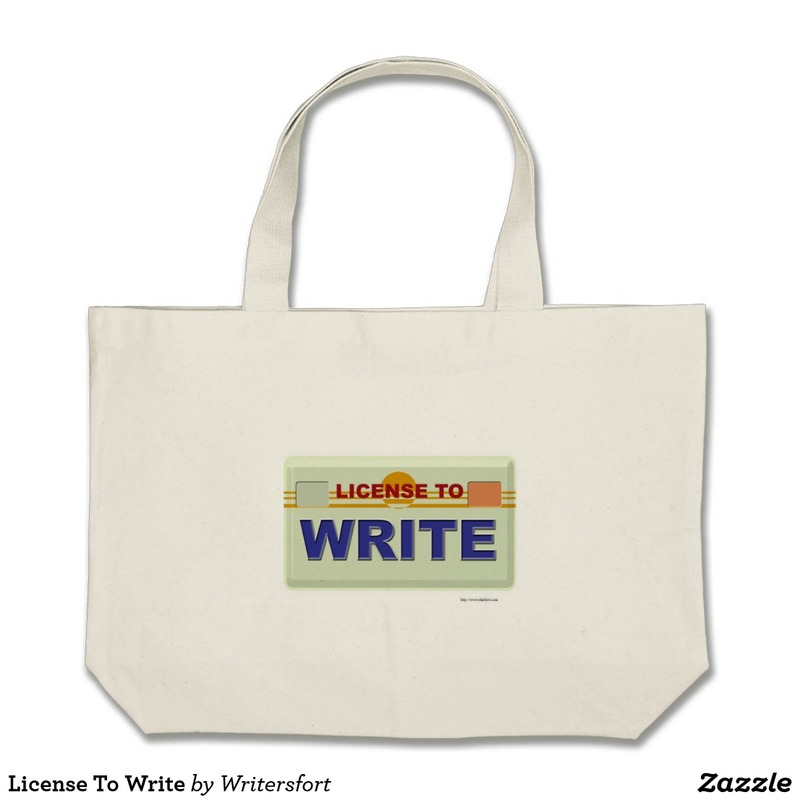 Do you have a license to write? 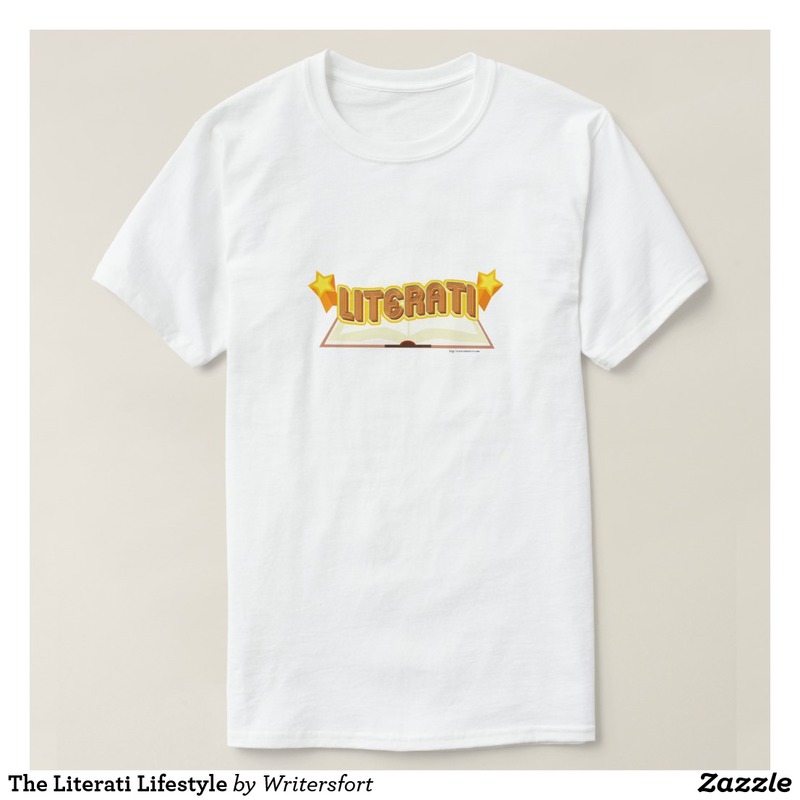 This funny reading design is perfect for bookworms, word nerds, authors, librarians, editors, avid readers, lovers of literature, and everyone else. 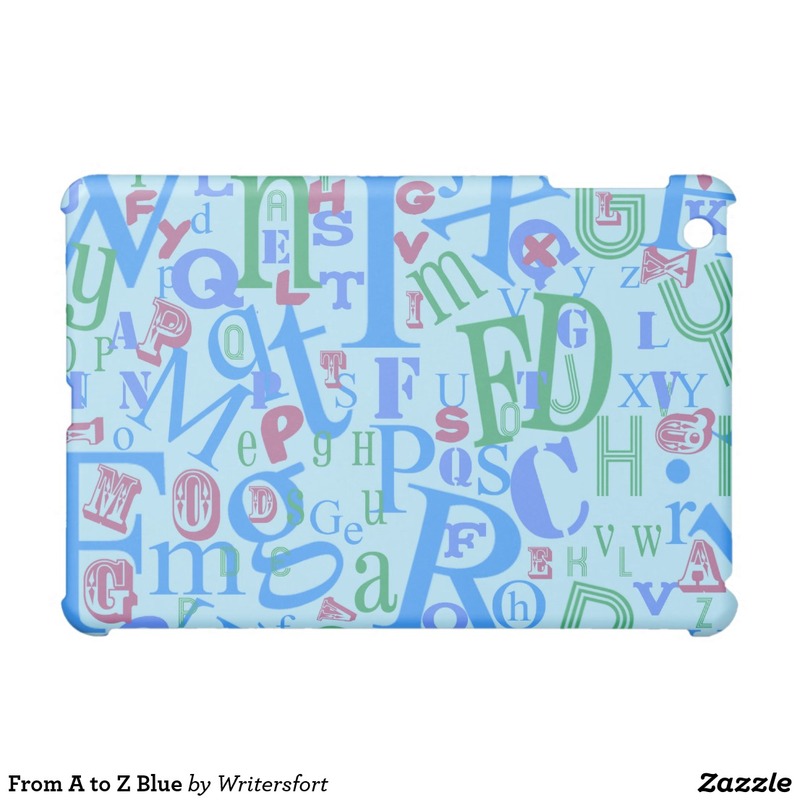 This cool A to Z illustrated design makes a great author gift or reader gift. 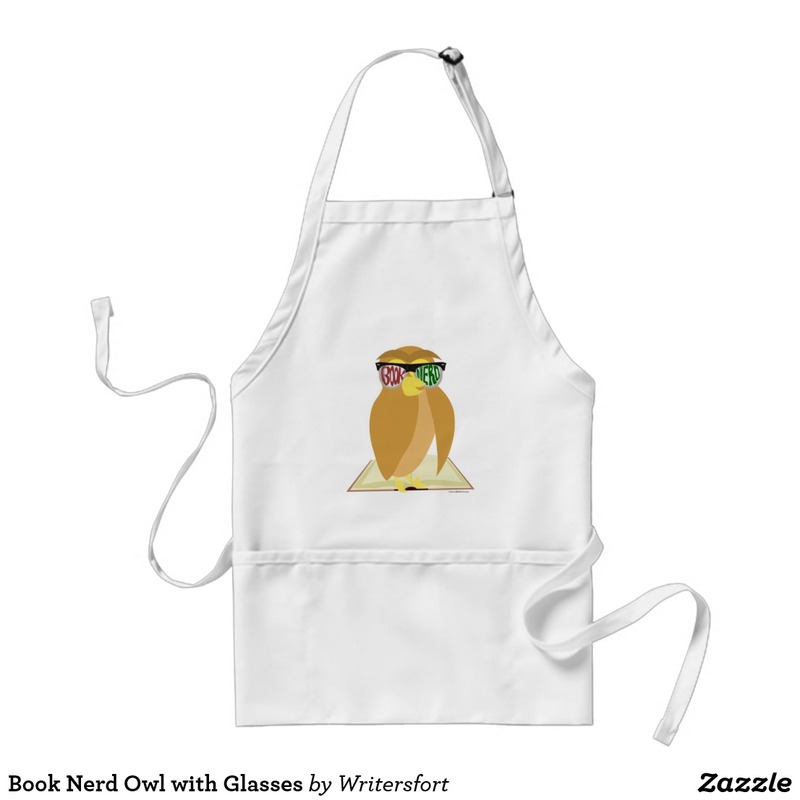 Get one for the love of books. 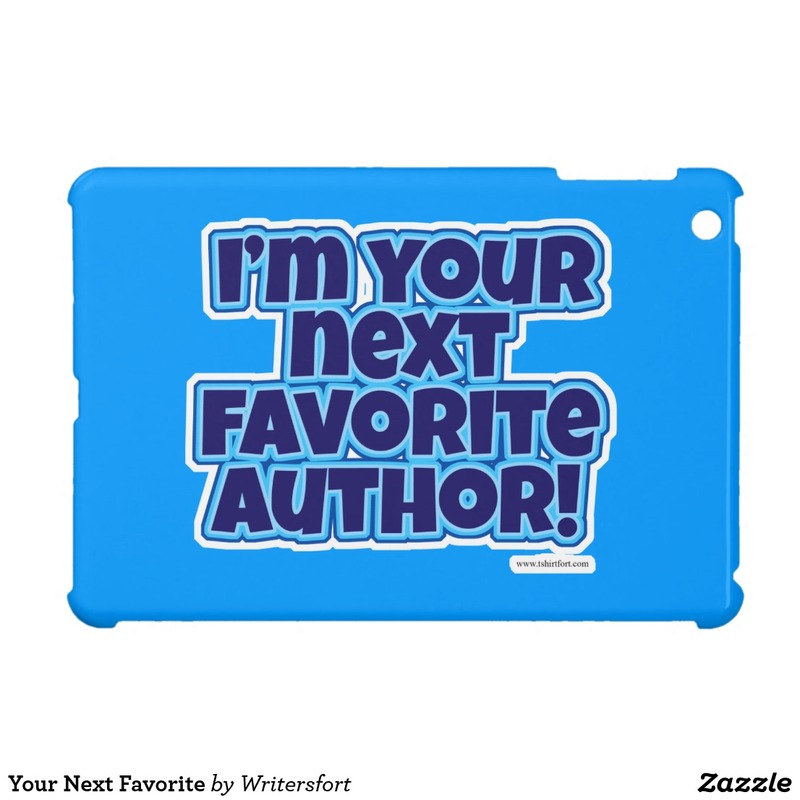 This funny author slogan item is a totally unique gift for any author. 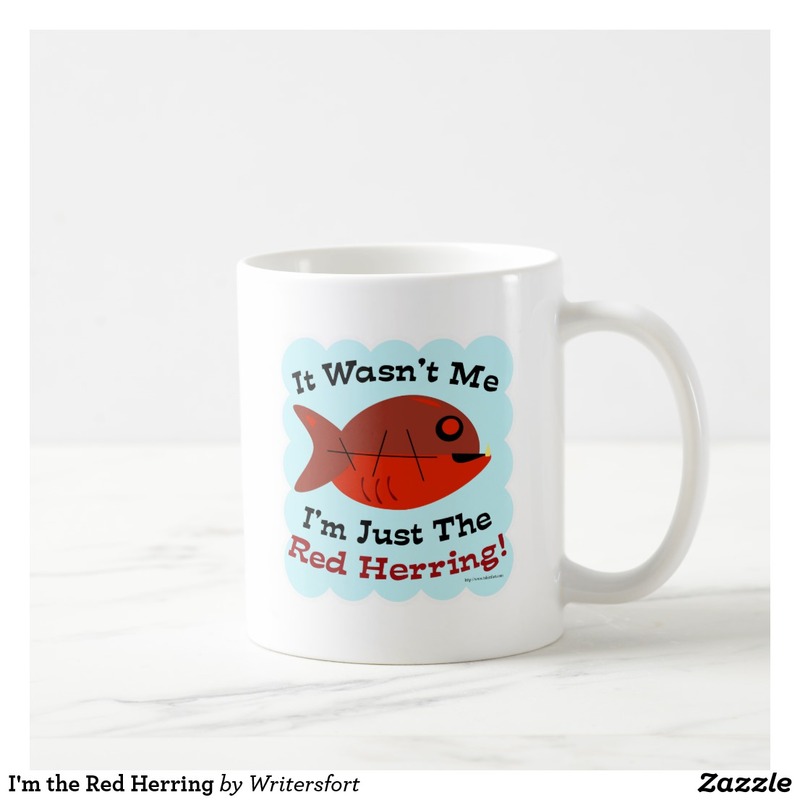 Get a comic misspelled writer motto gift today. 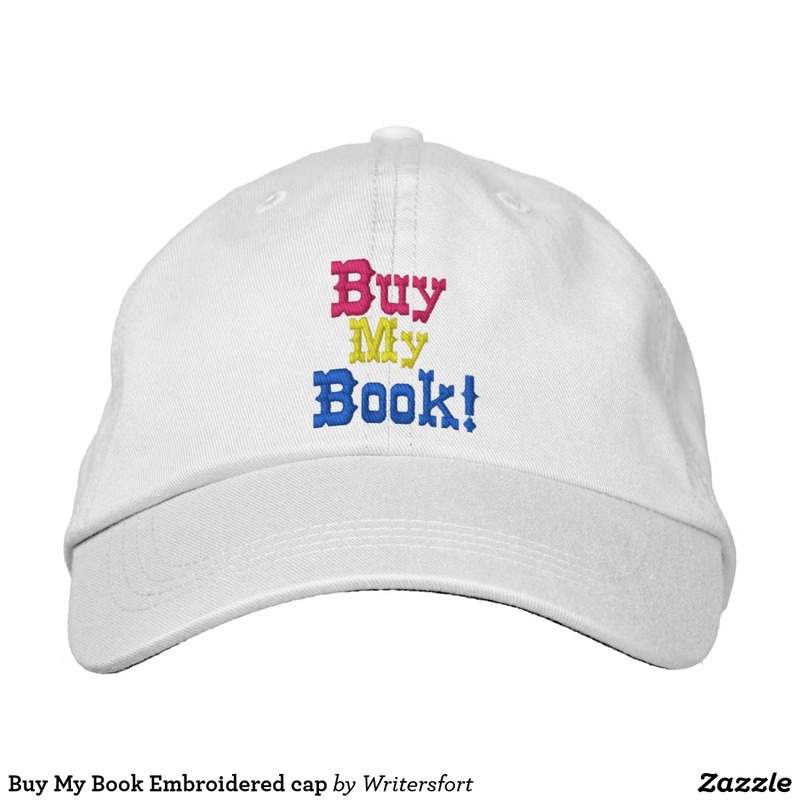 Get some fans with a cheeky writer’s promotional slogan embroidered cap. 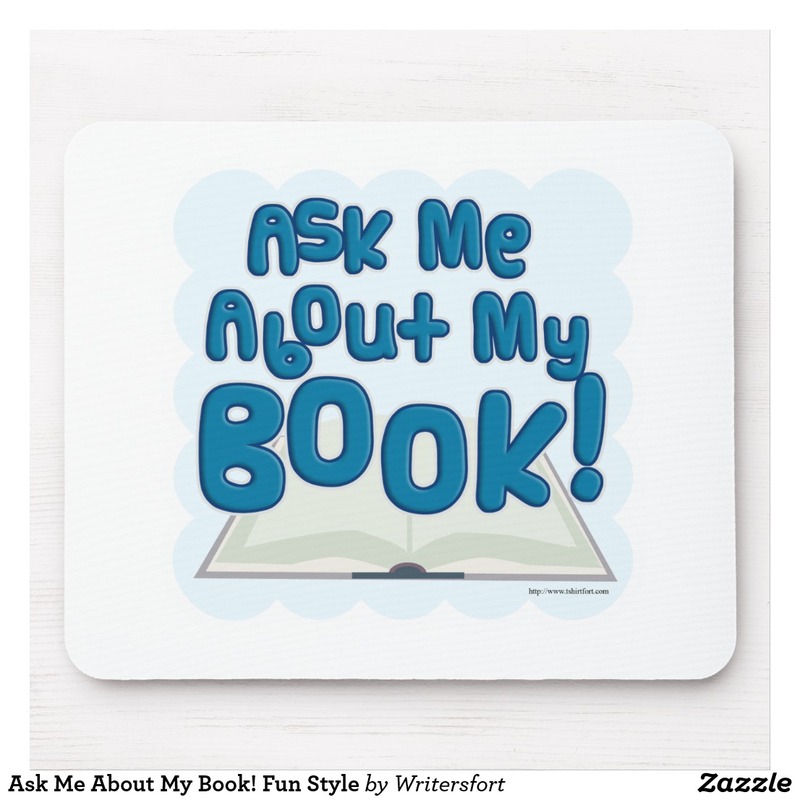 Your book deserves the attention. 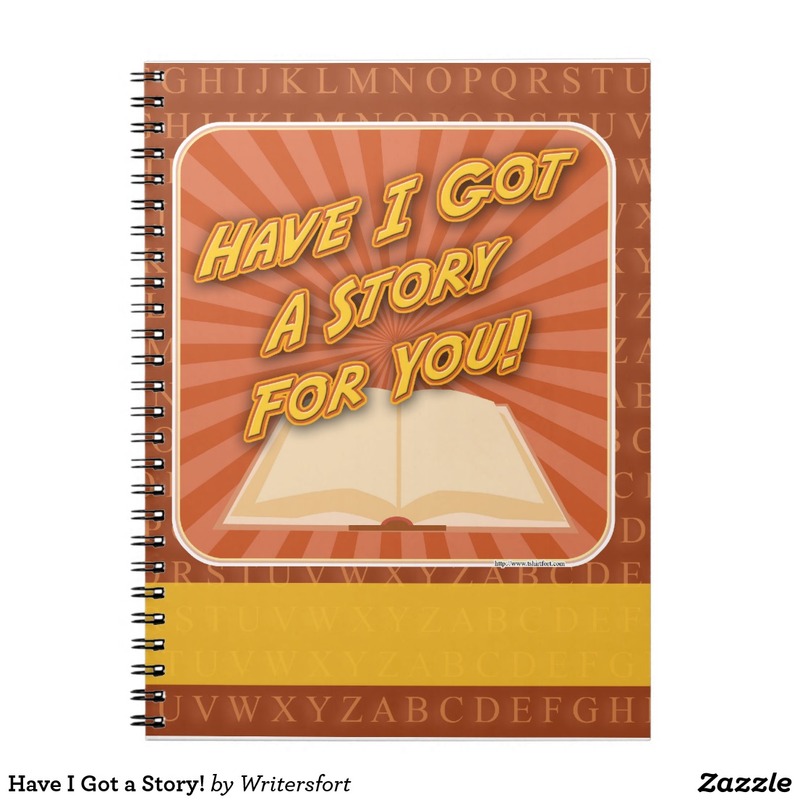 Get the word out about your book with this eye-catching customizable writers design. Add your name to it. 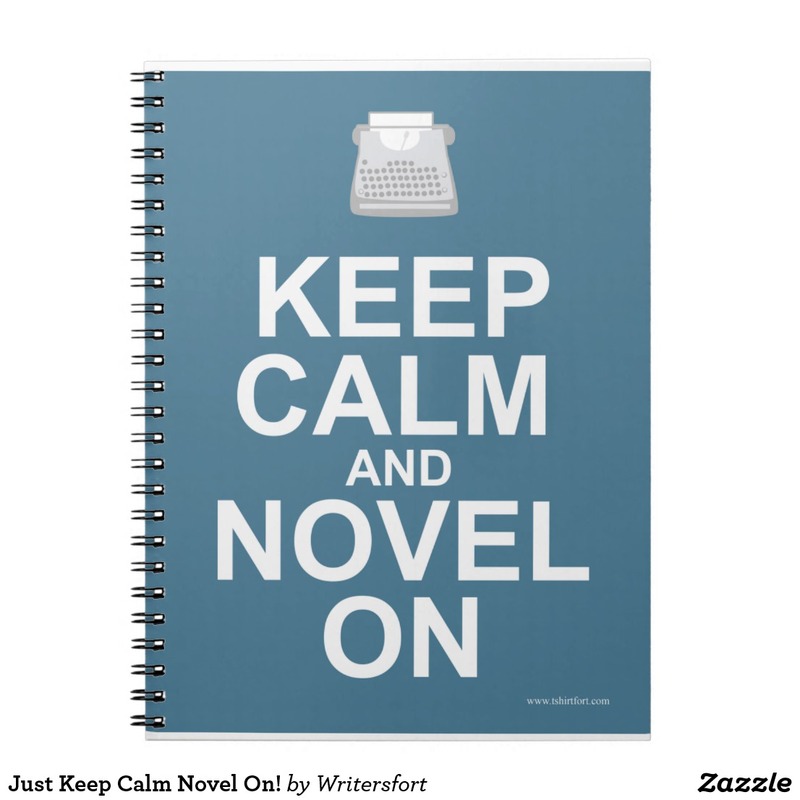 This cool and inspiring motivational writing process keep calm slogan design is a perfect gift for any author. 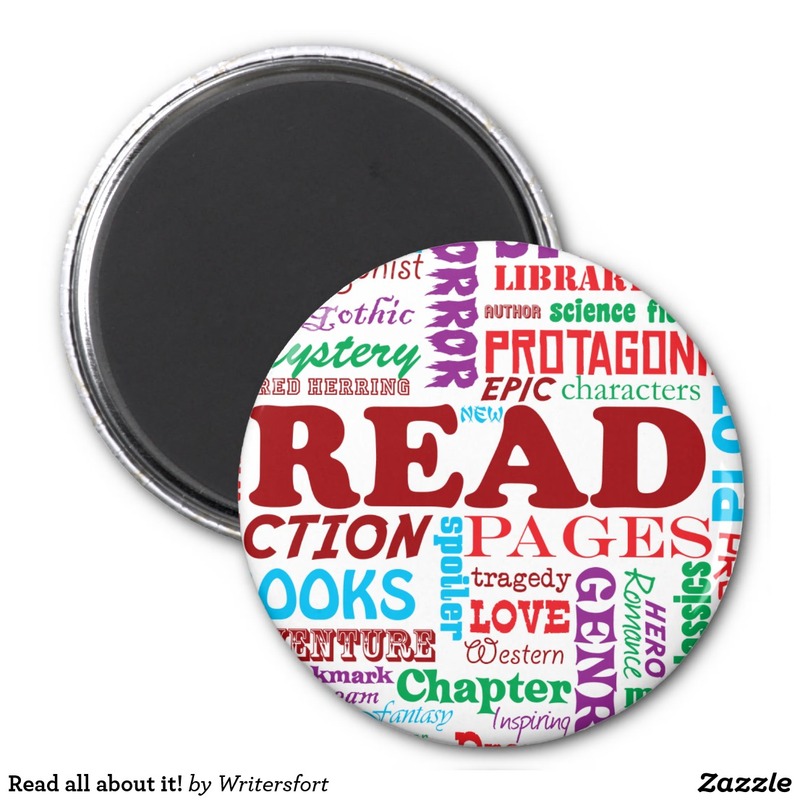 A fun magnet all about reading. 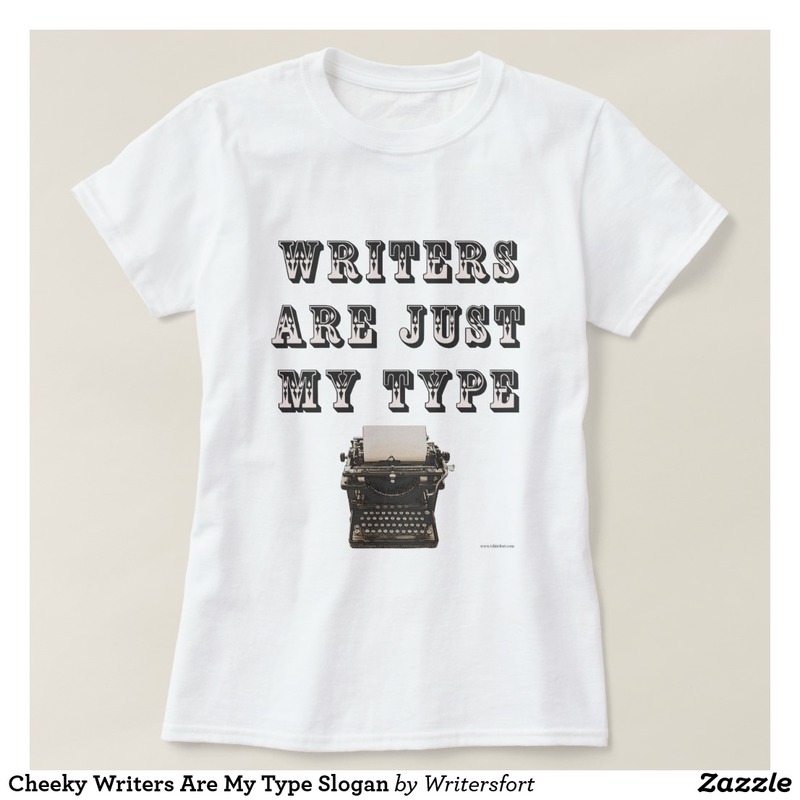 This snarky writing slogan design is a perfect gift for any author. 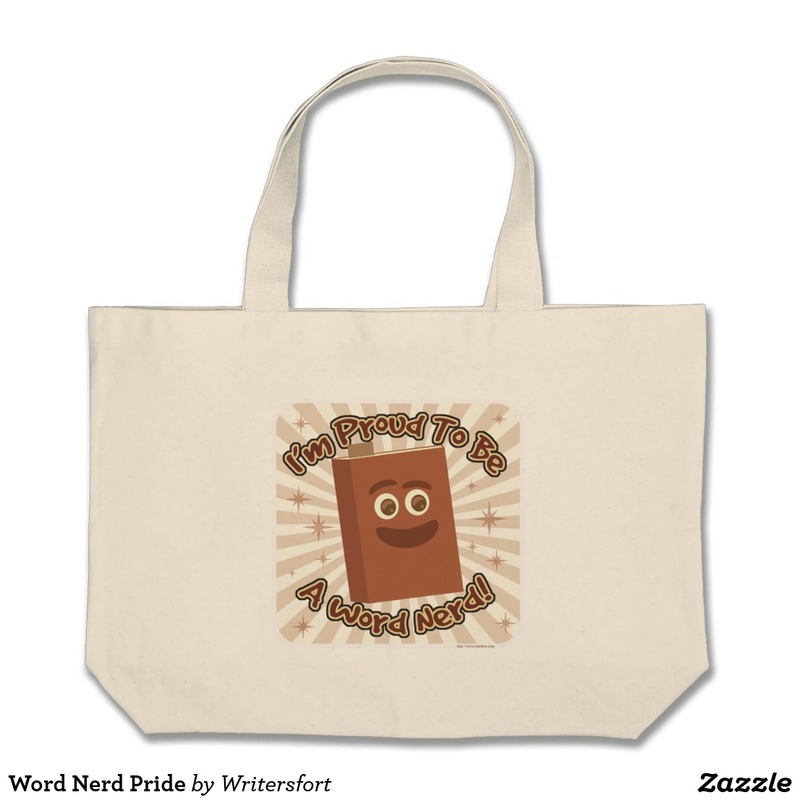 Get your word nerd pride on with this fun totebag. 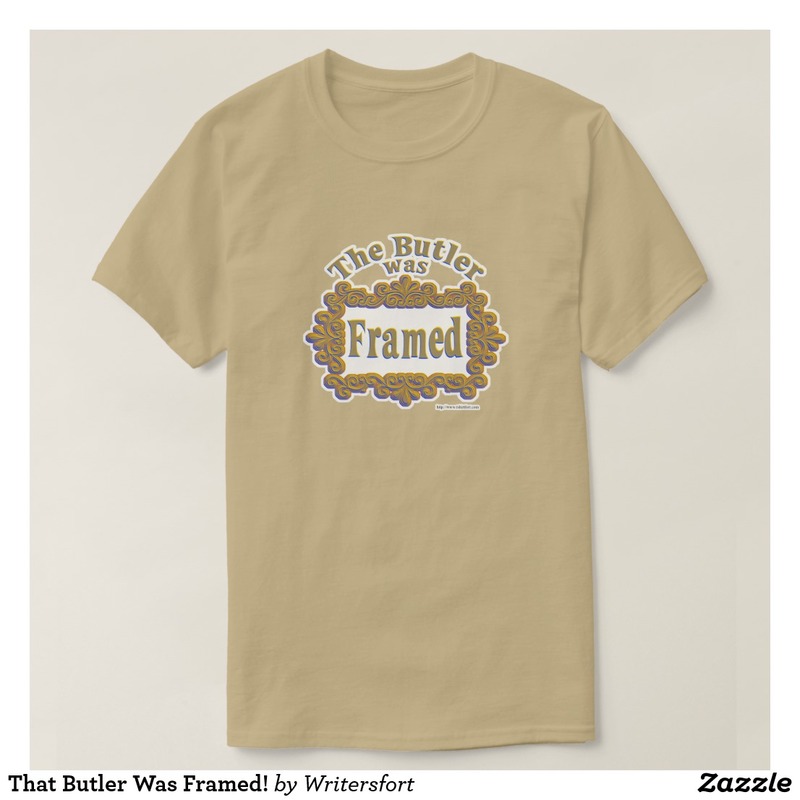 This cartoon illustrated design makes a great author gift or reader gift. 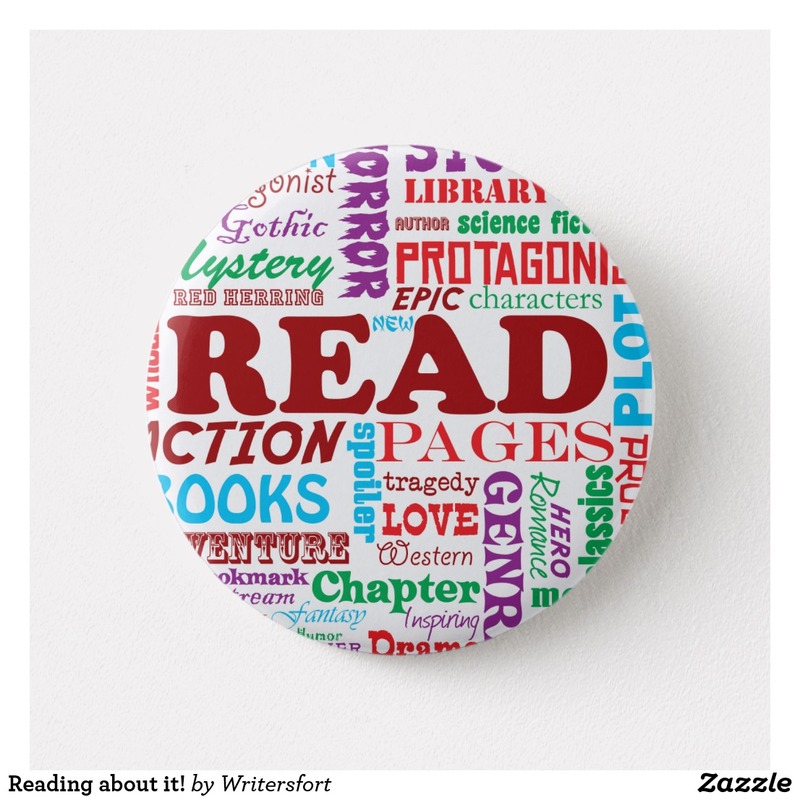 Get one for the love of books. 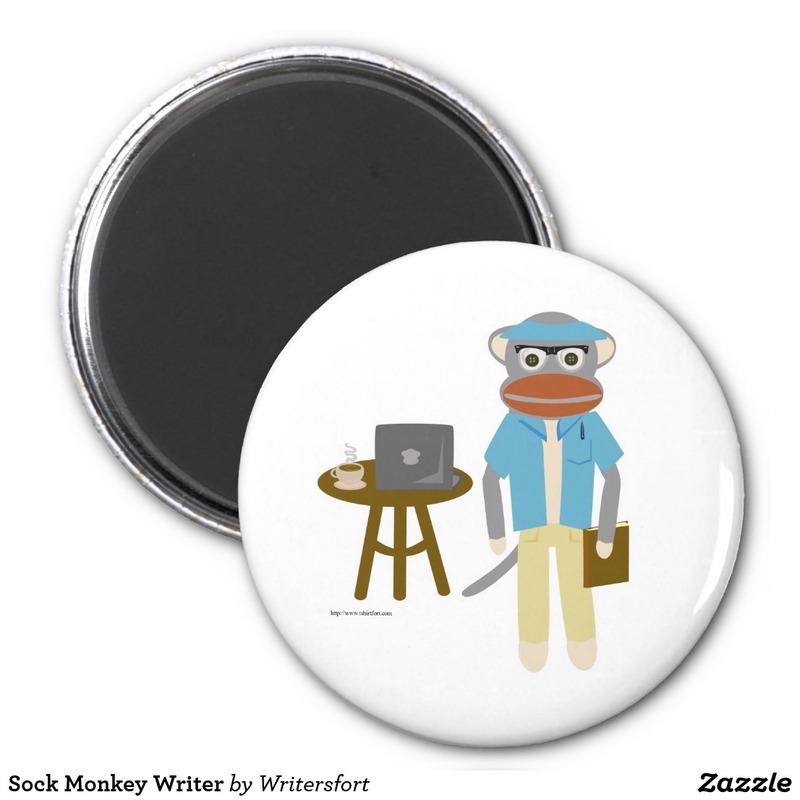 A funny sticker for editors. 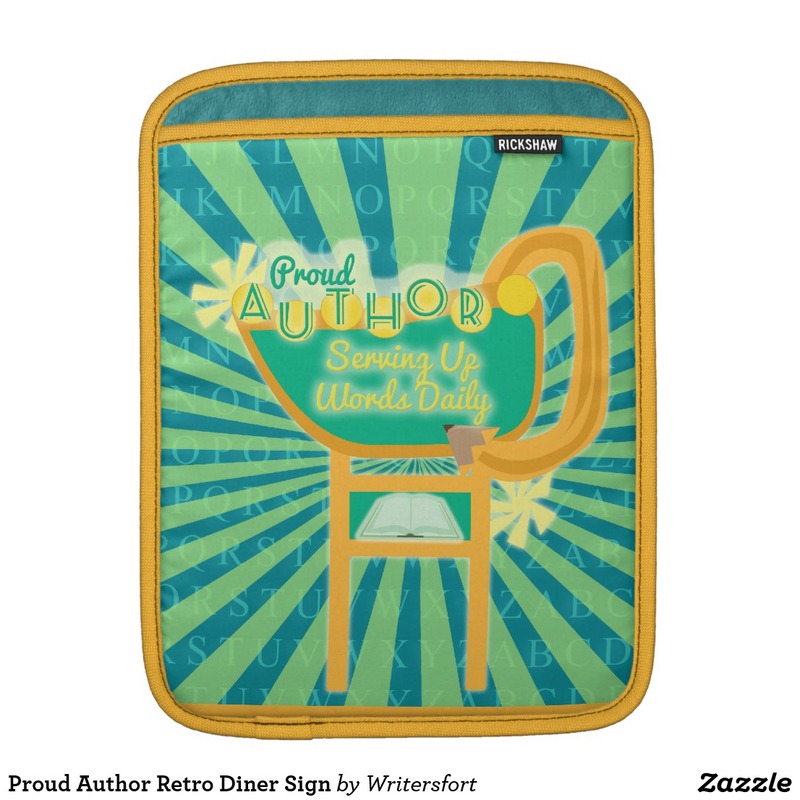 Dream big with this inspirational author design. 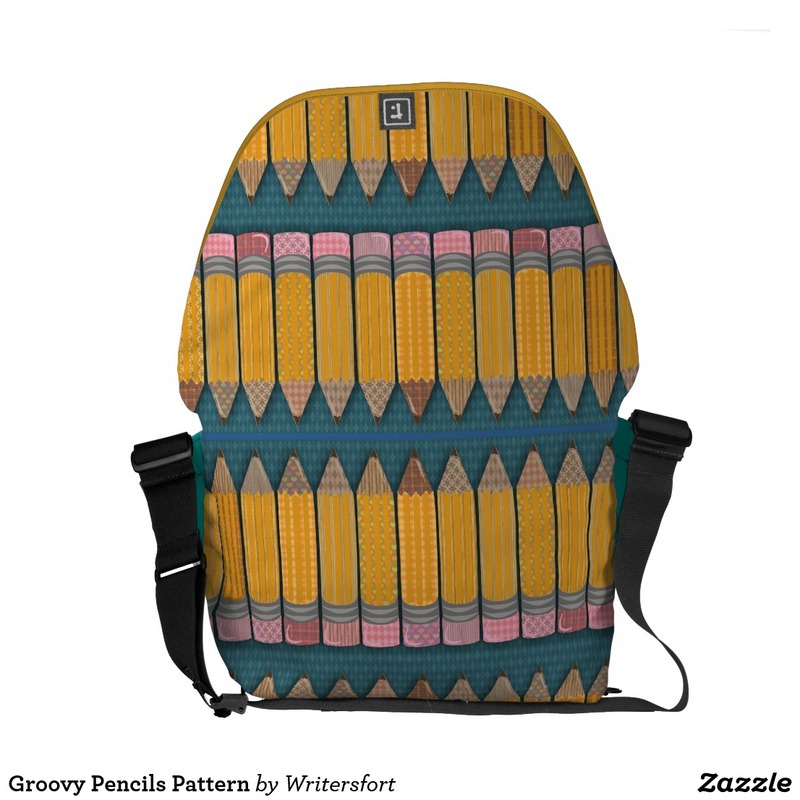 This cool pencils illustrated design makes a great author gift or reader gift. 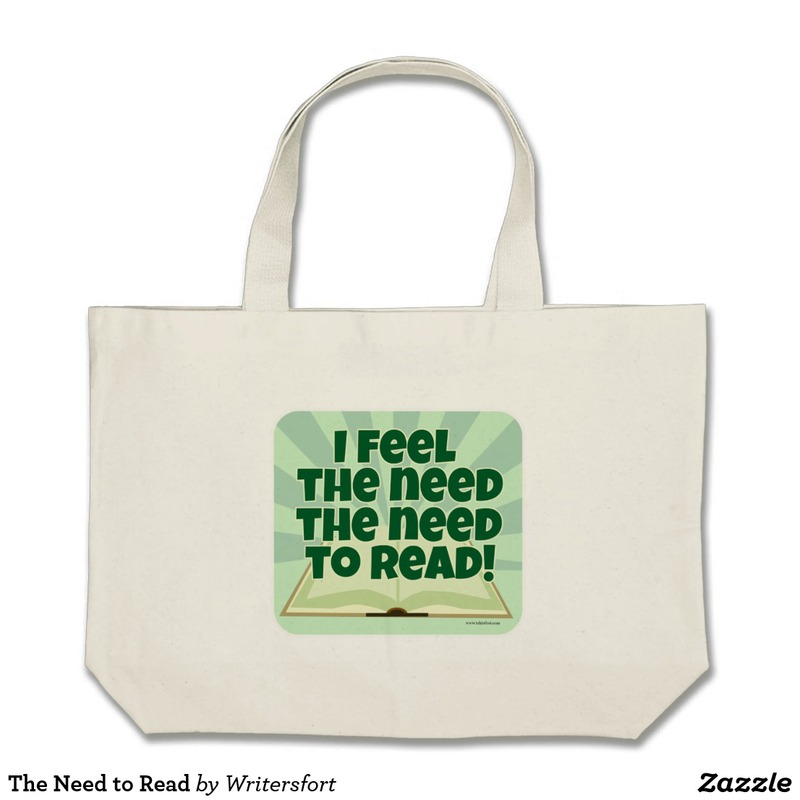 Get one for the love of books. Want to be a bestselling author? 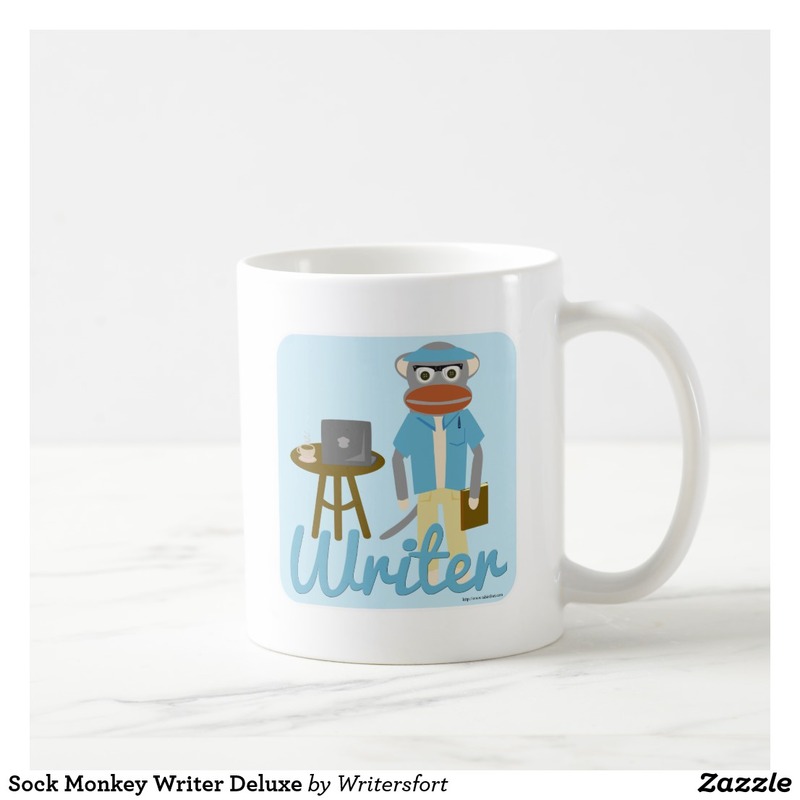 Don’t be afraid to express yourself and get a writing mug, shirt or gift today. Get some fans with a cheeky blogger’s promotional slogan. 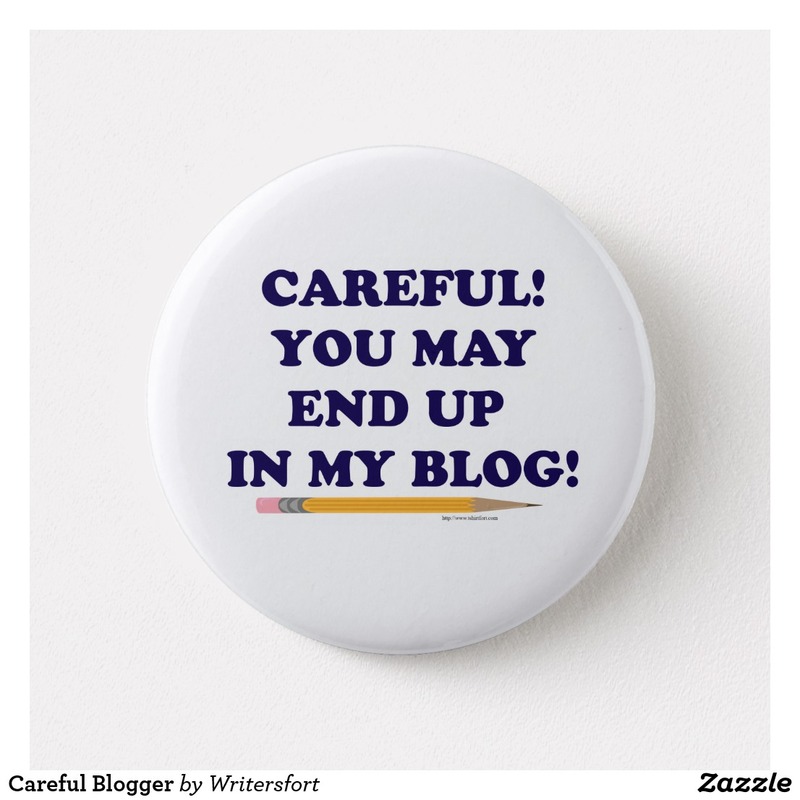 Your blog deserves the attention. 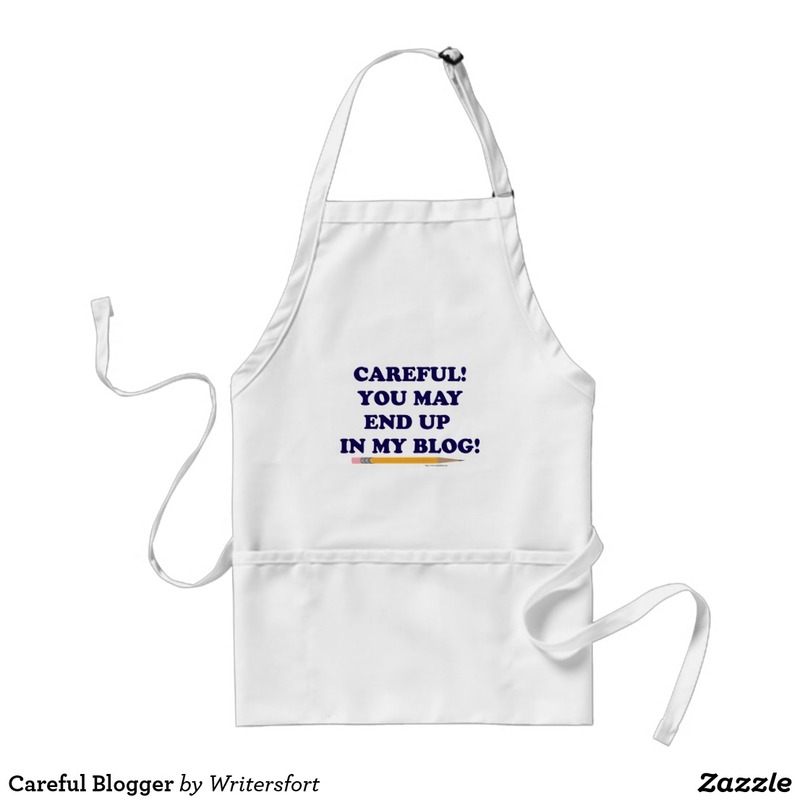 Perfect for cooking bloggers. 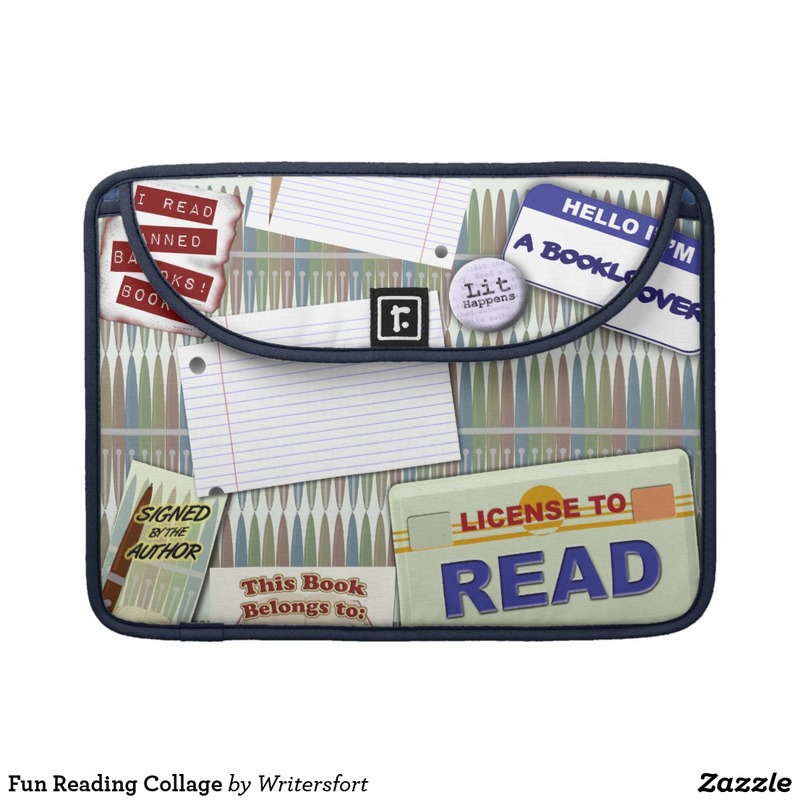 This reading tote is perfect for bookworms, word nerds, authors, librarians, editors, avid readers, lovers of literature, and more. 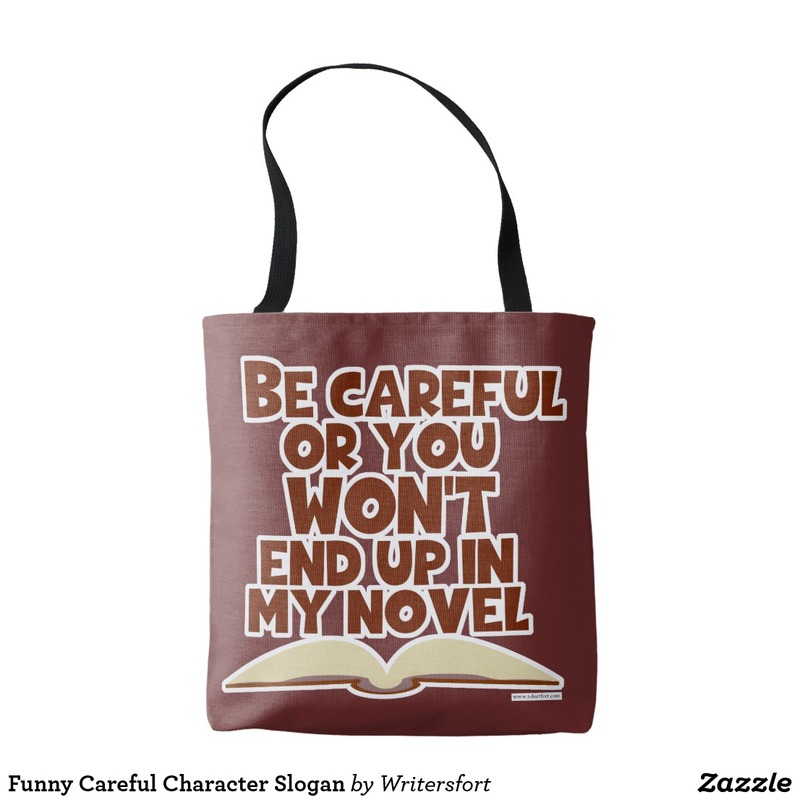 This funny author slogan item is a totally unique gift for any reader or author. 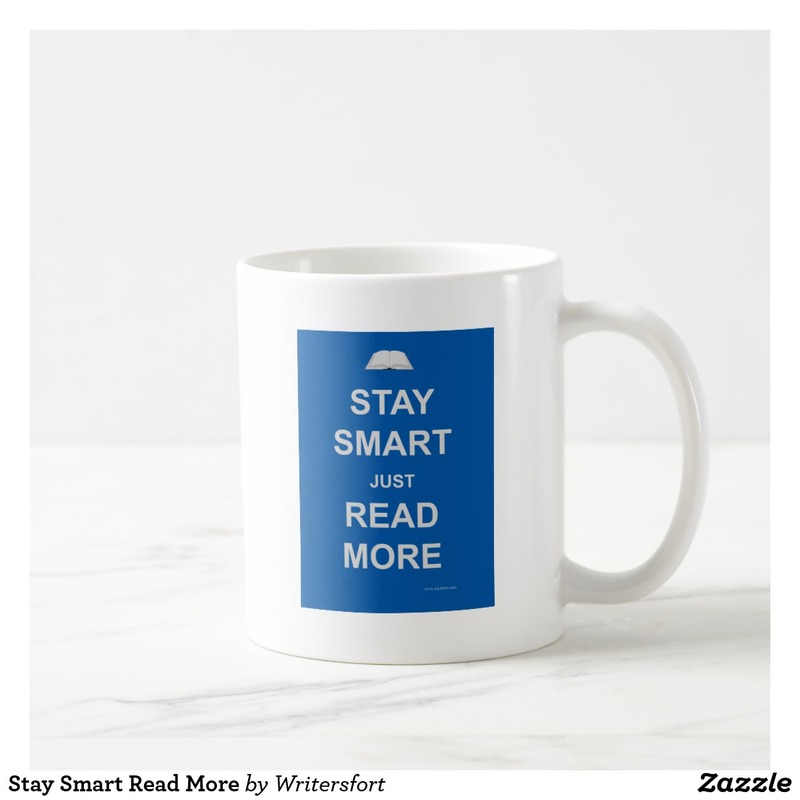 Get a fun reading motto gift today. 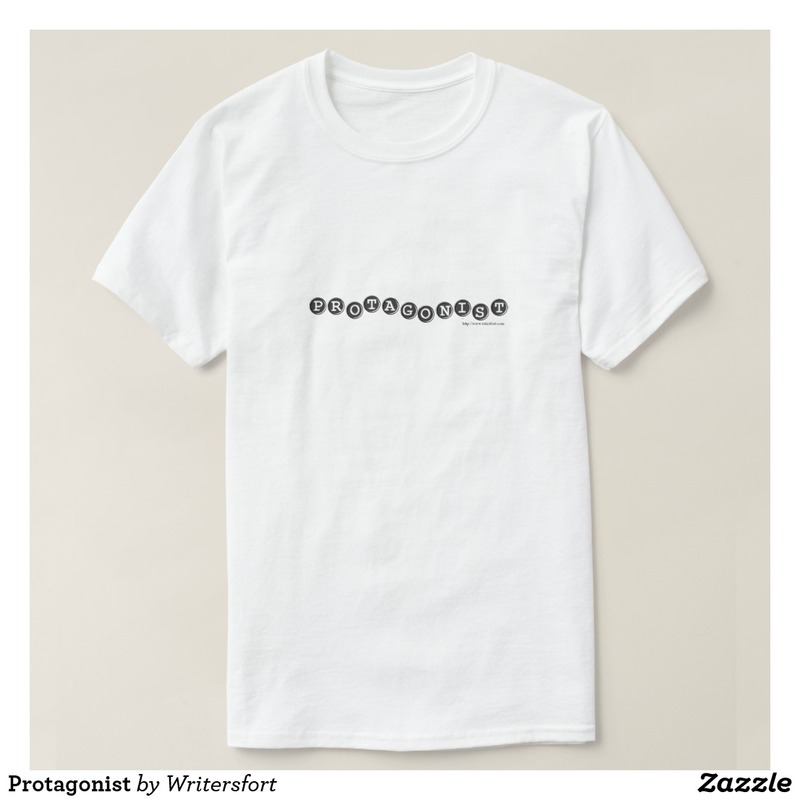 The word protagonist spelled out in typewriter keys. 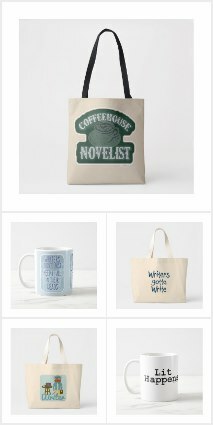 More great writer gifts can be found here.